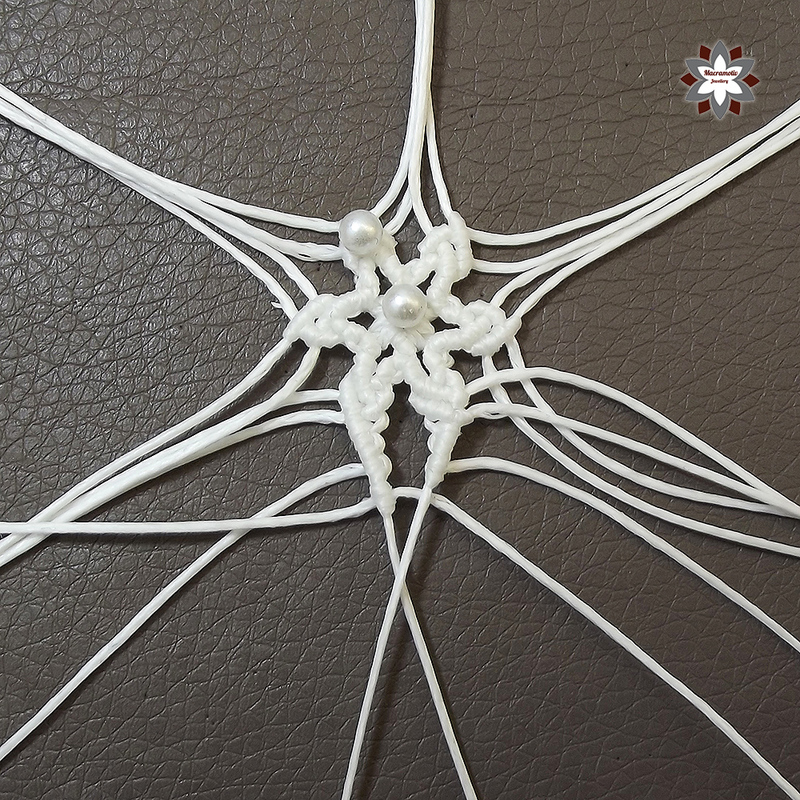 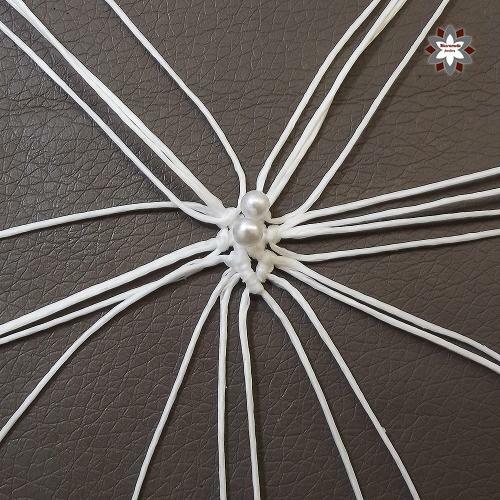 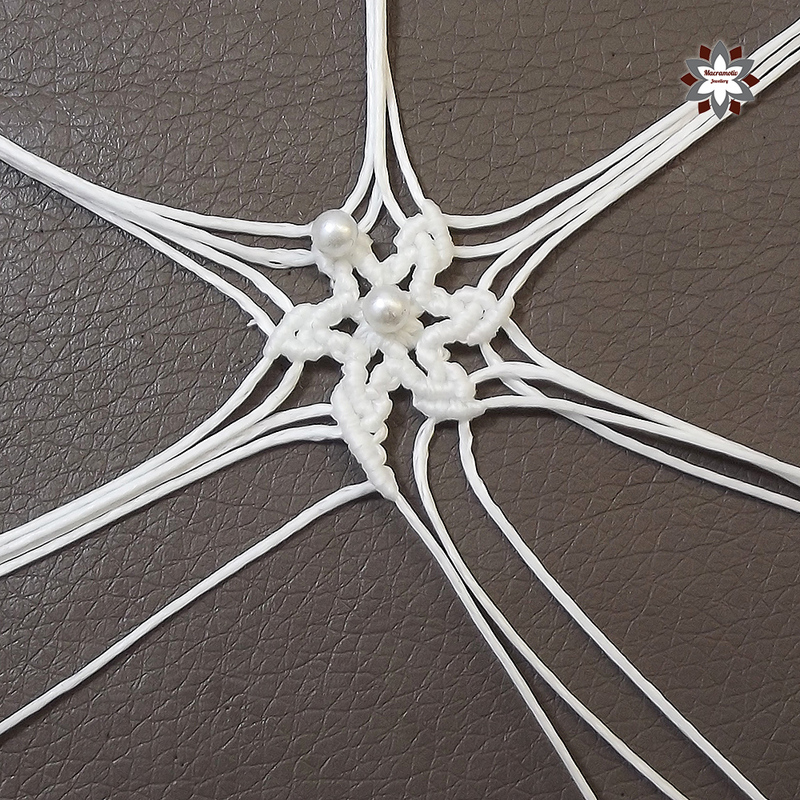 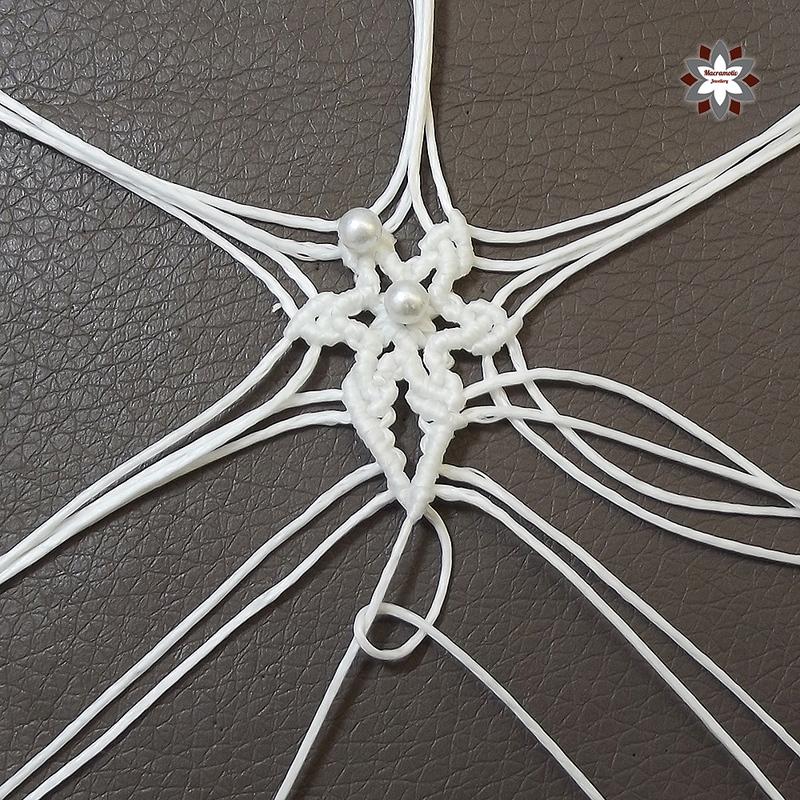 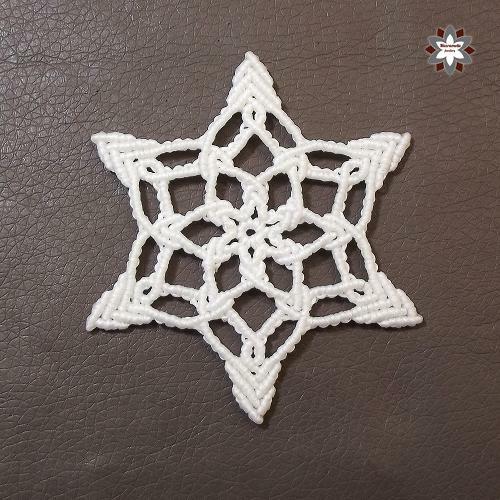 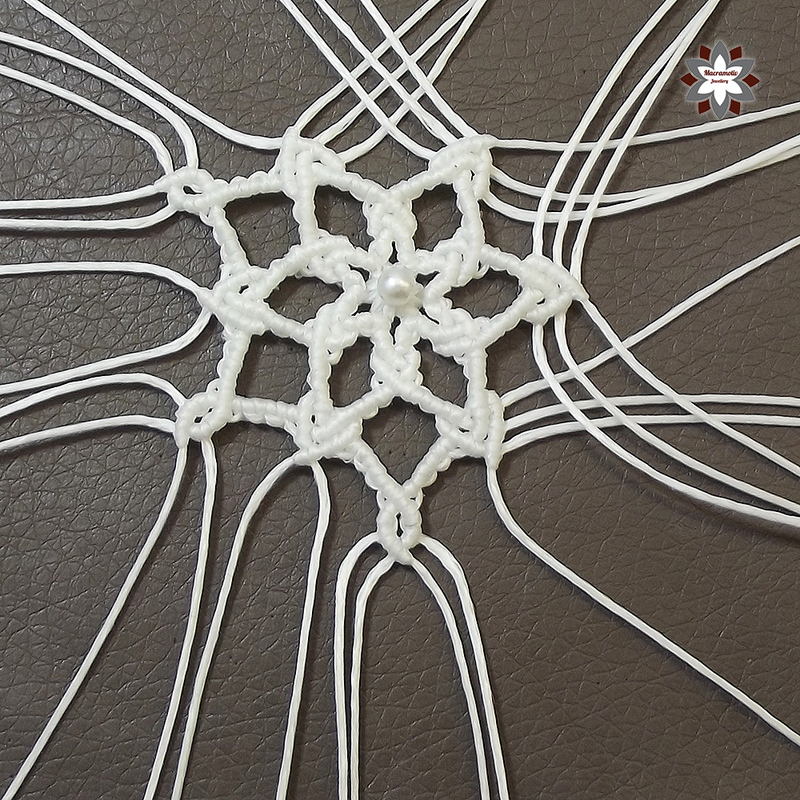 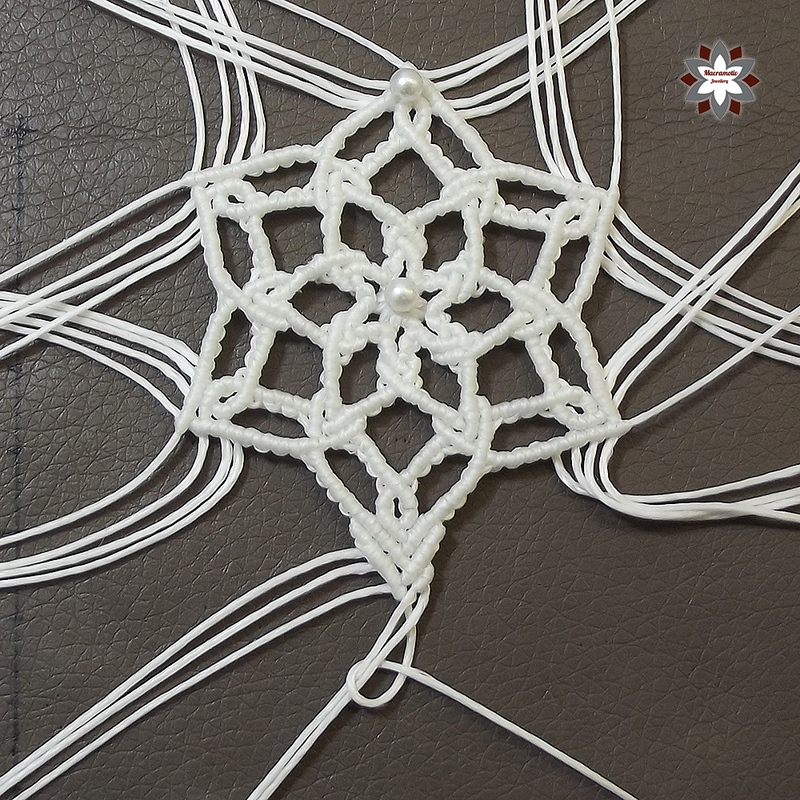 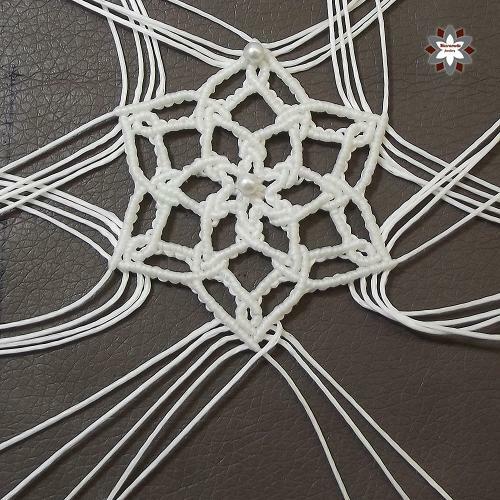 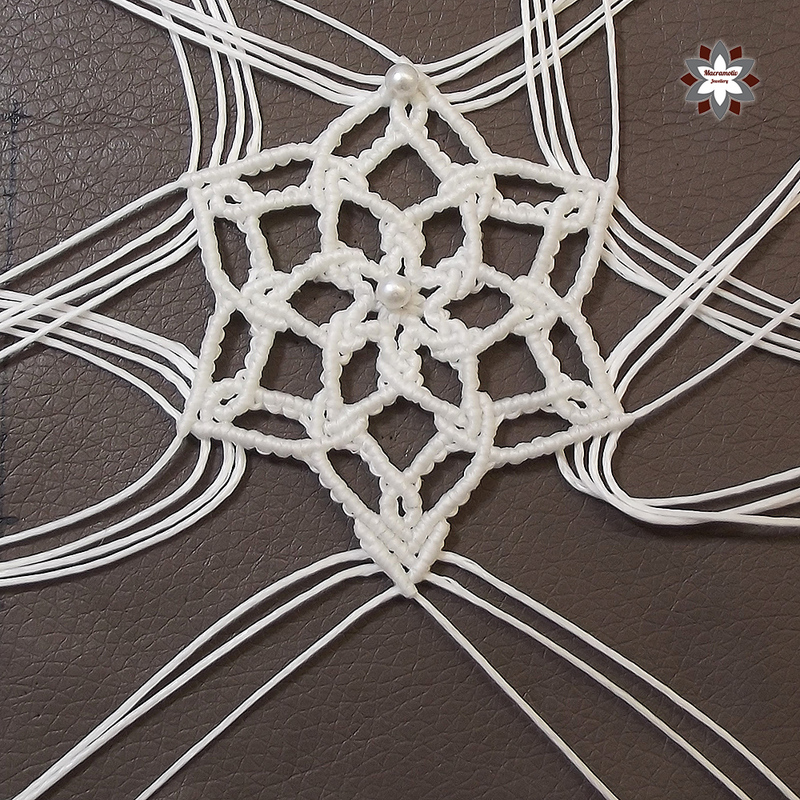 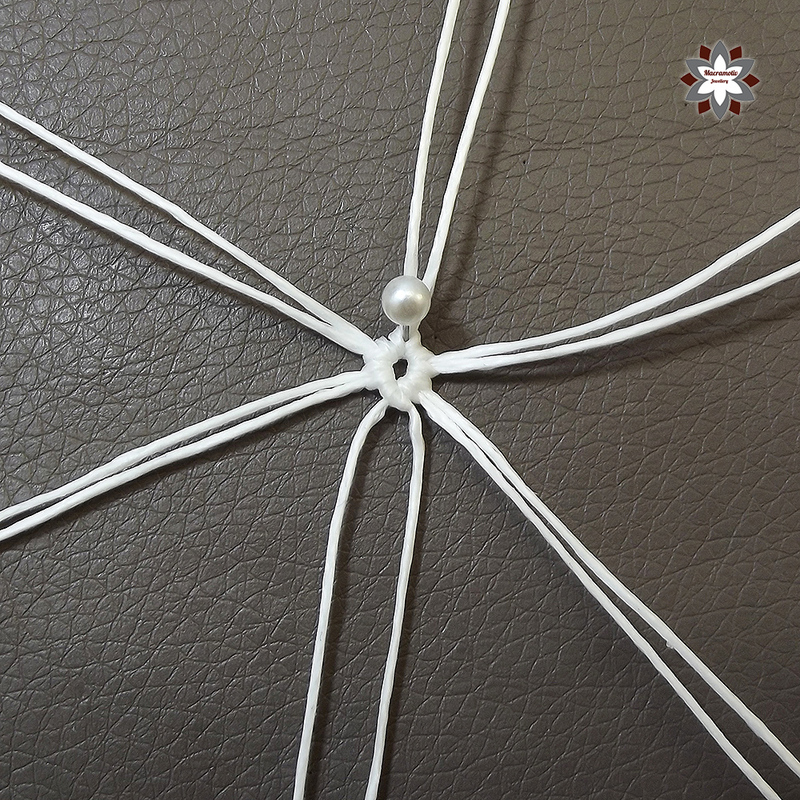 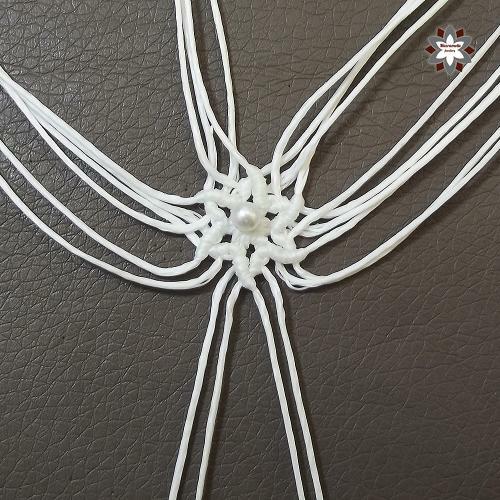 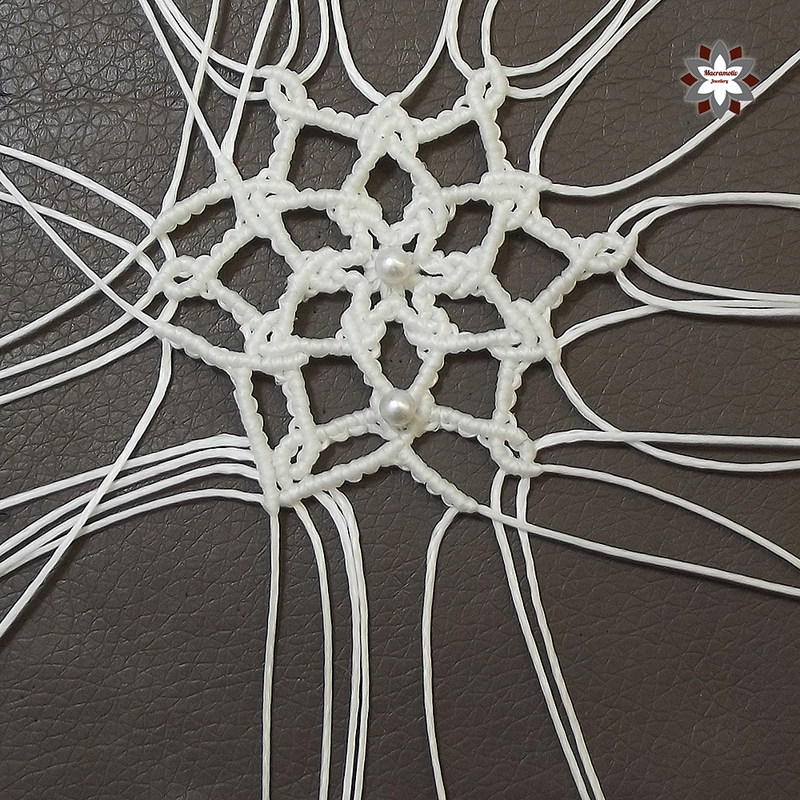 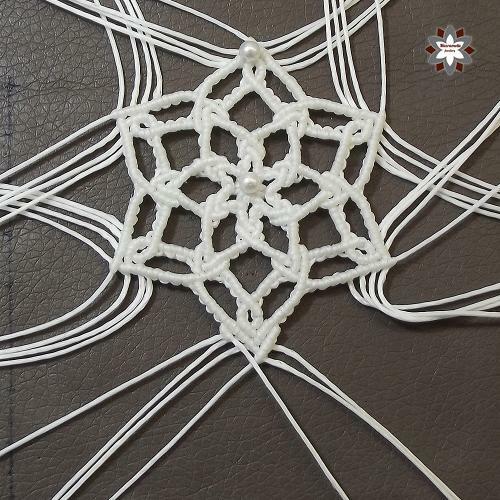 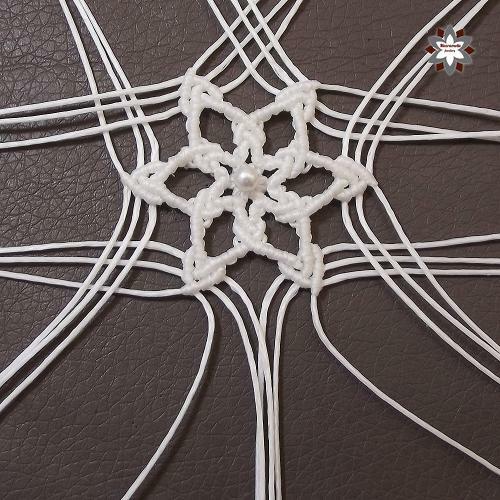 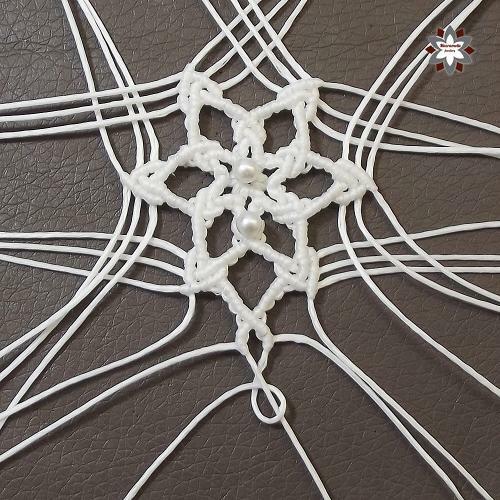 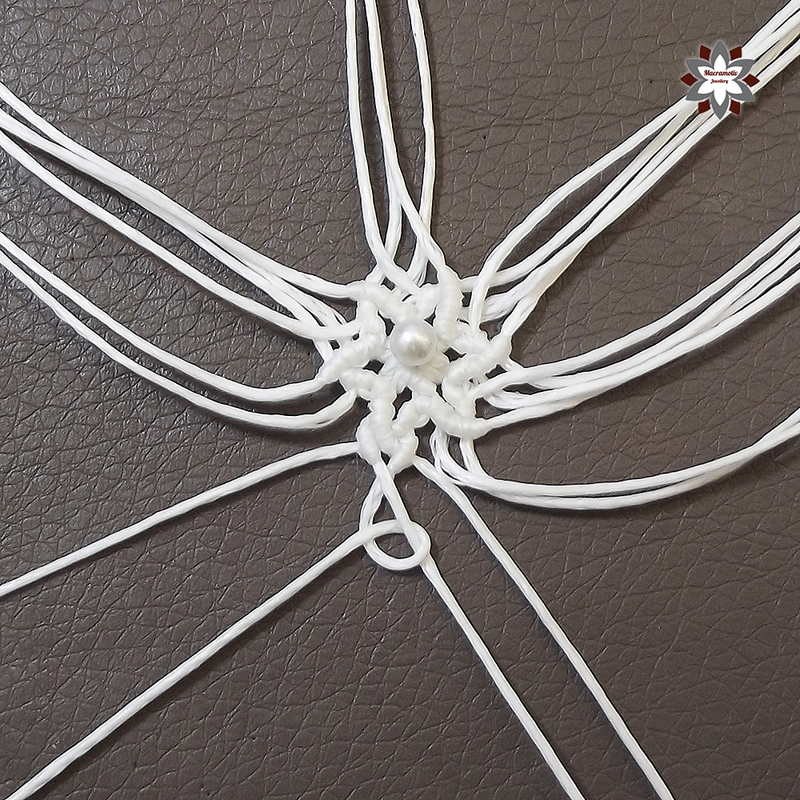 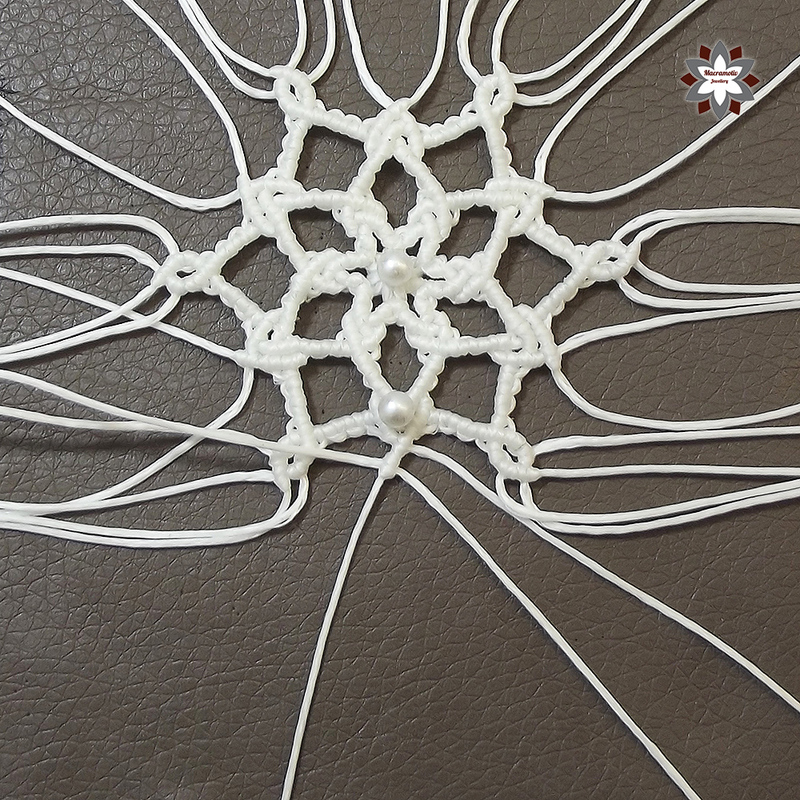 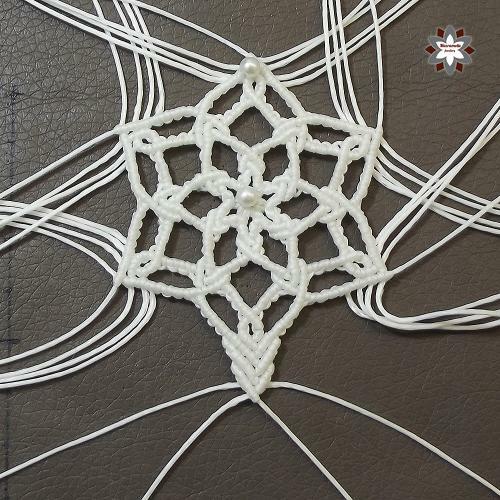 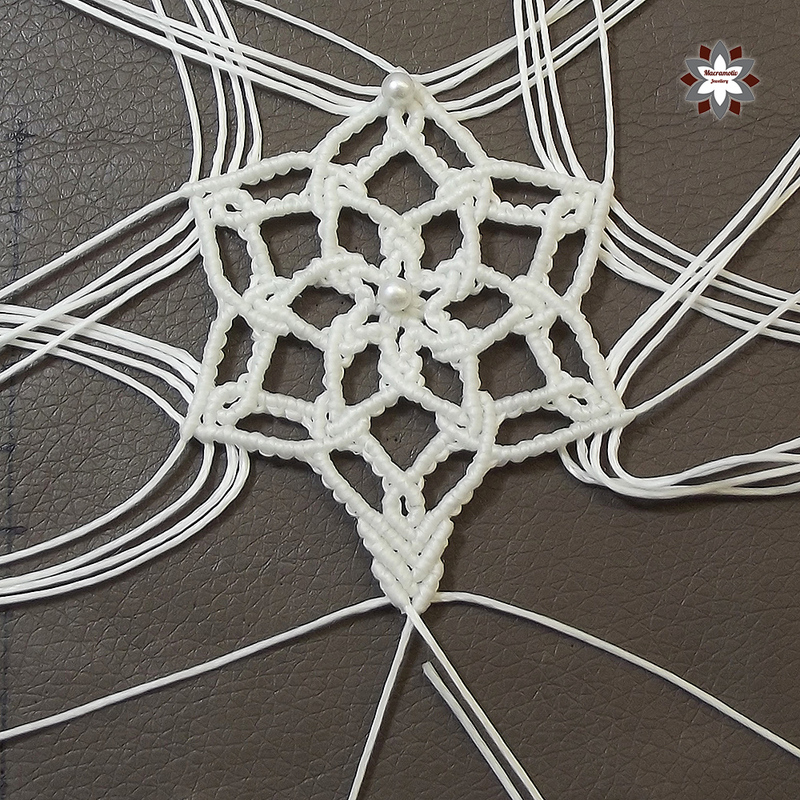 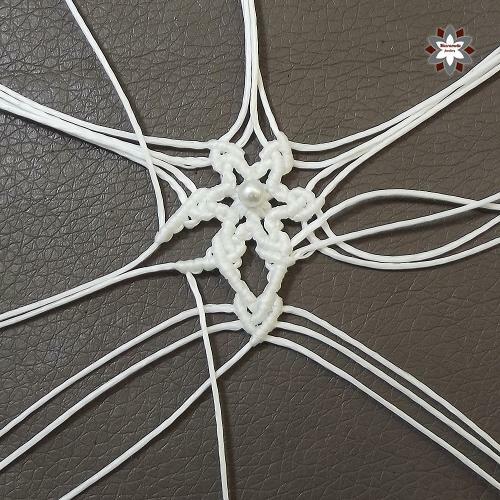 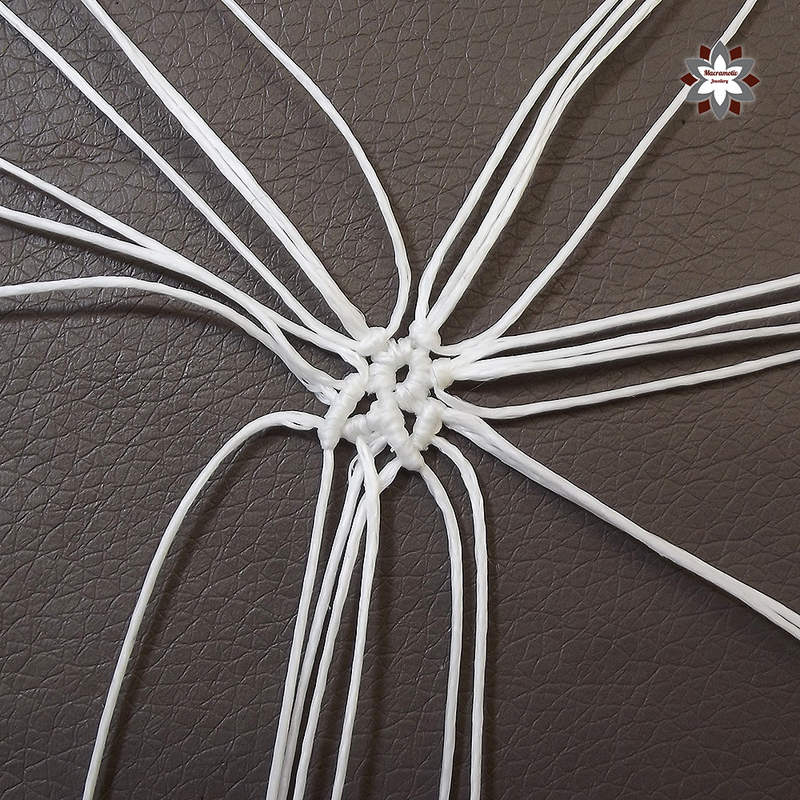 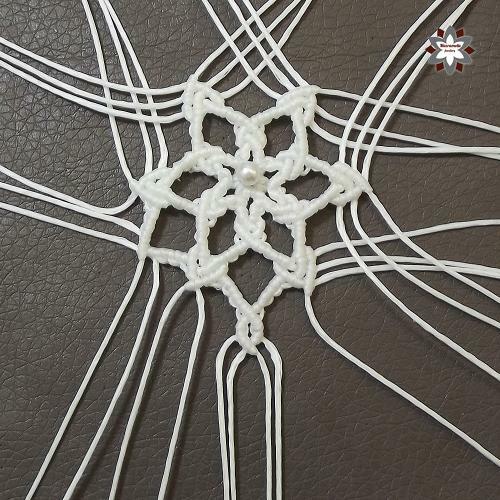 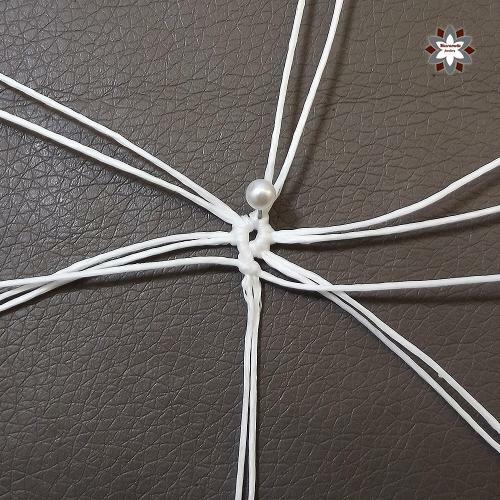 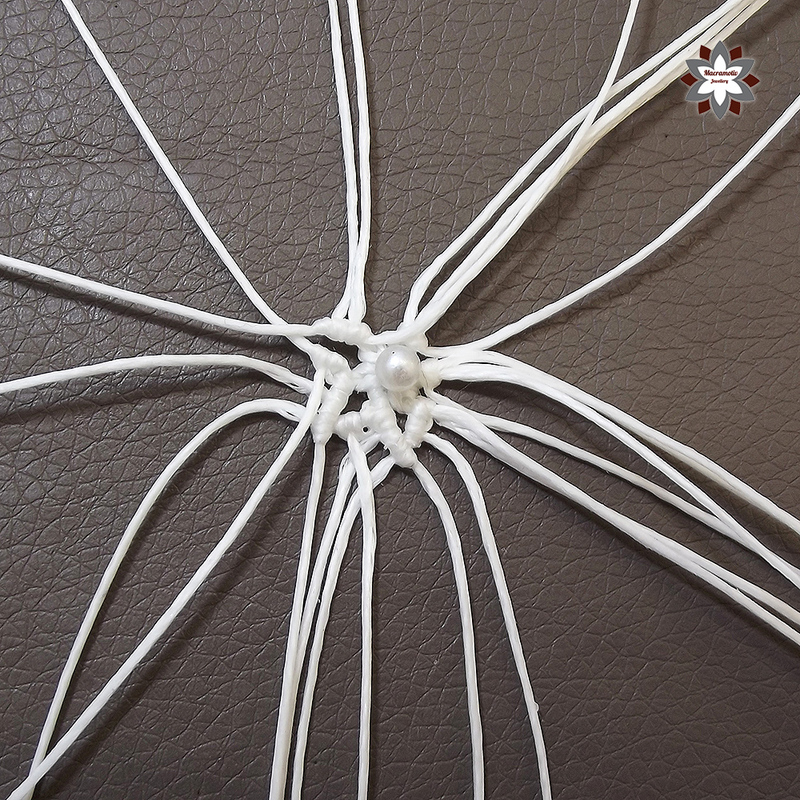 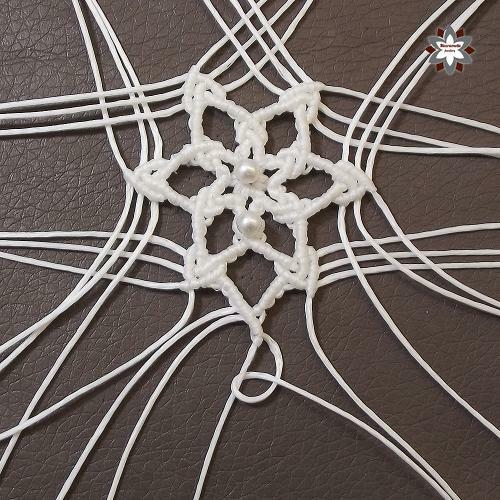 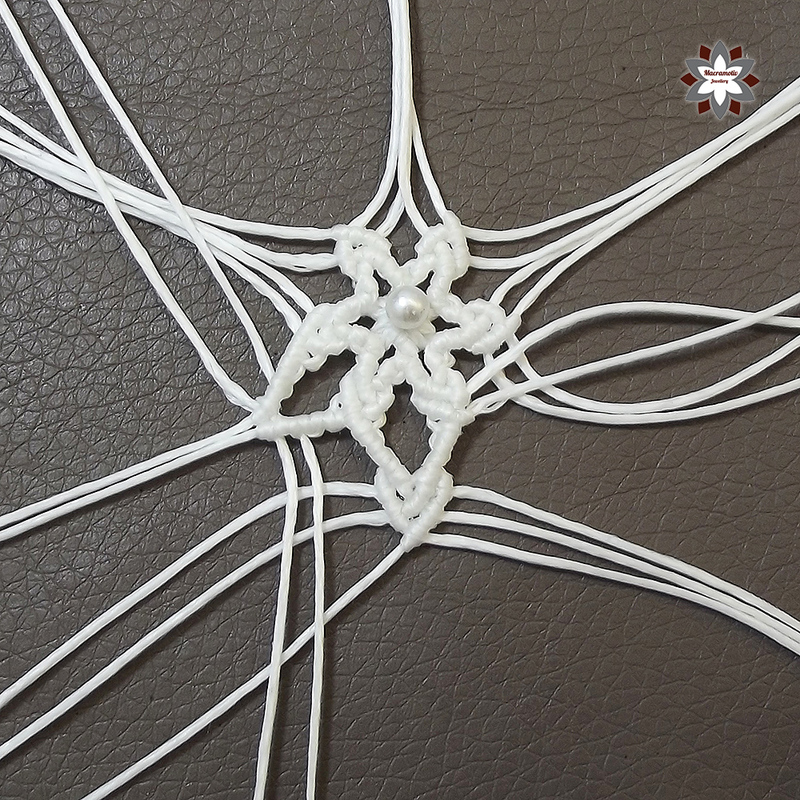 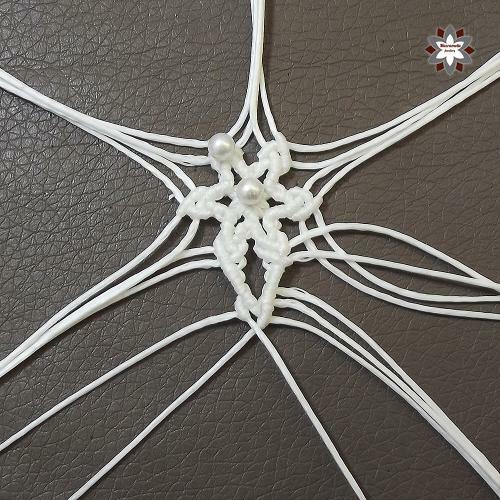 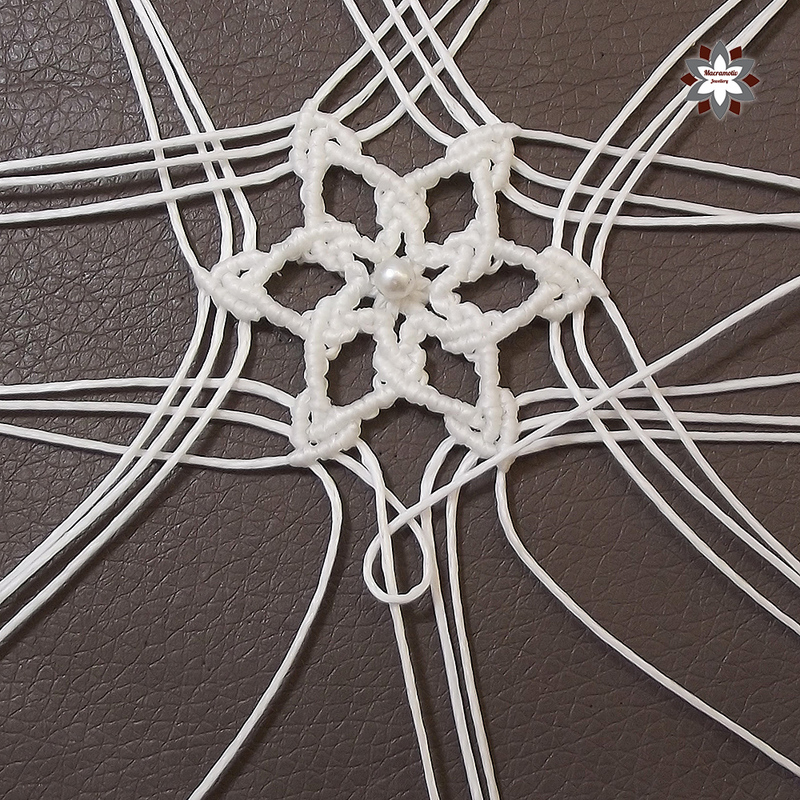 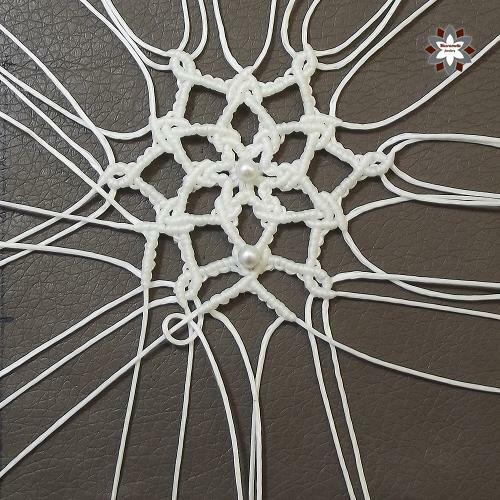 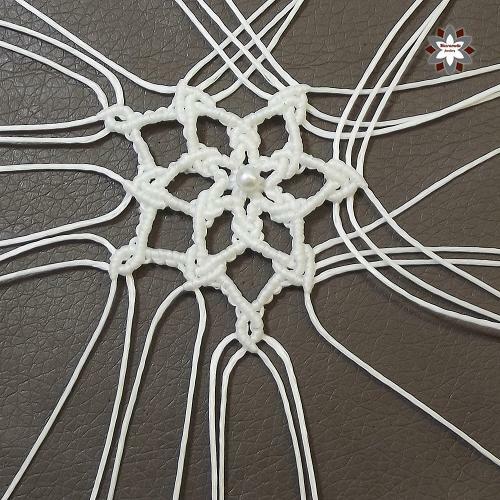 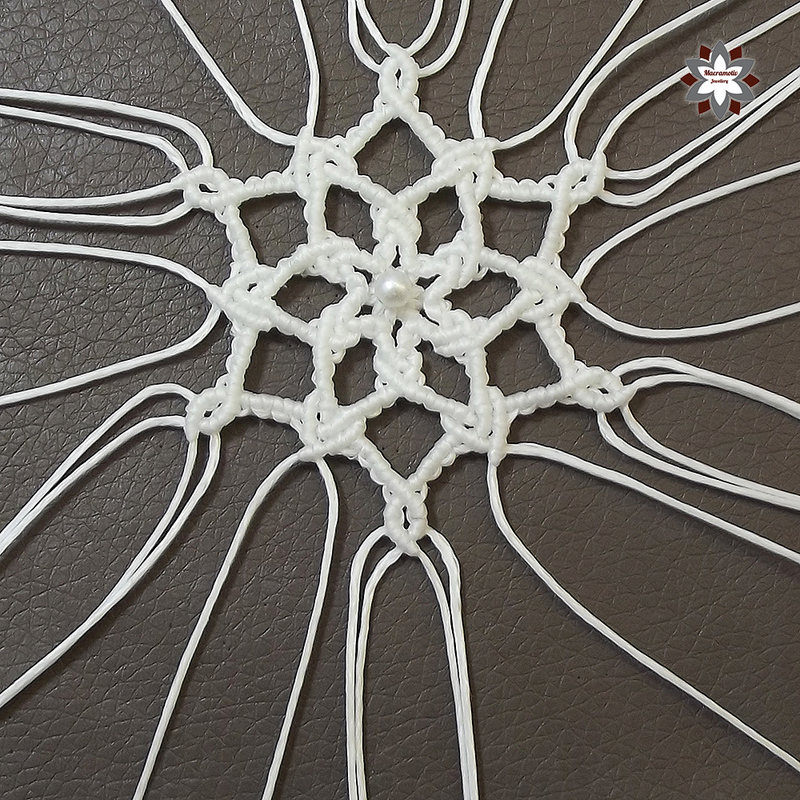 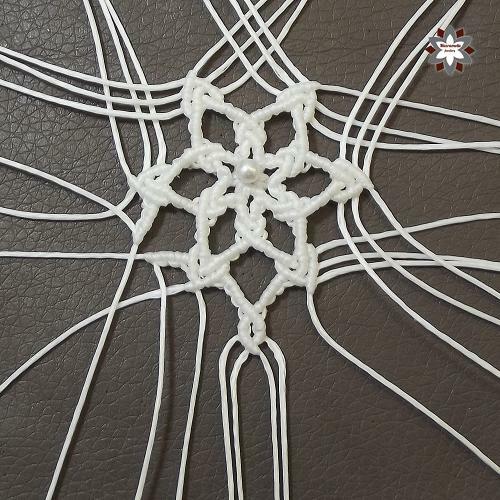 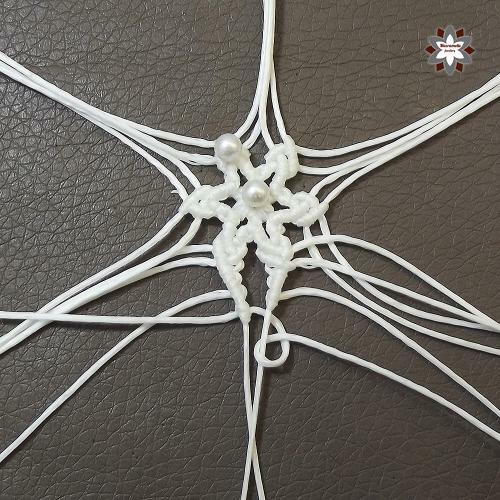 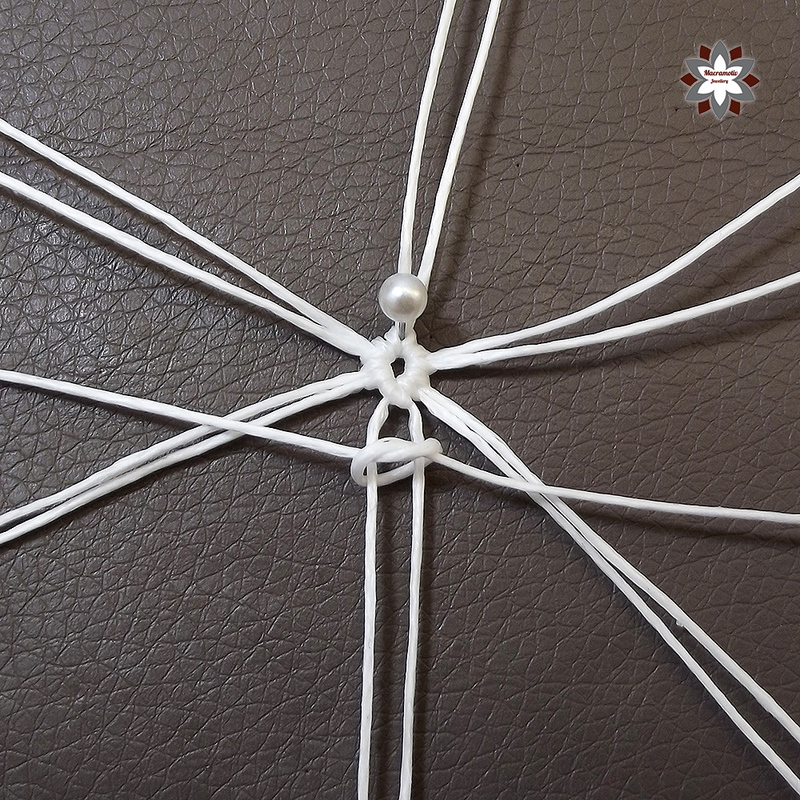 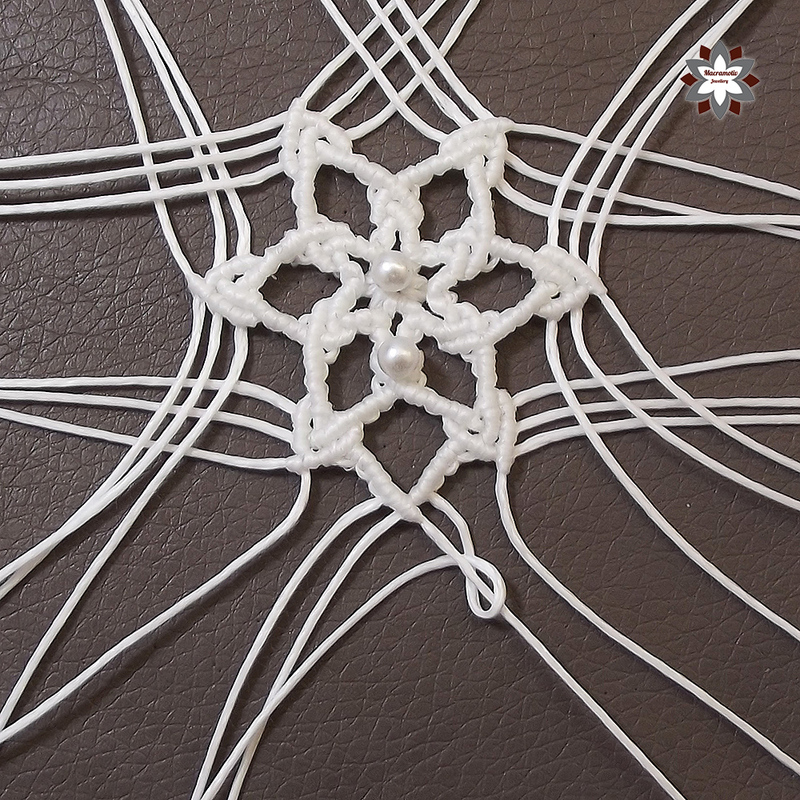 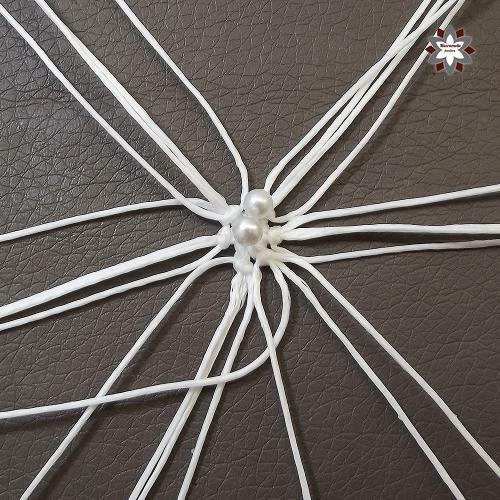 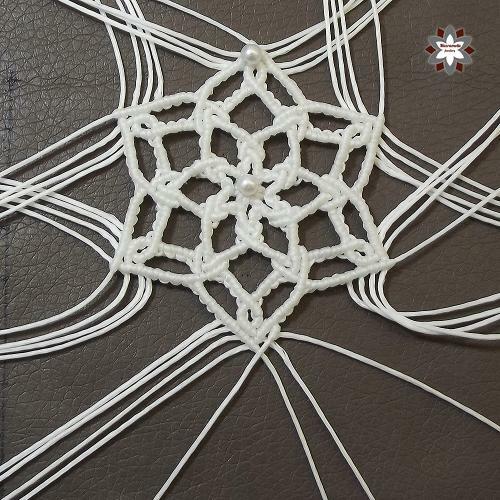 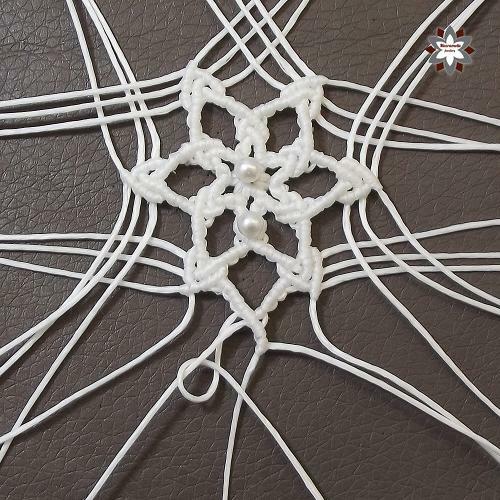 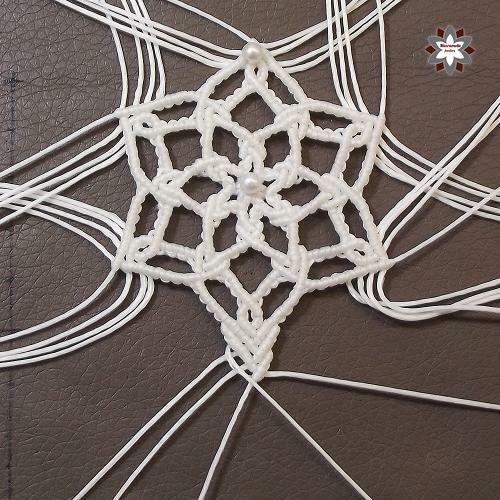 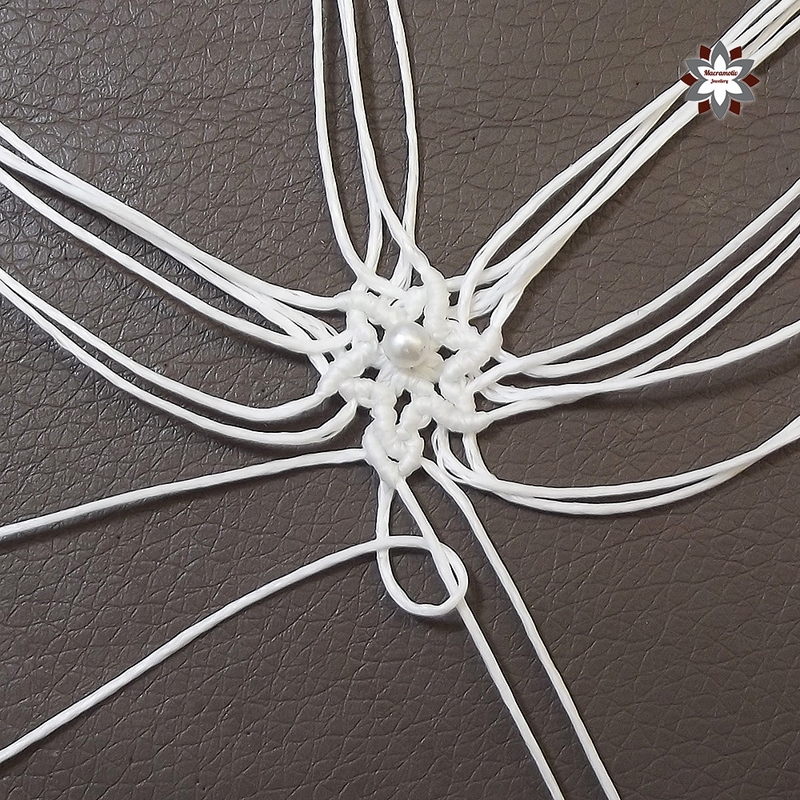 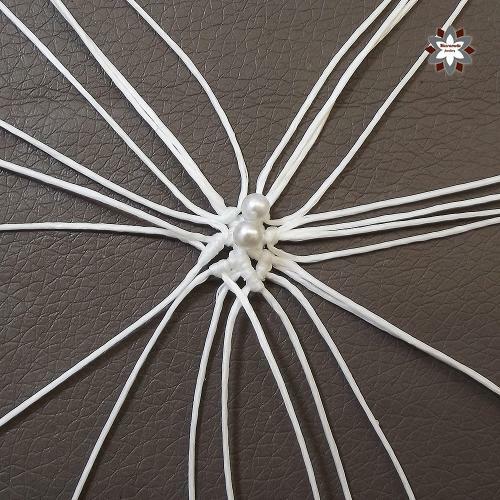 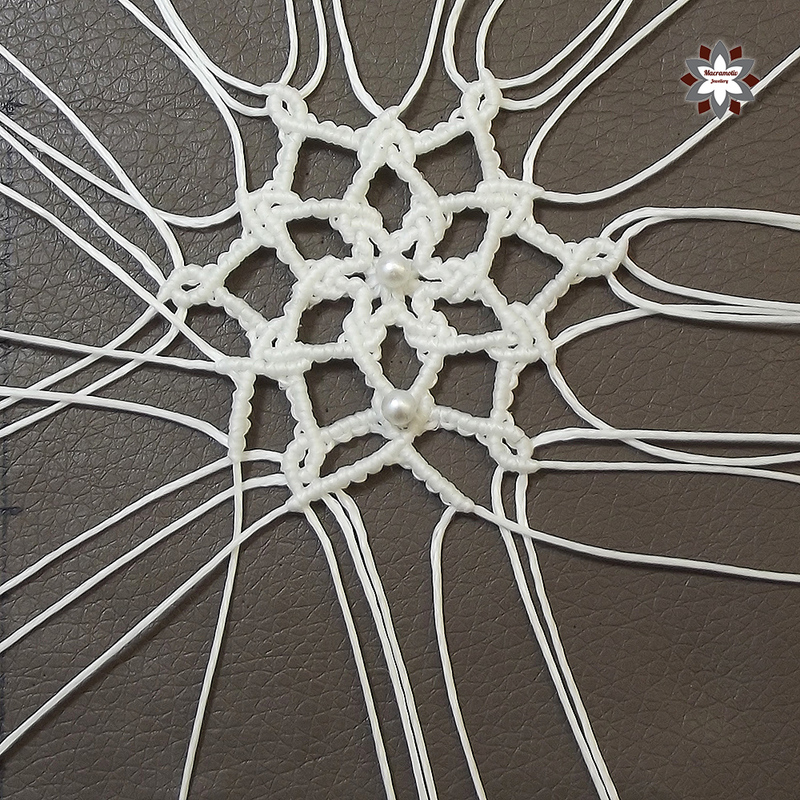 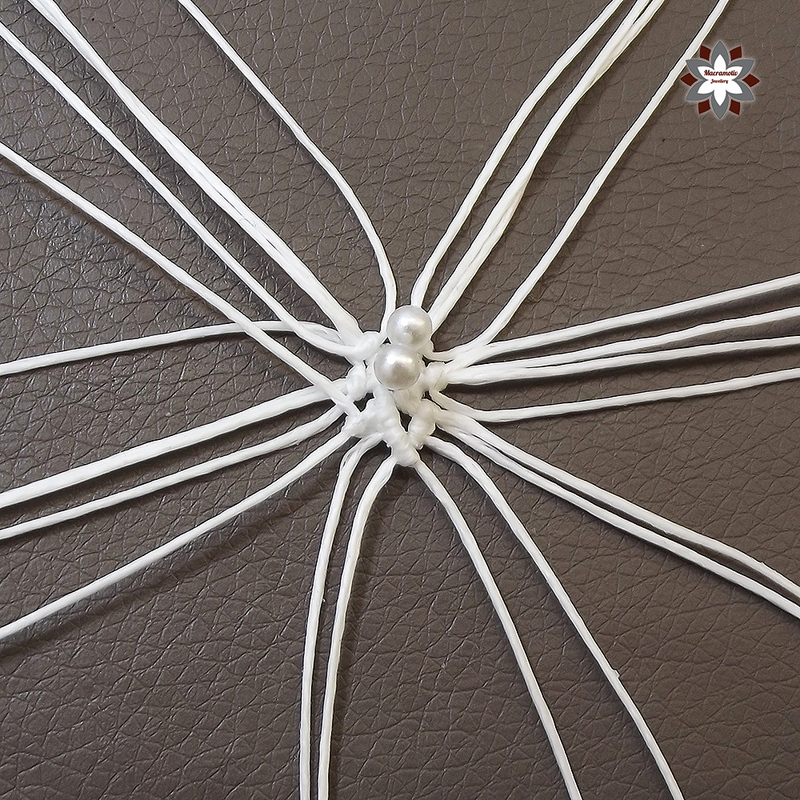 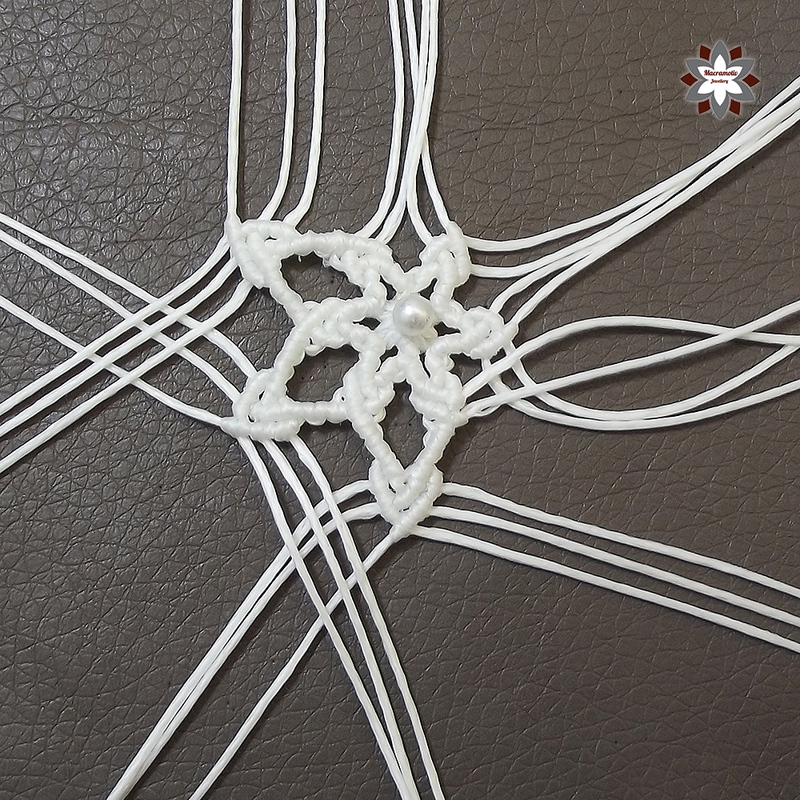 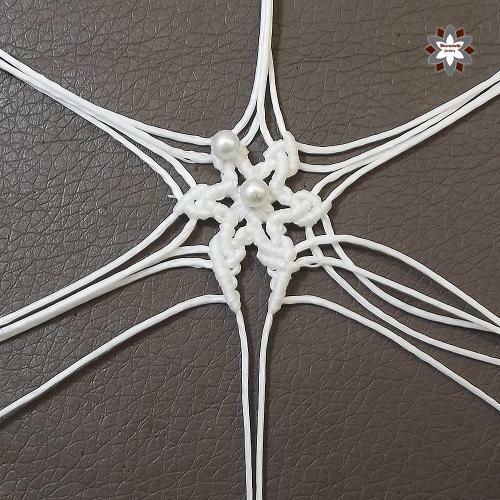 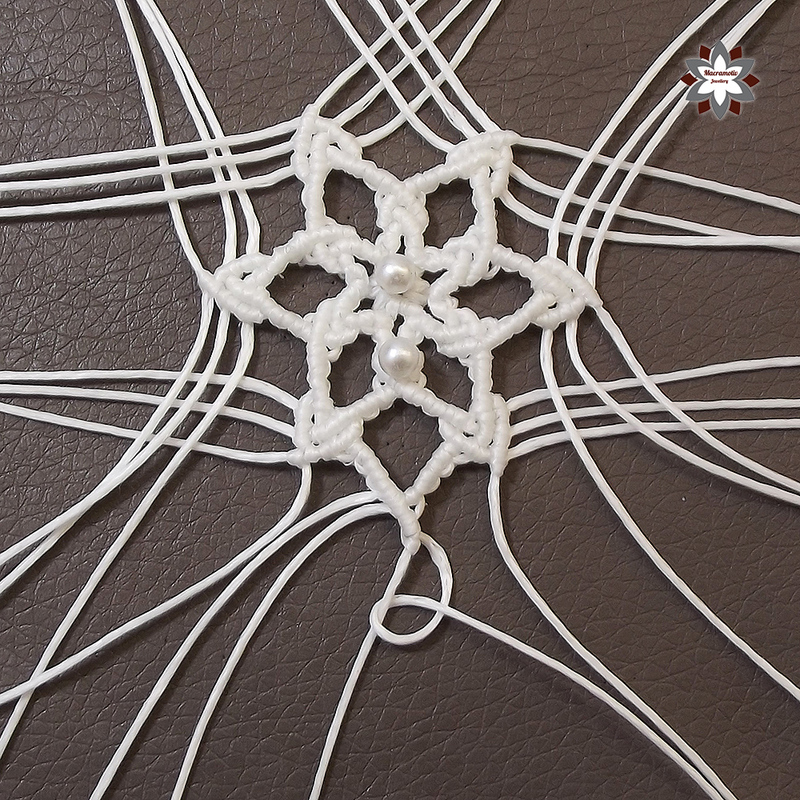 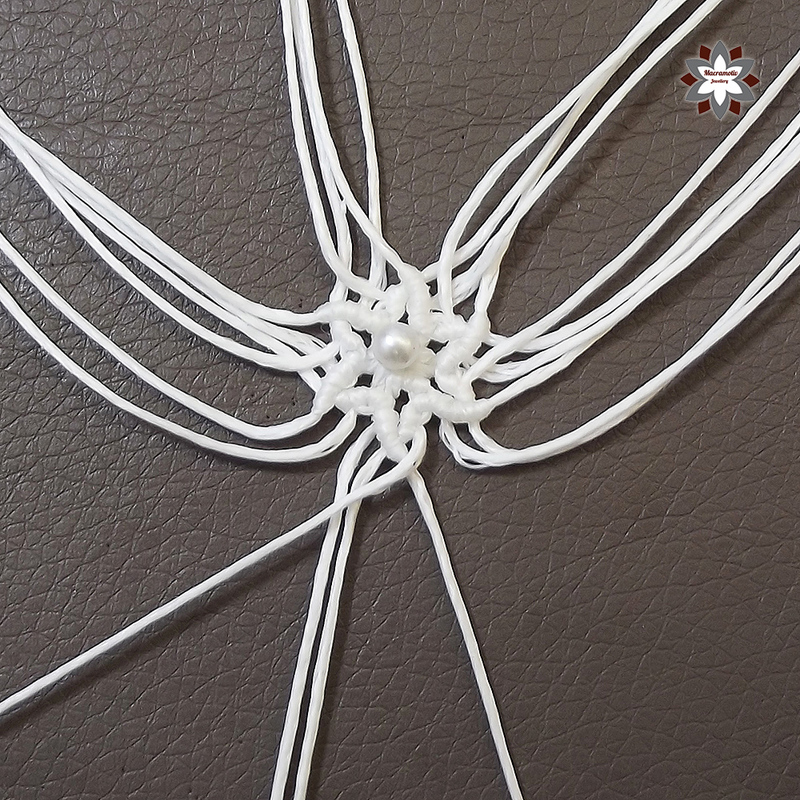 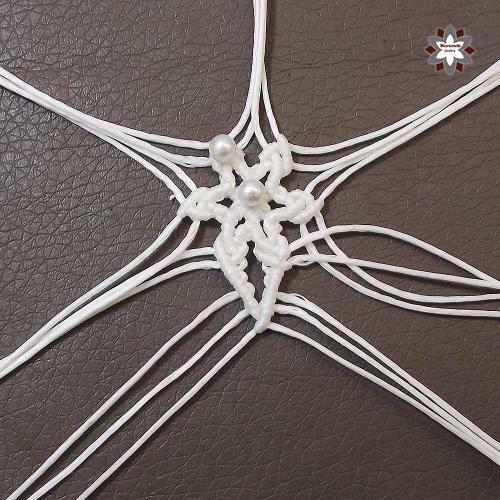 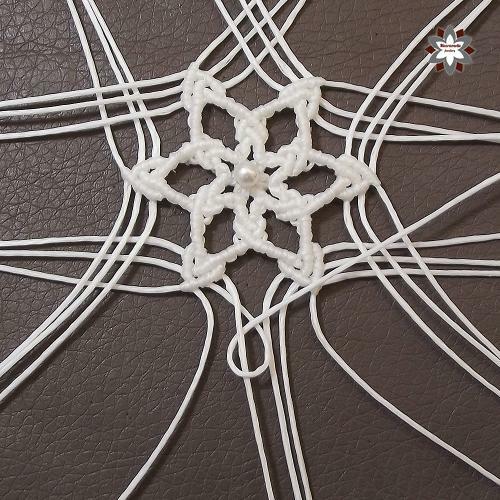 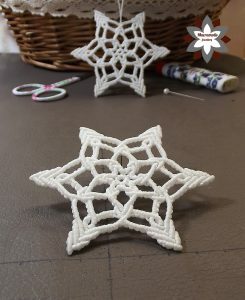 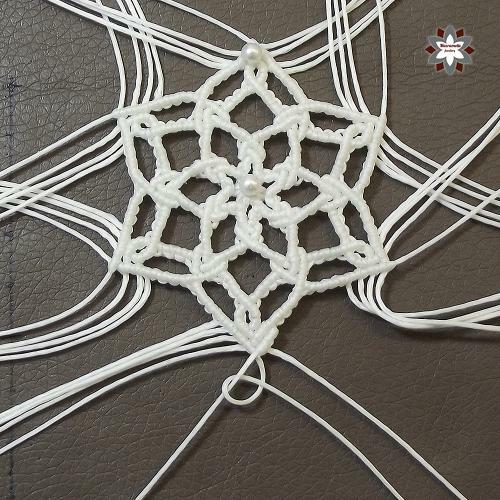 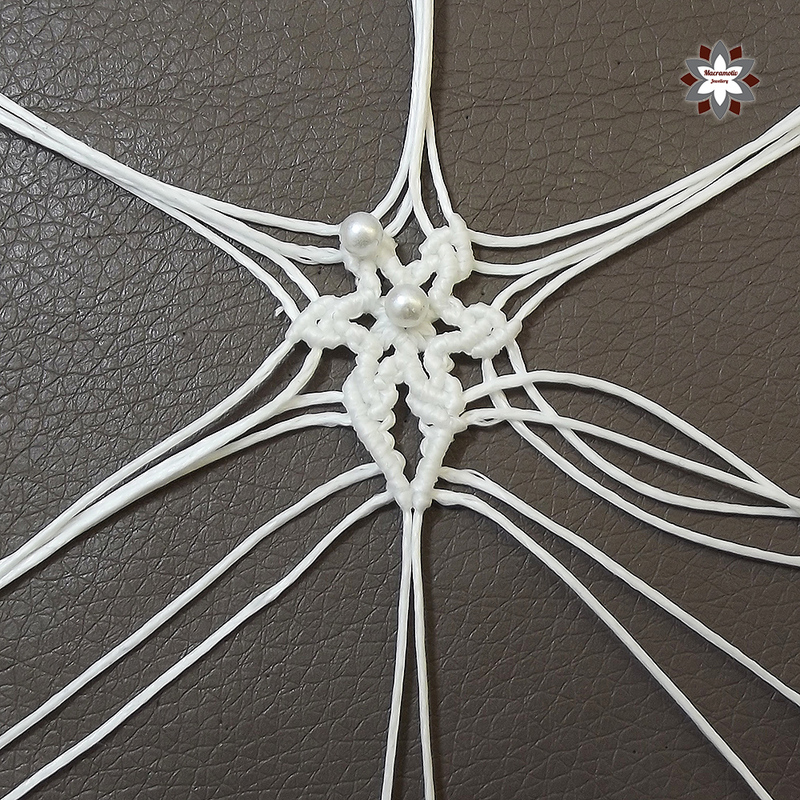 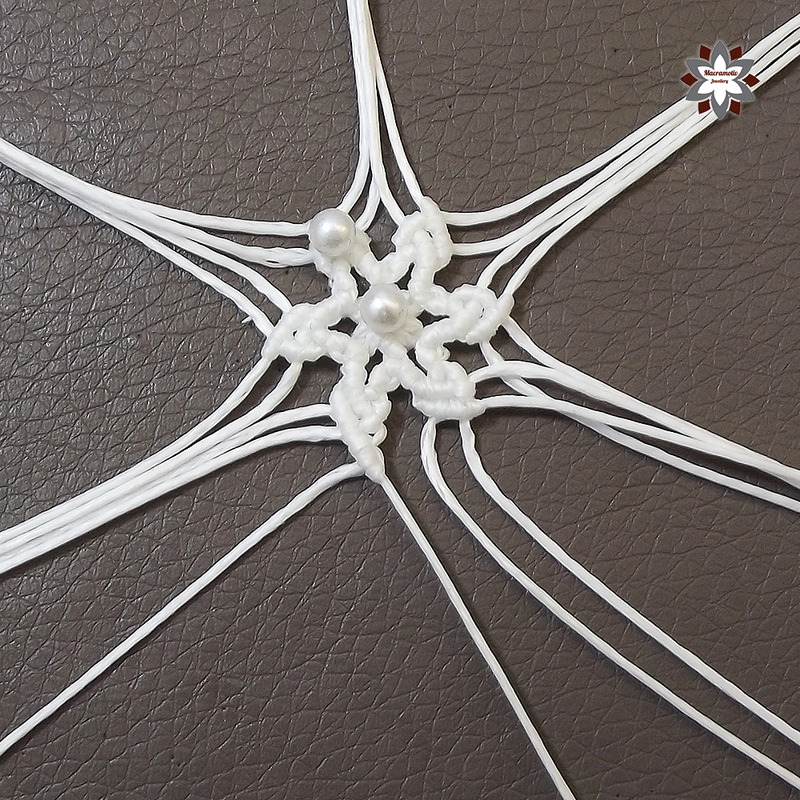 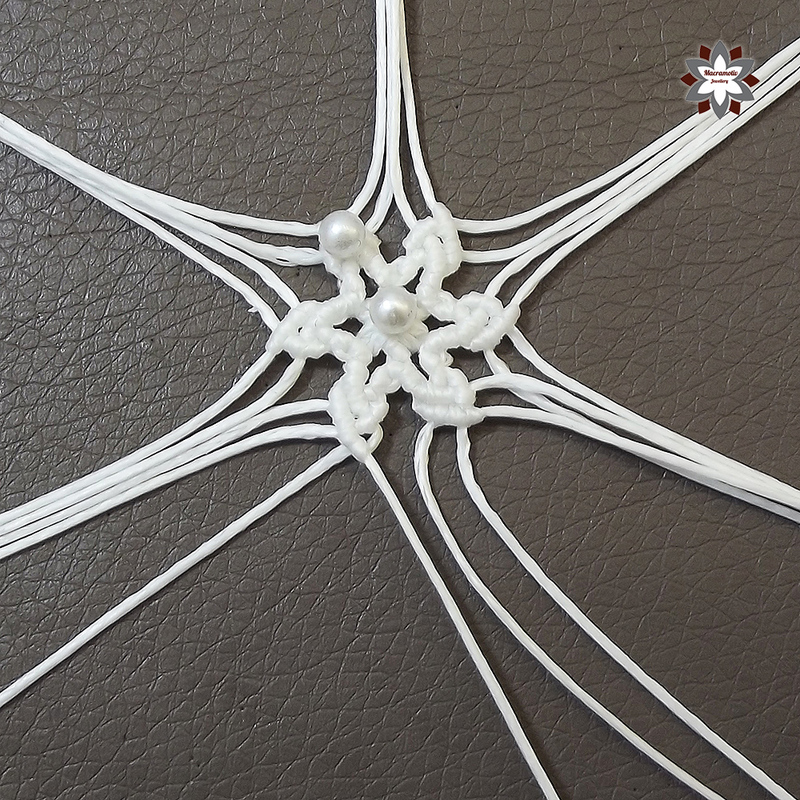 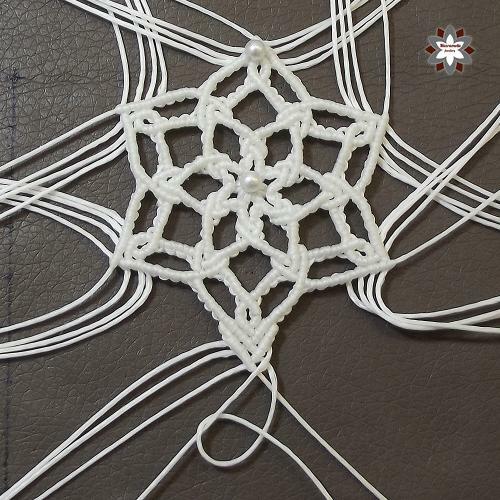 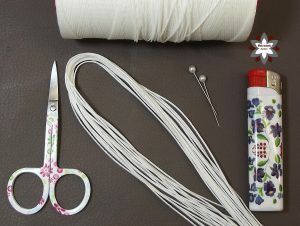 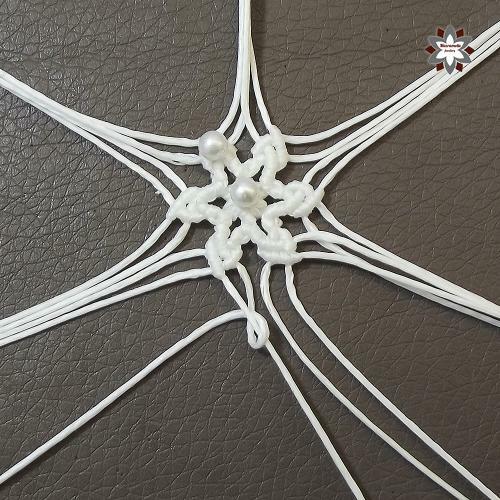 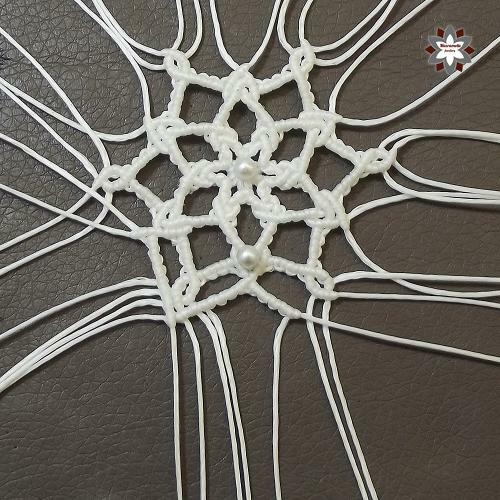 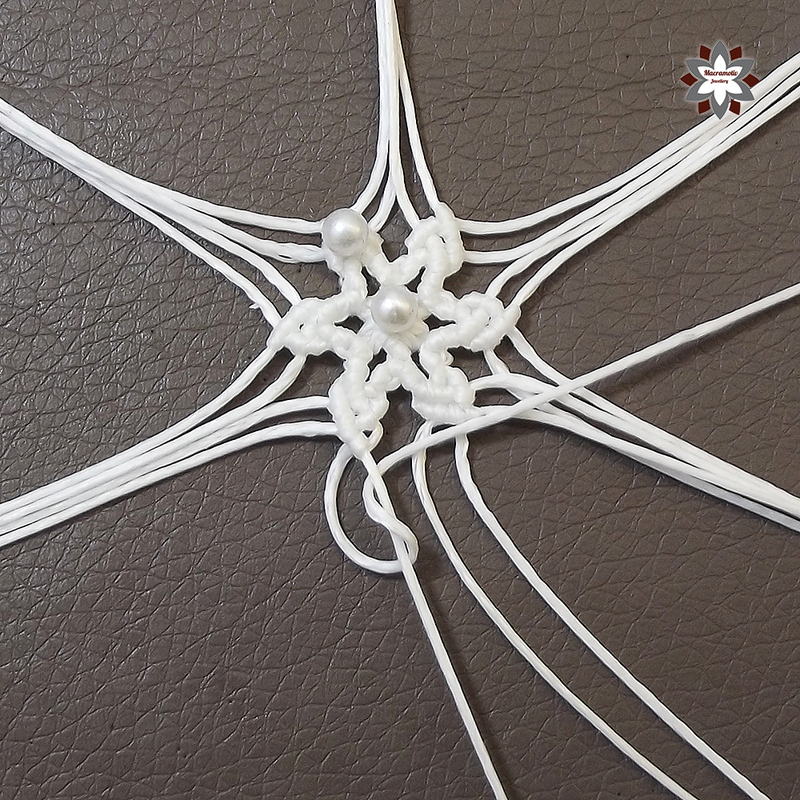 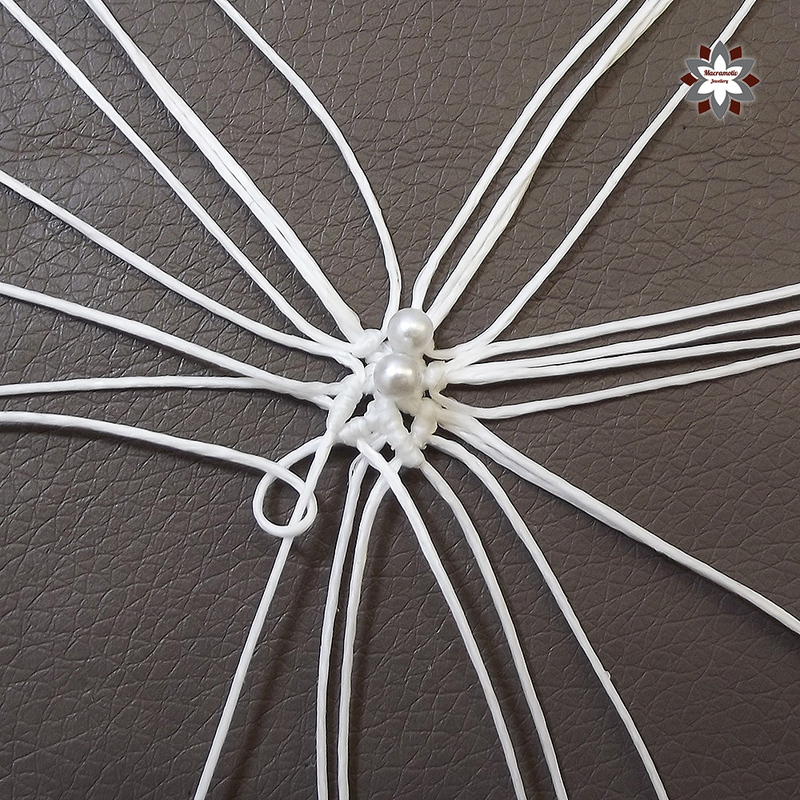 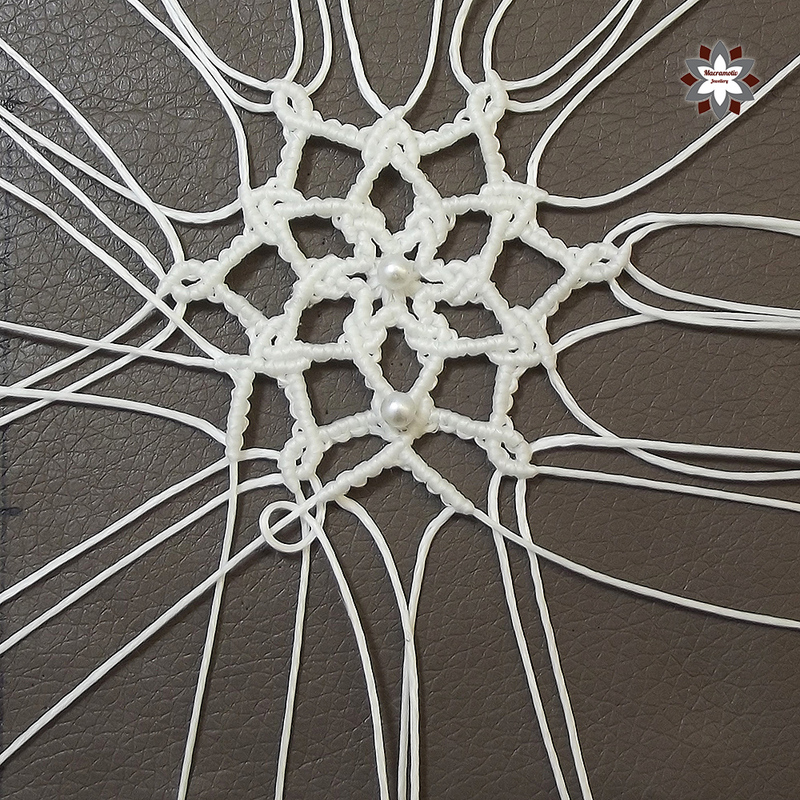 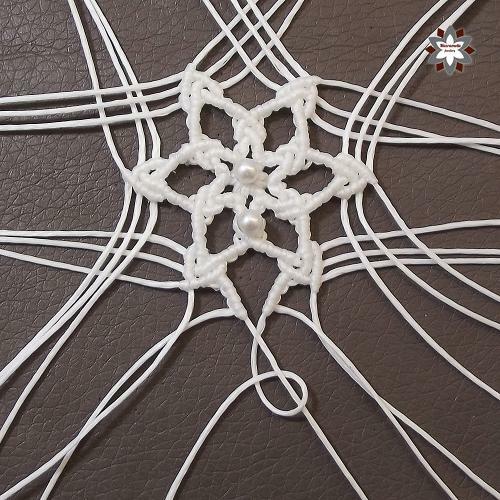 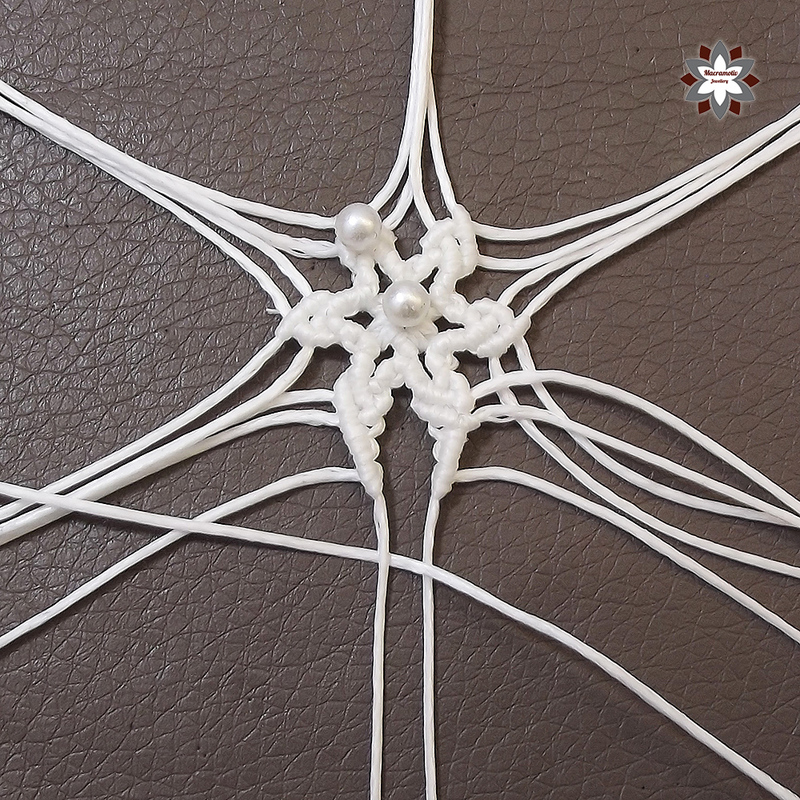 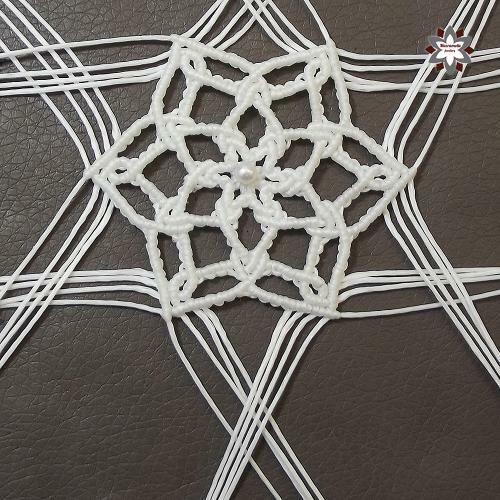 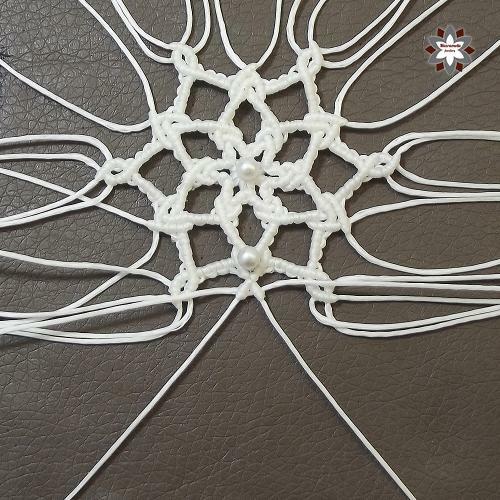 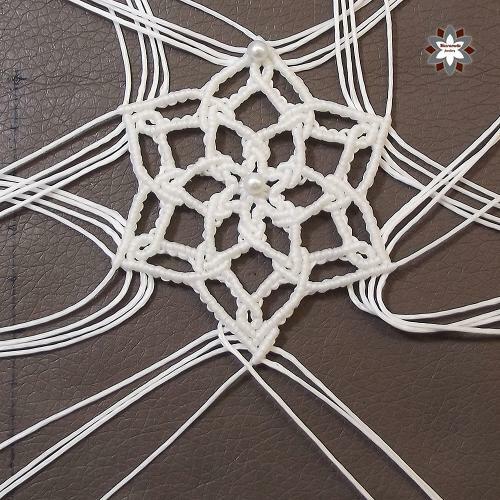 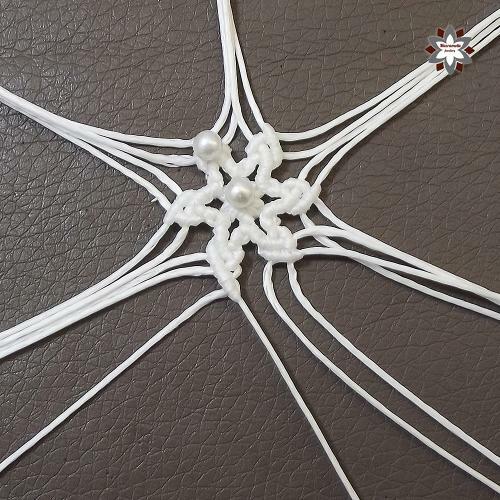 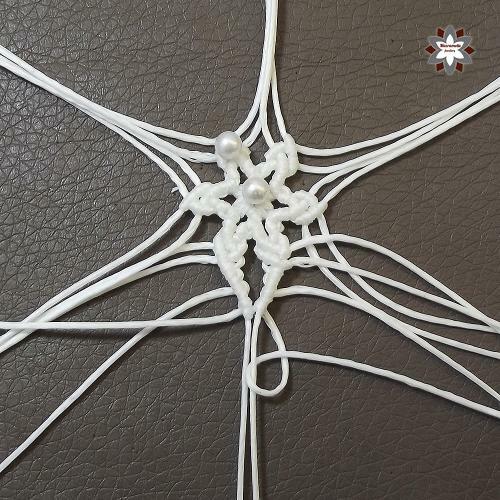 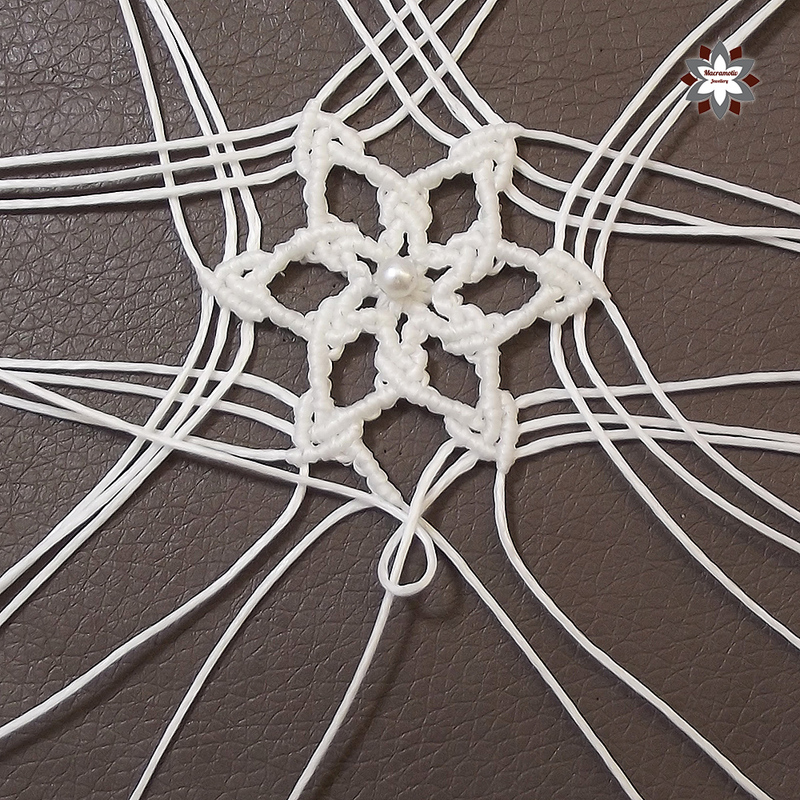 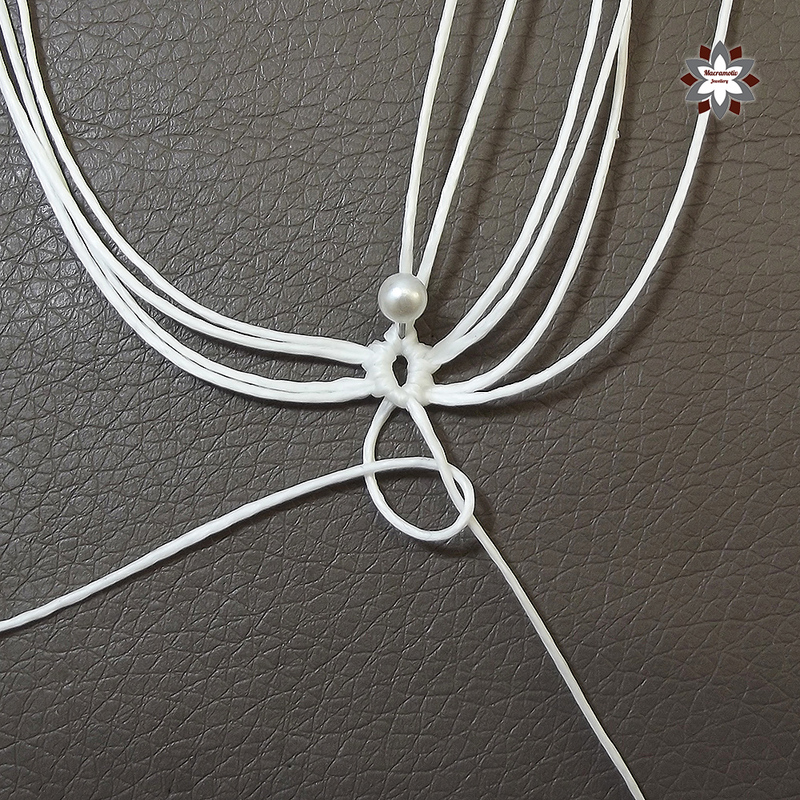 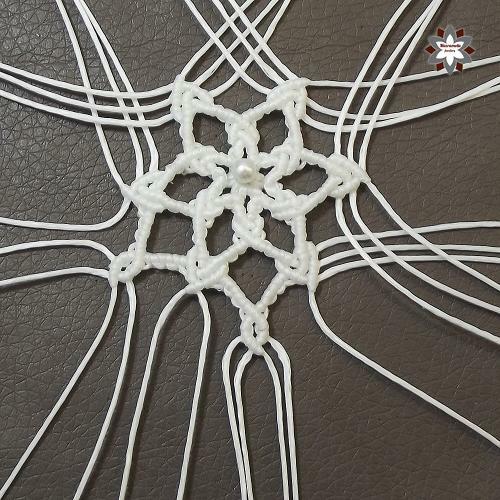 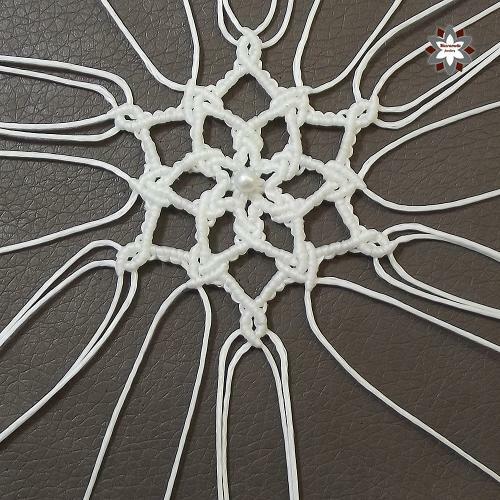 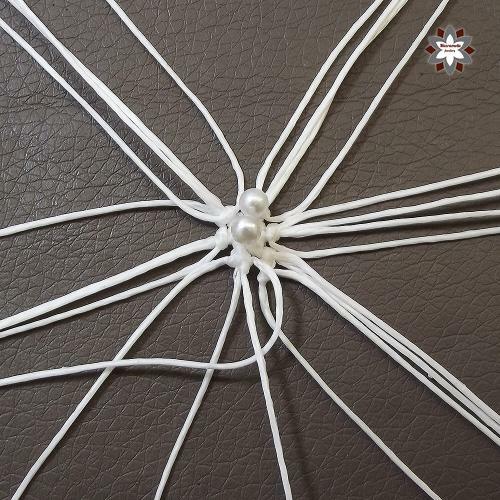 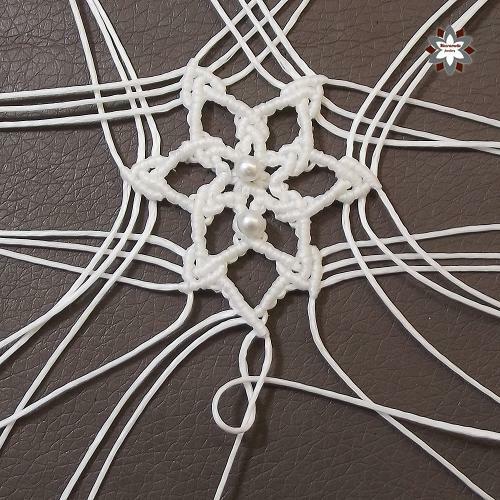 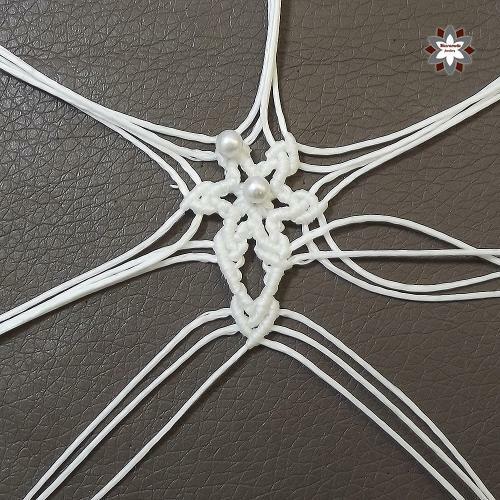 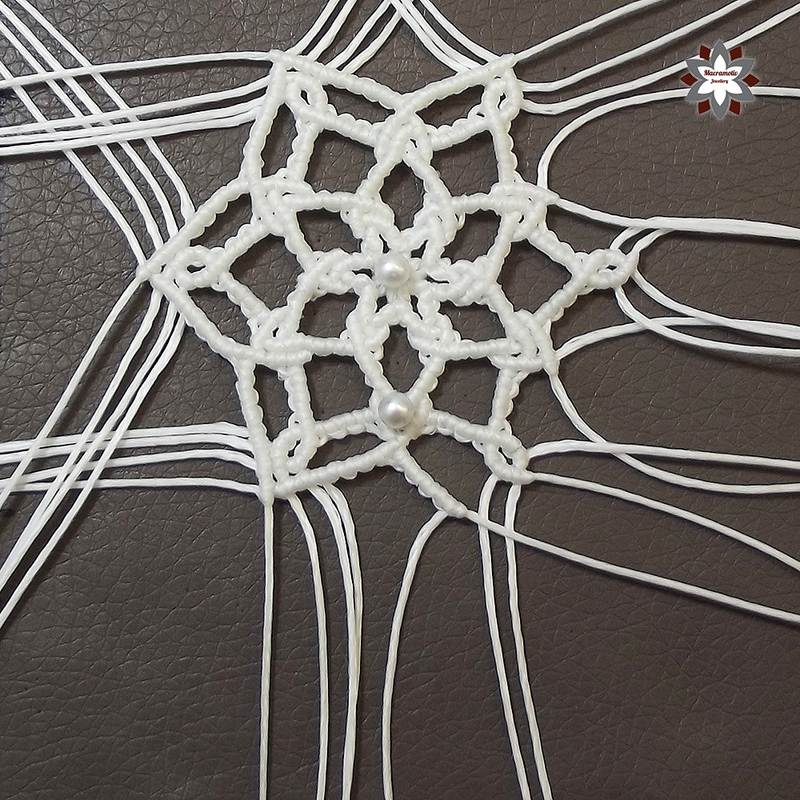 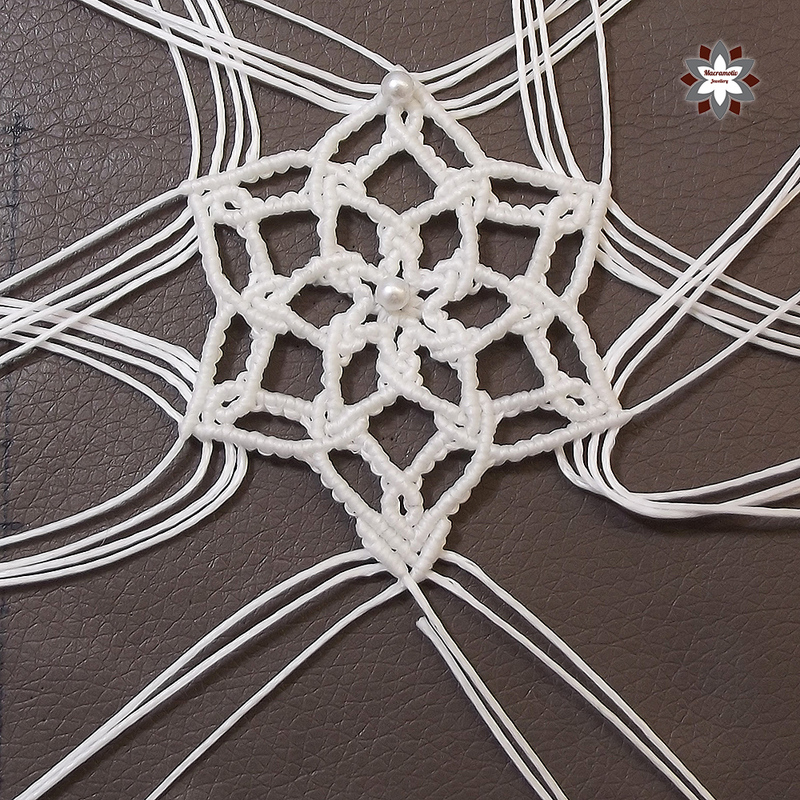 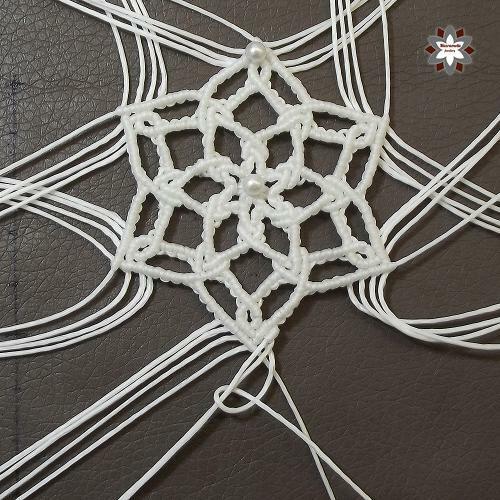 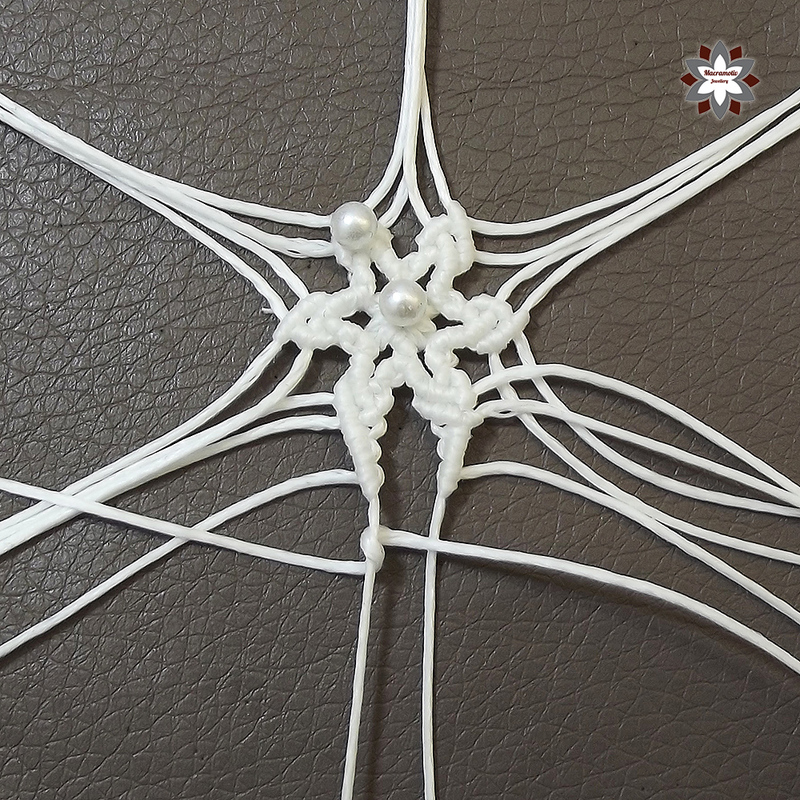 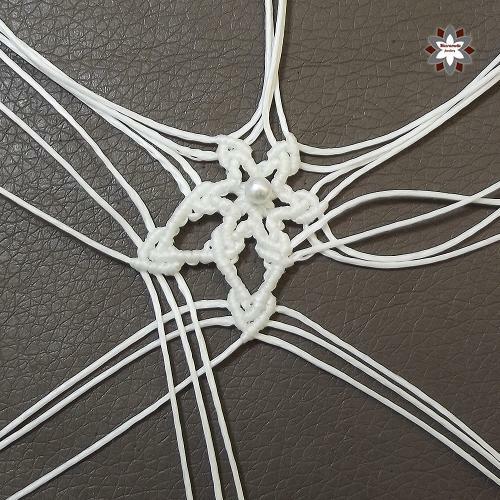 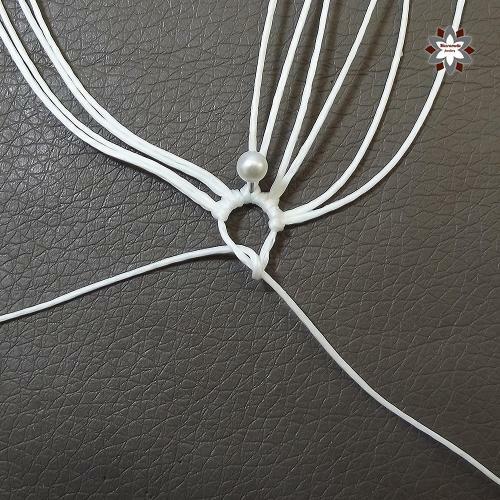 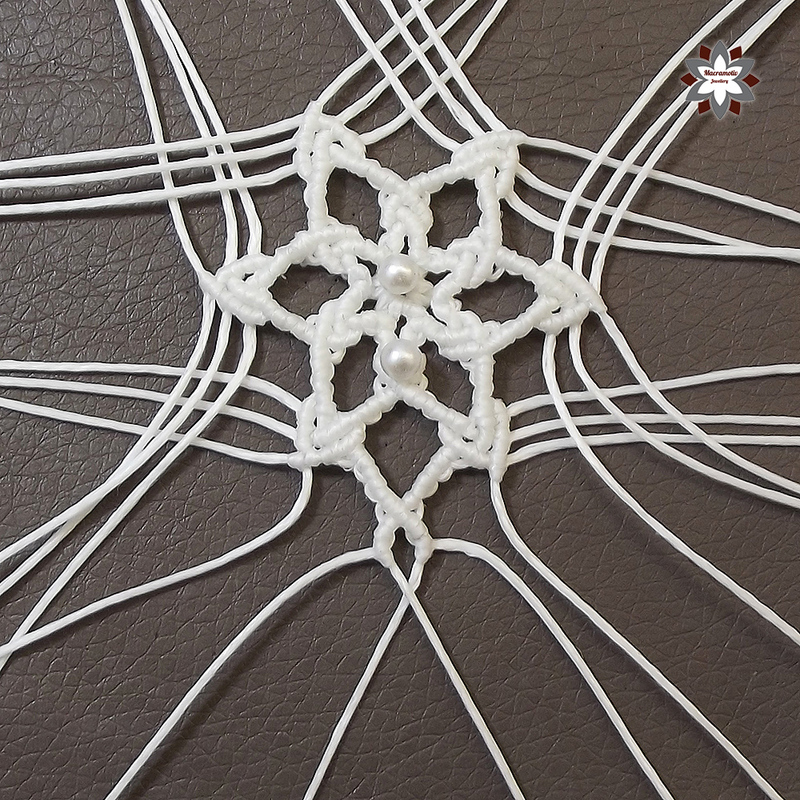 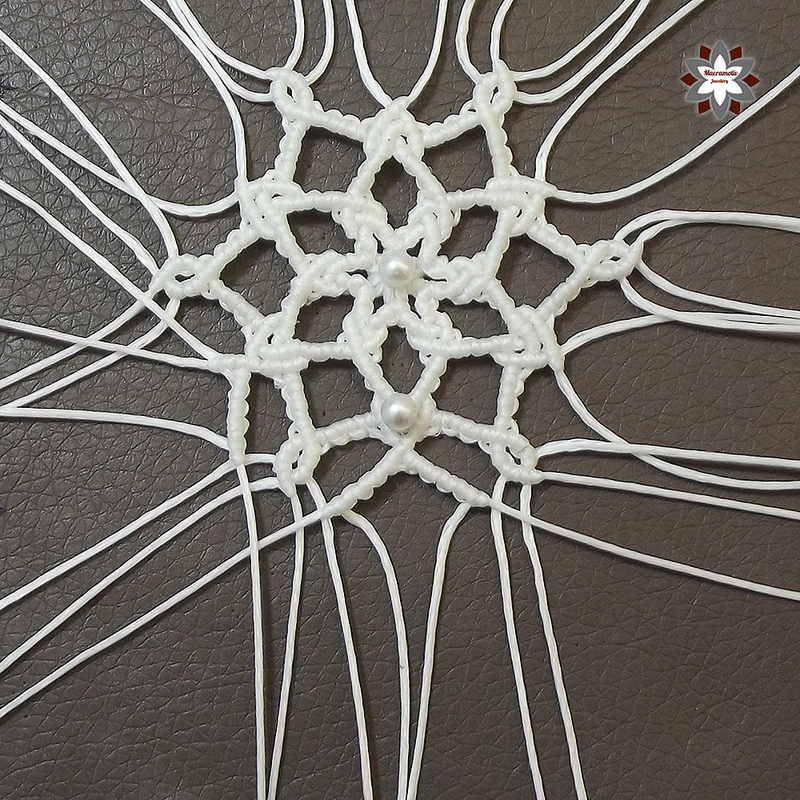 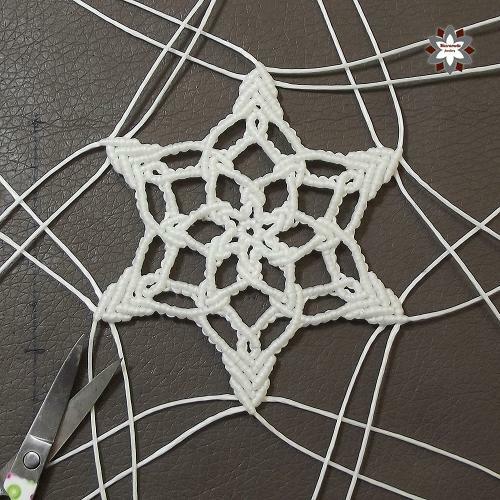 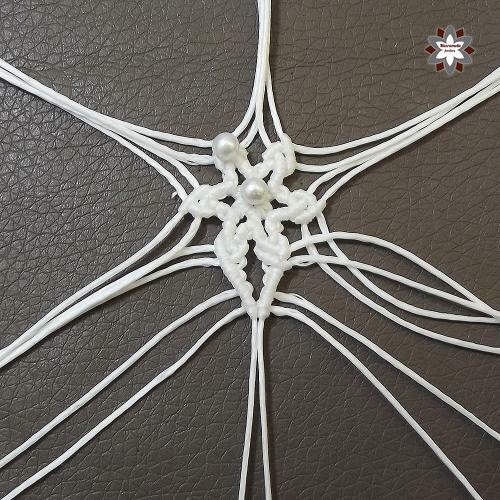 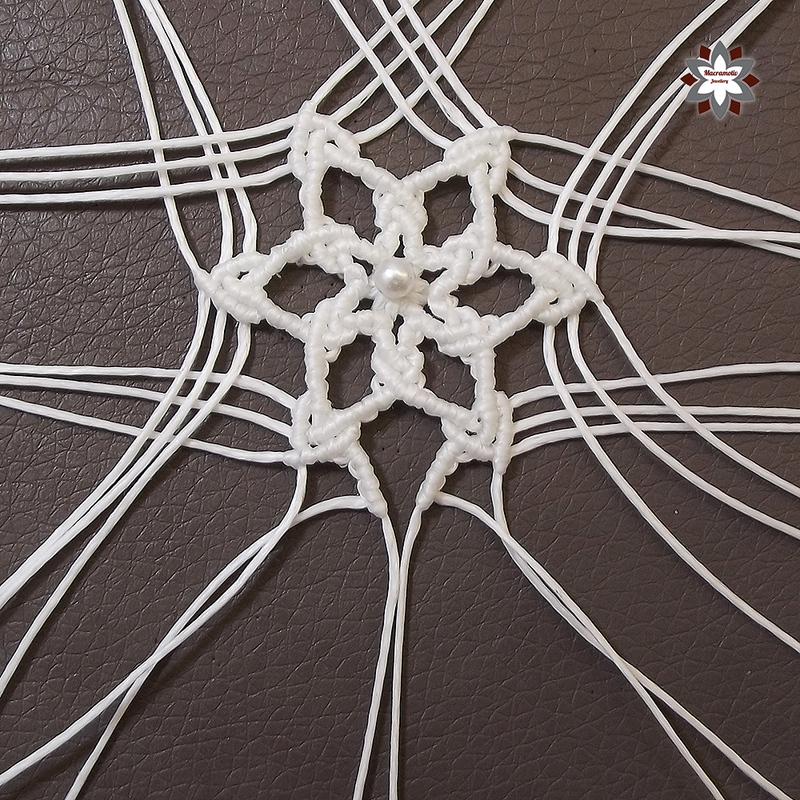 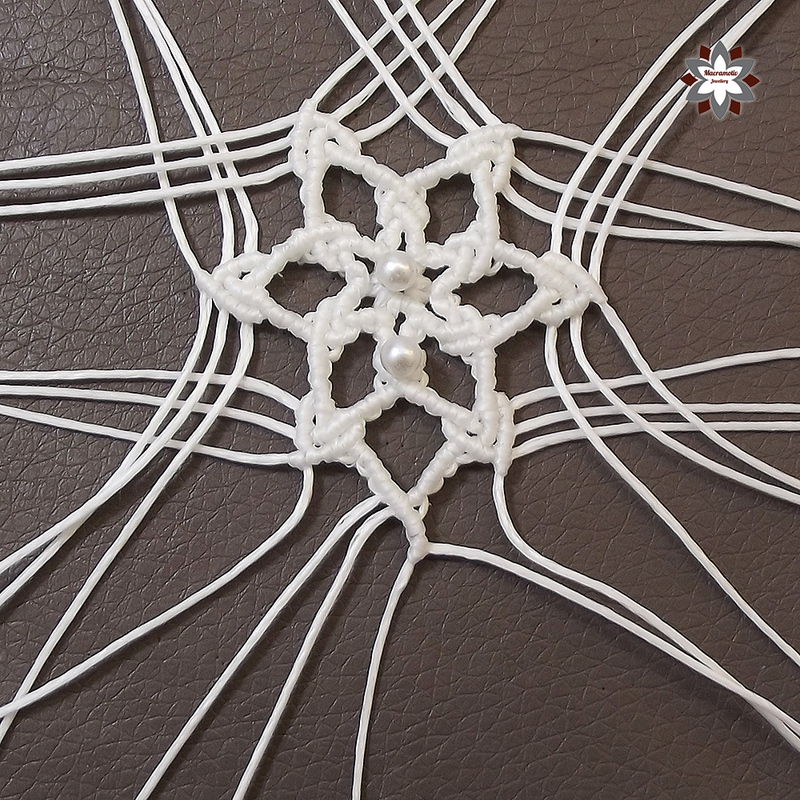 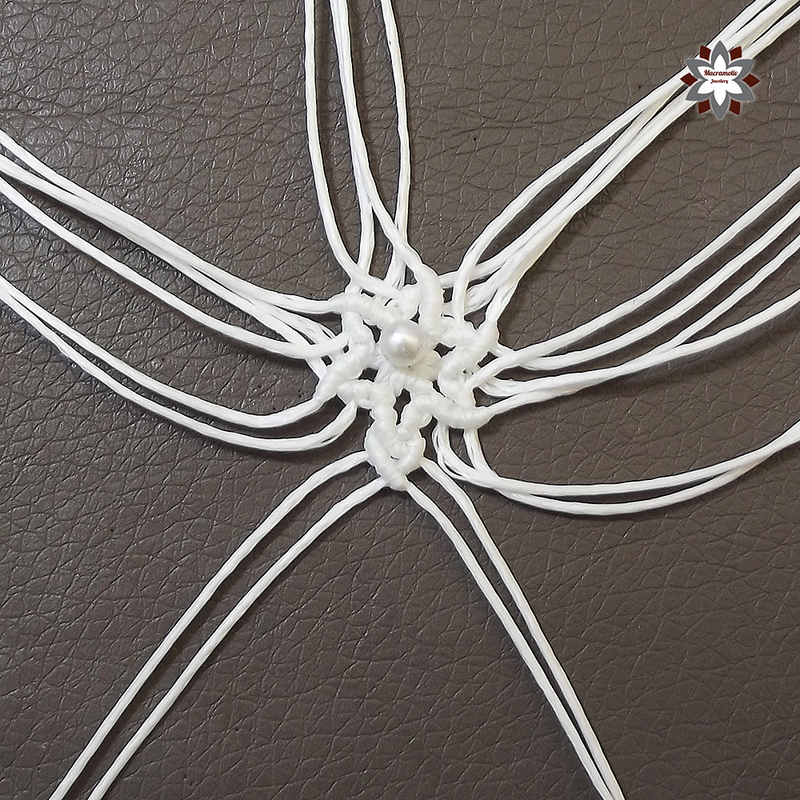 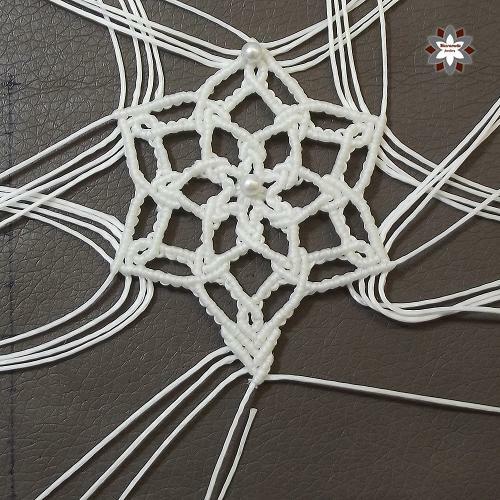 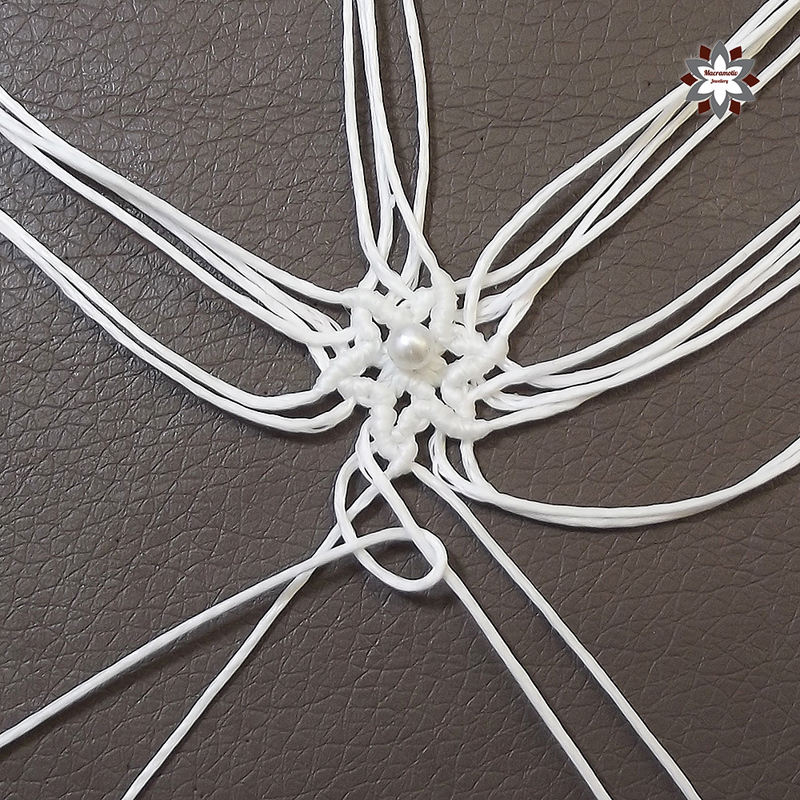 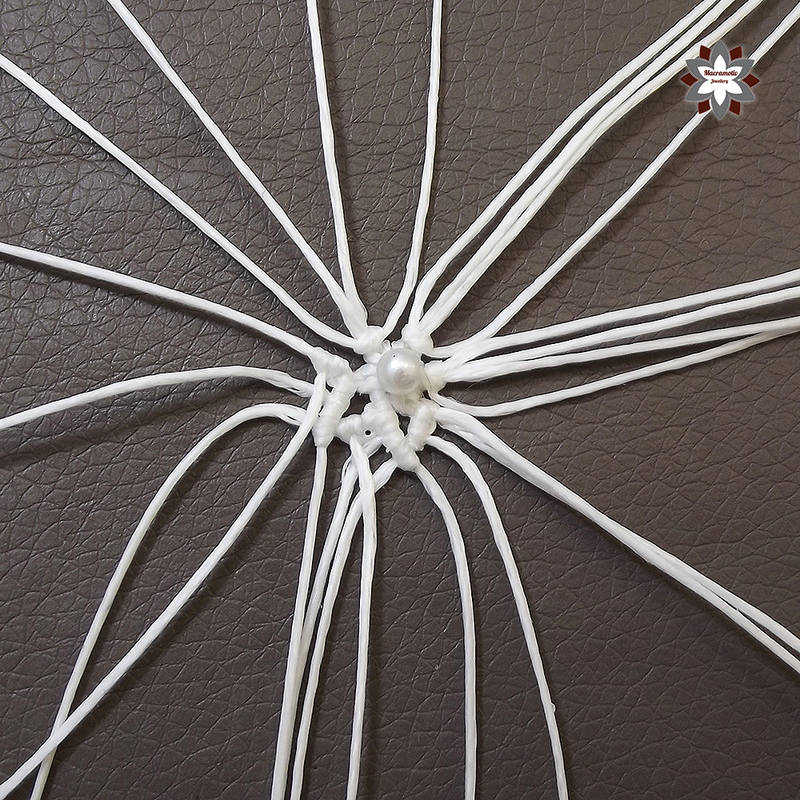 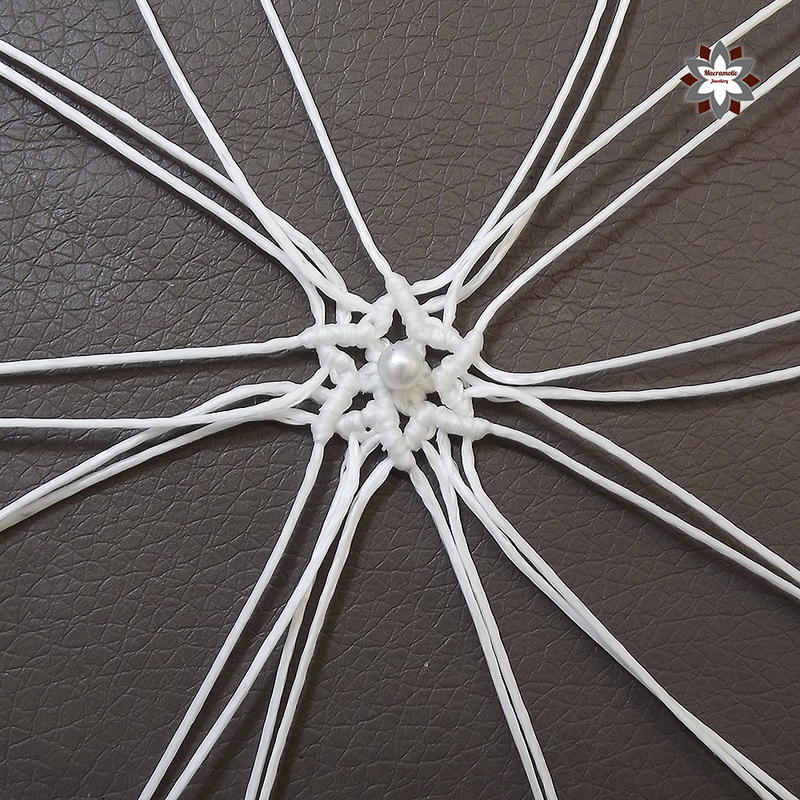 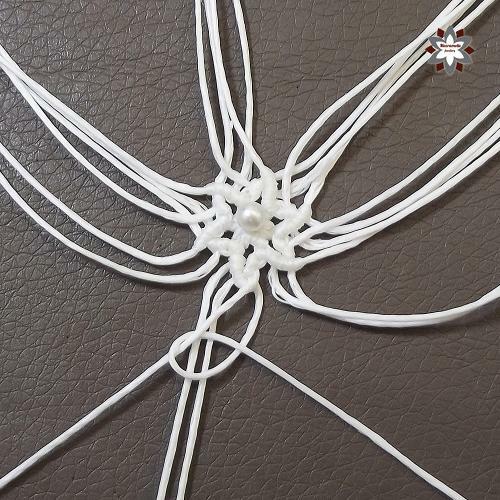 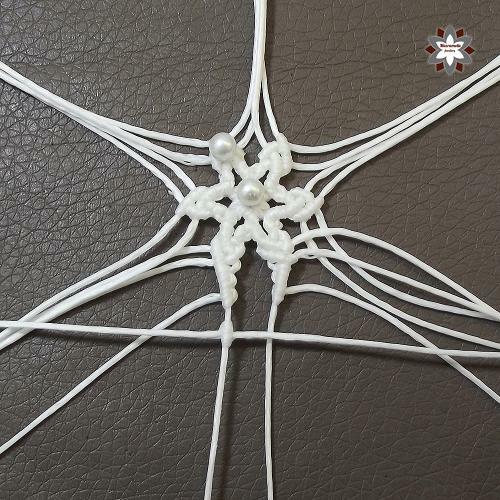 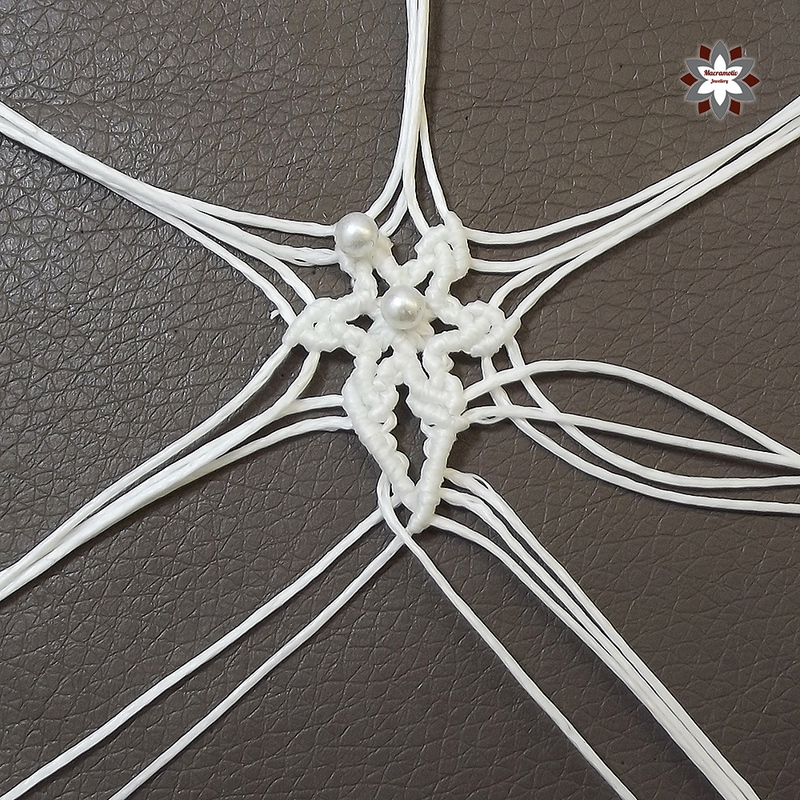 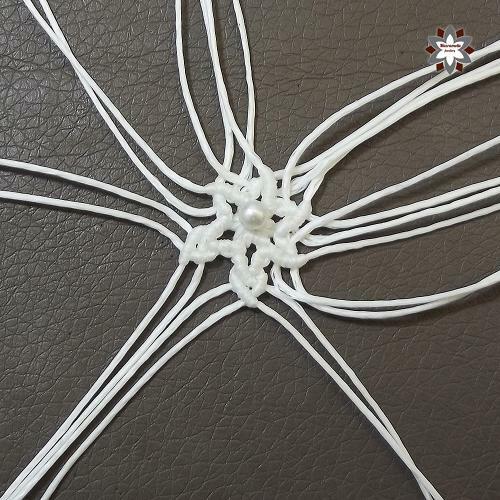 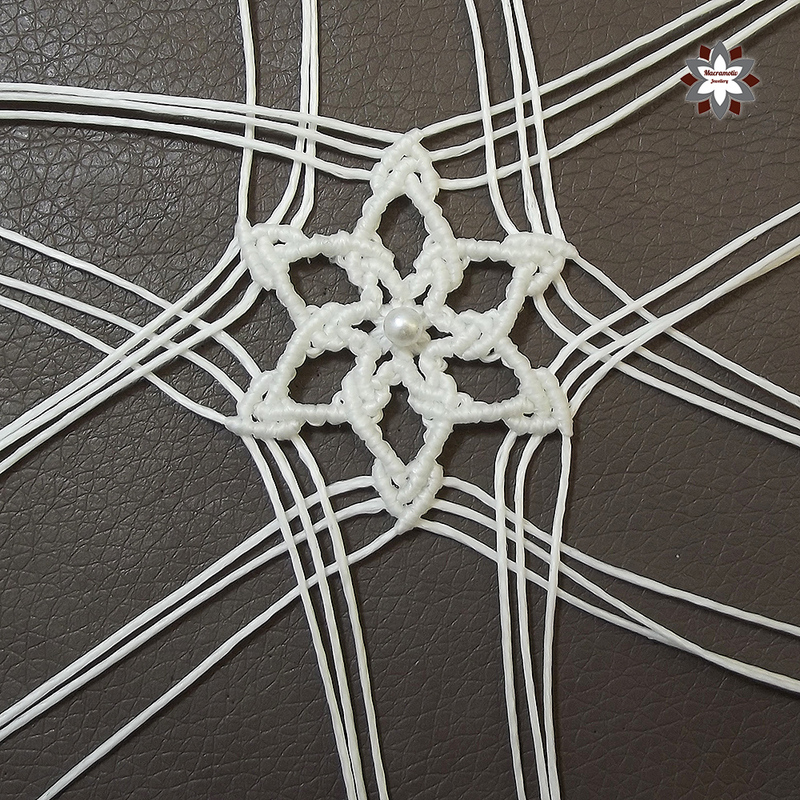 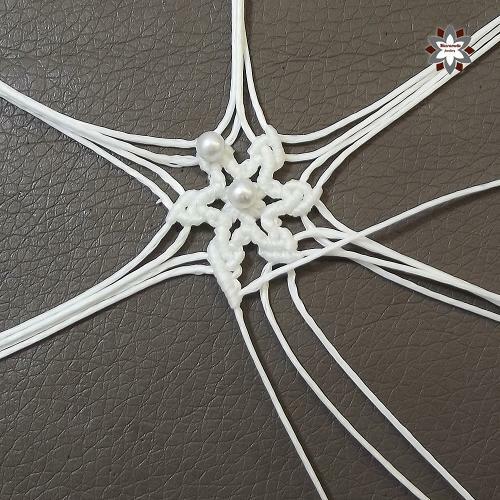 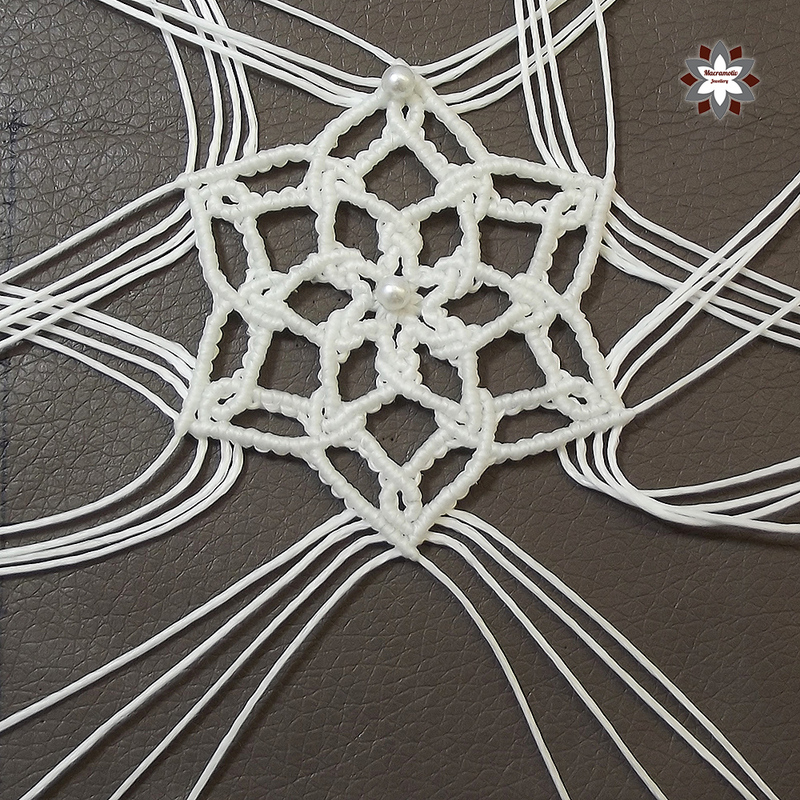 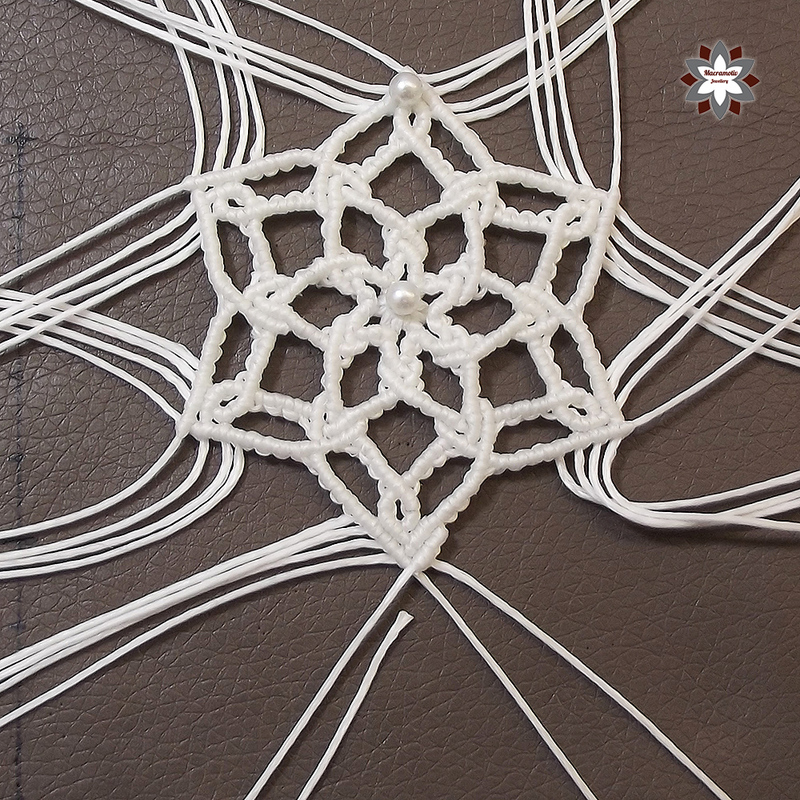 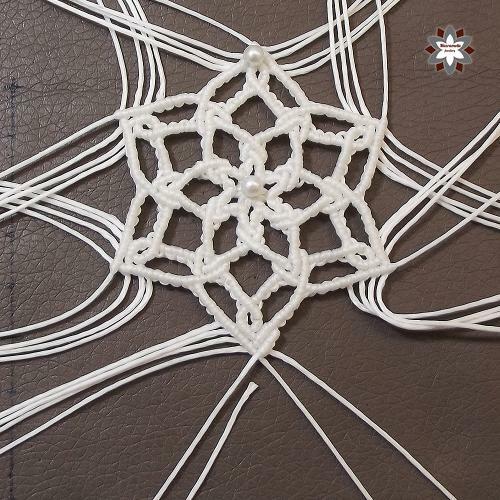 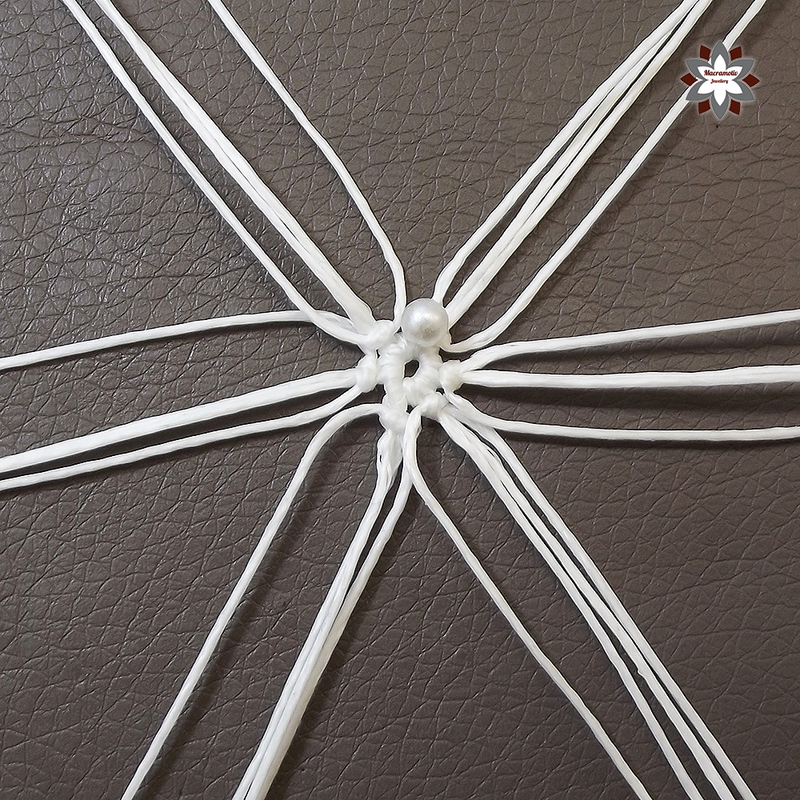 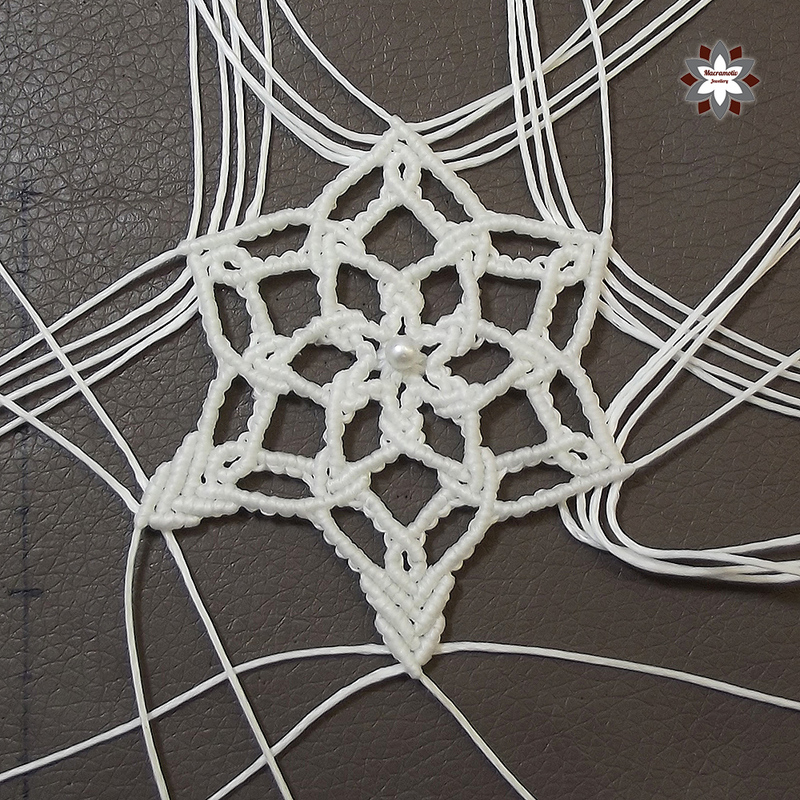 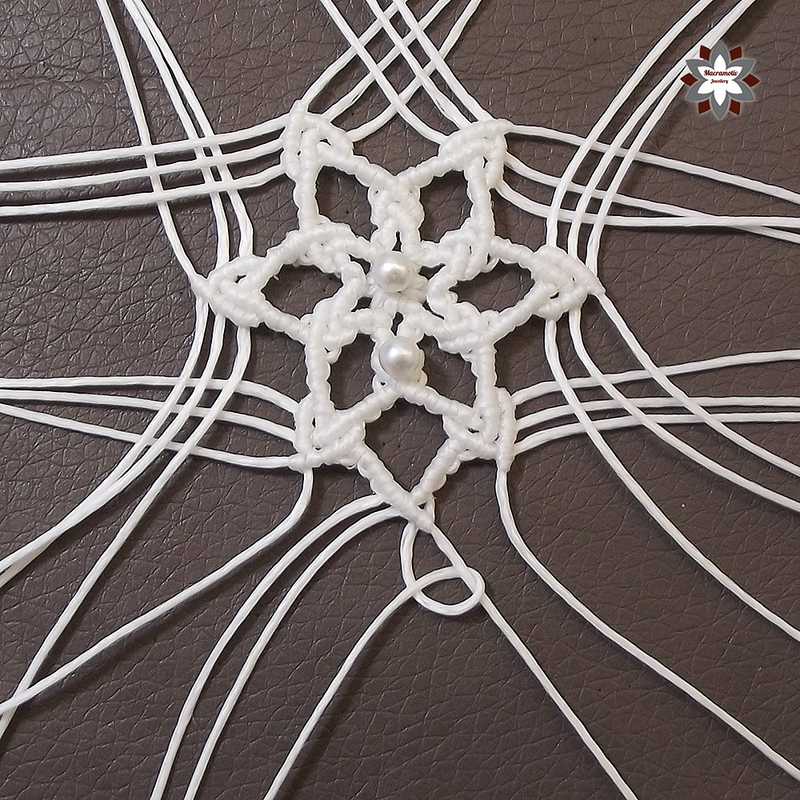 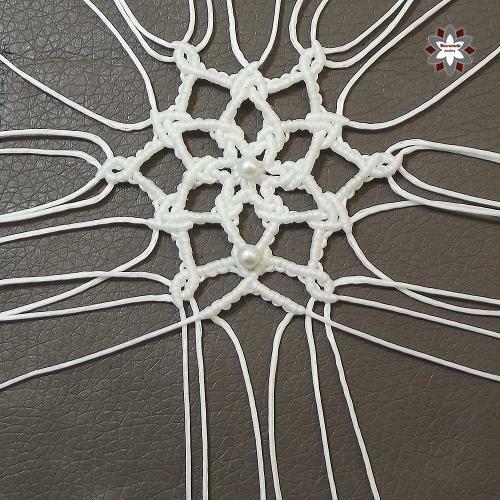 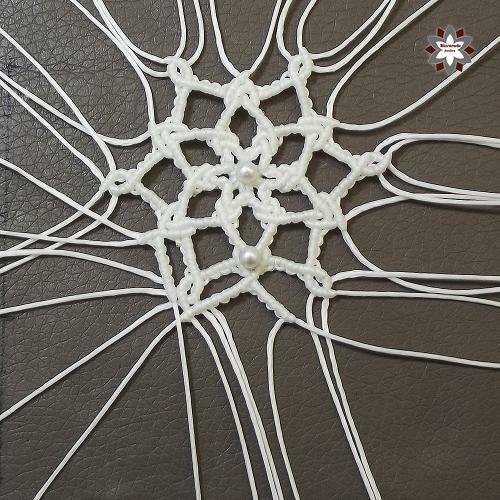 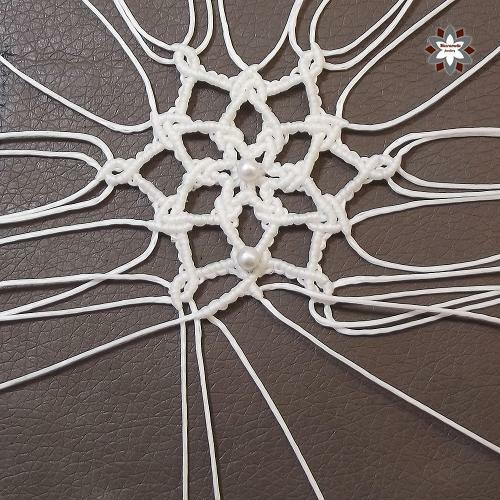 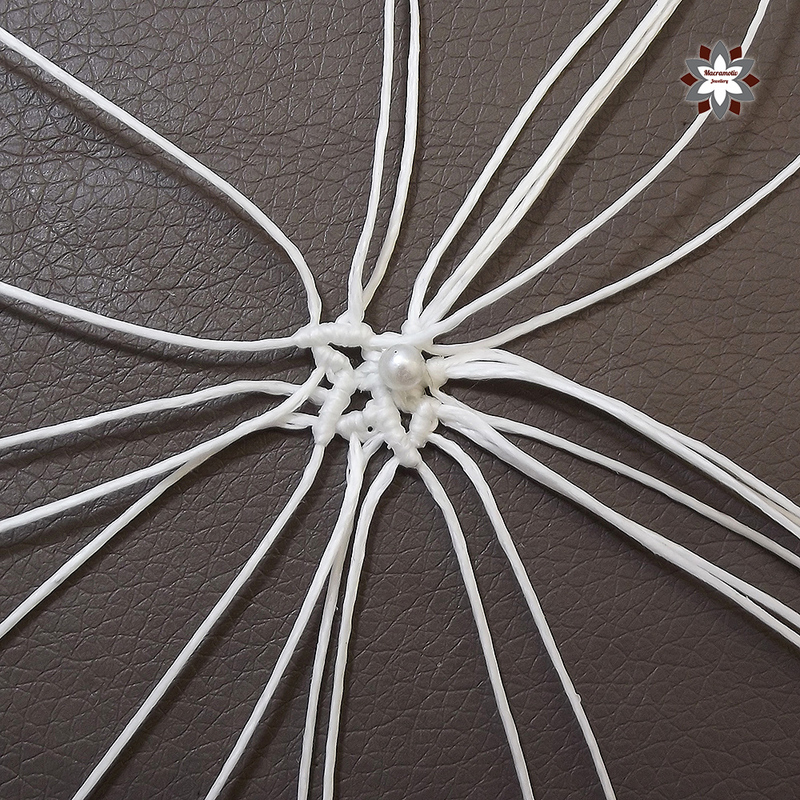 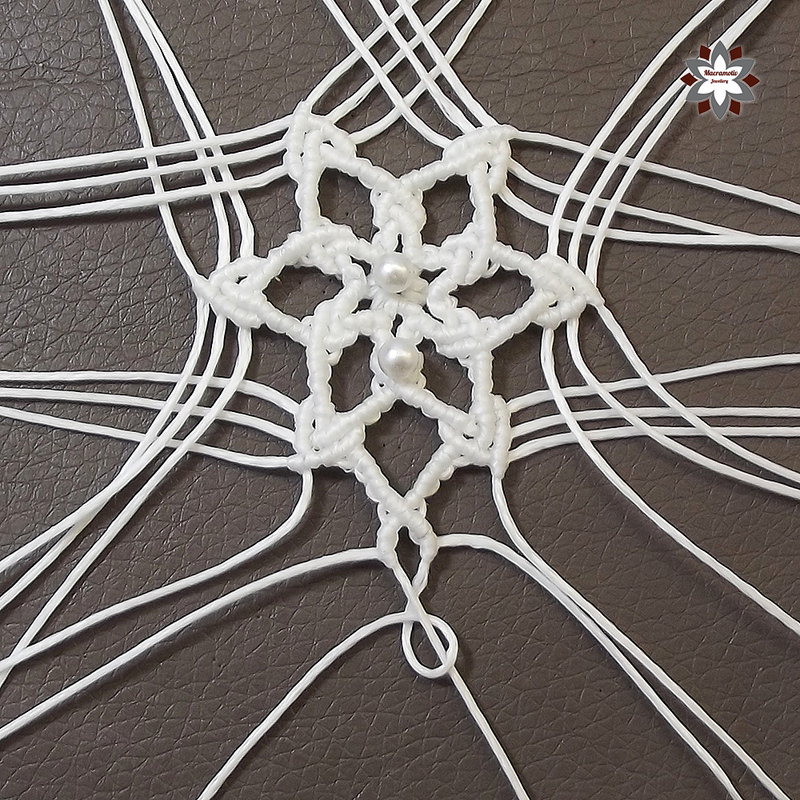 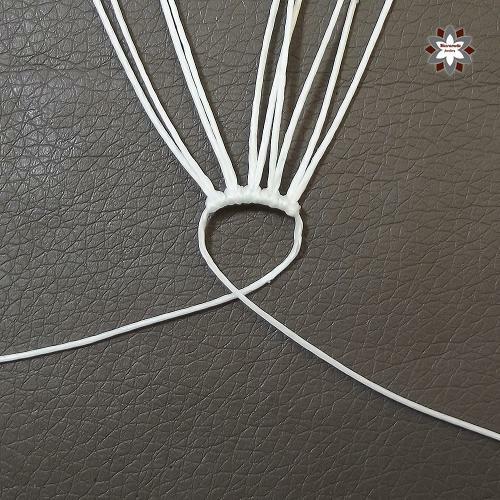 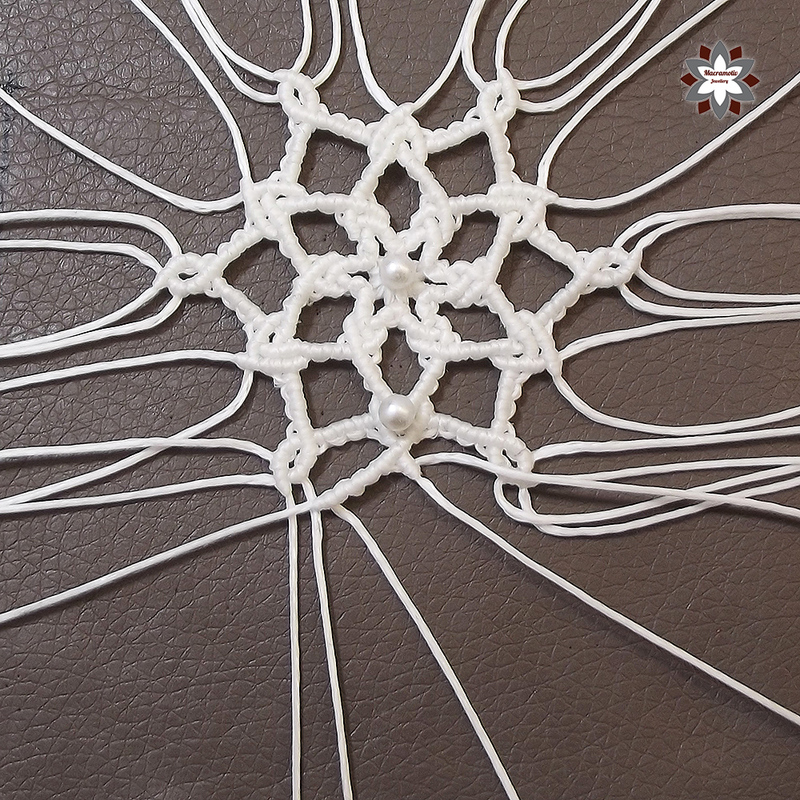 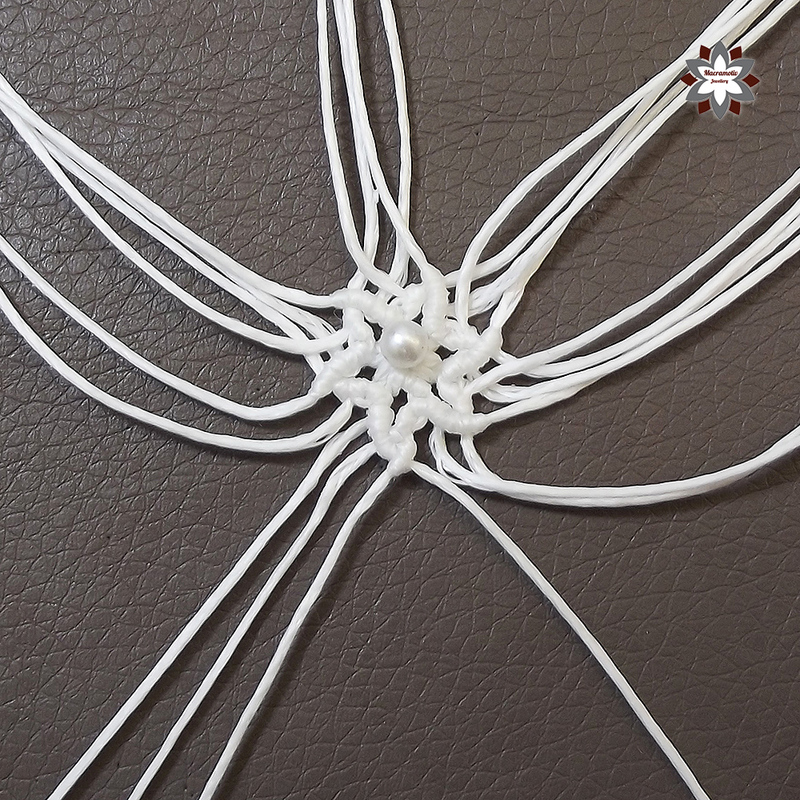 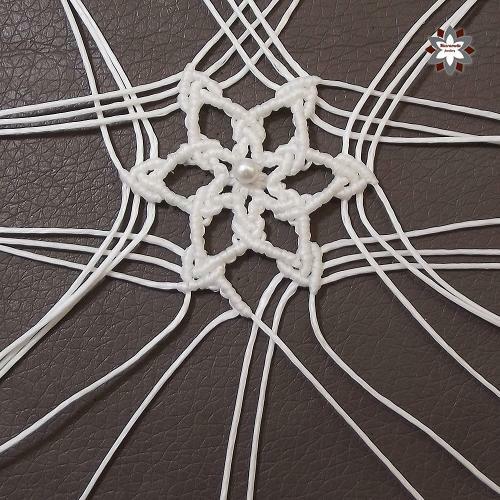 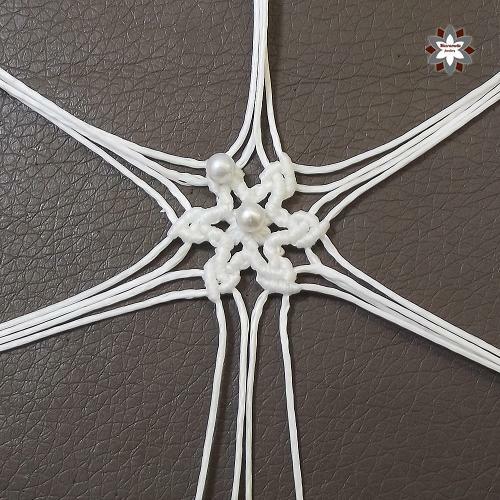 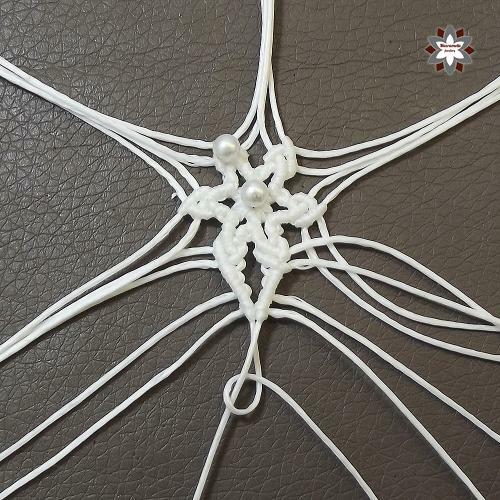 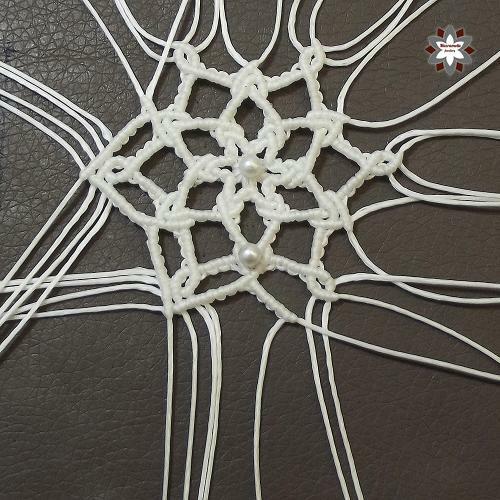 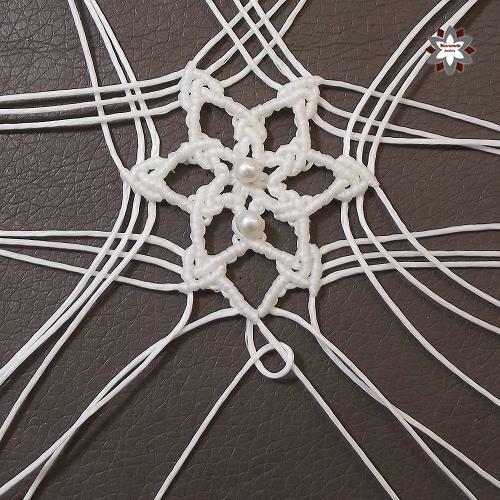 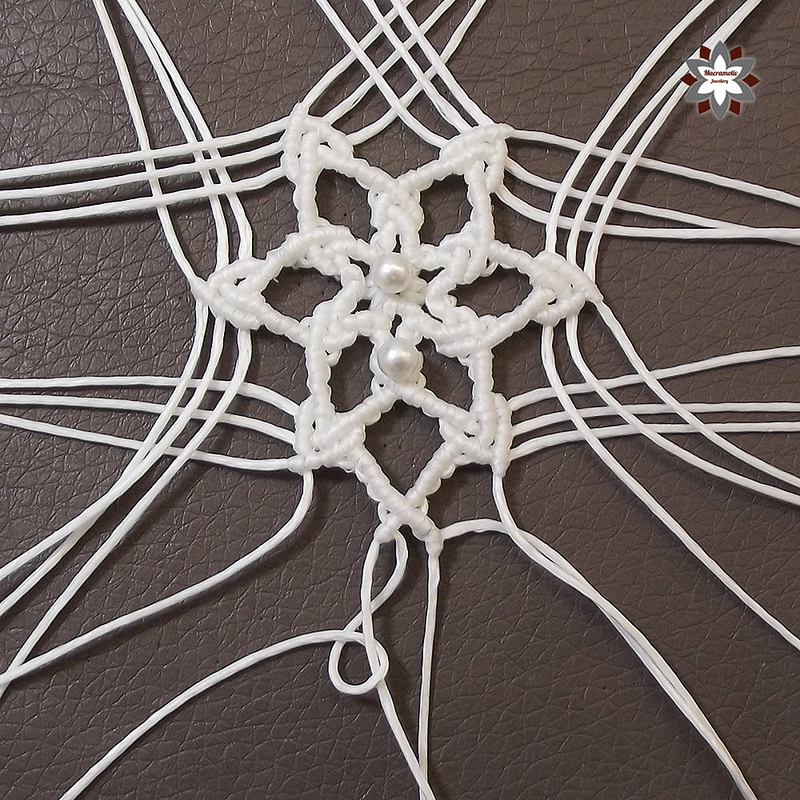 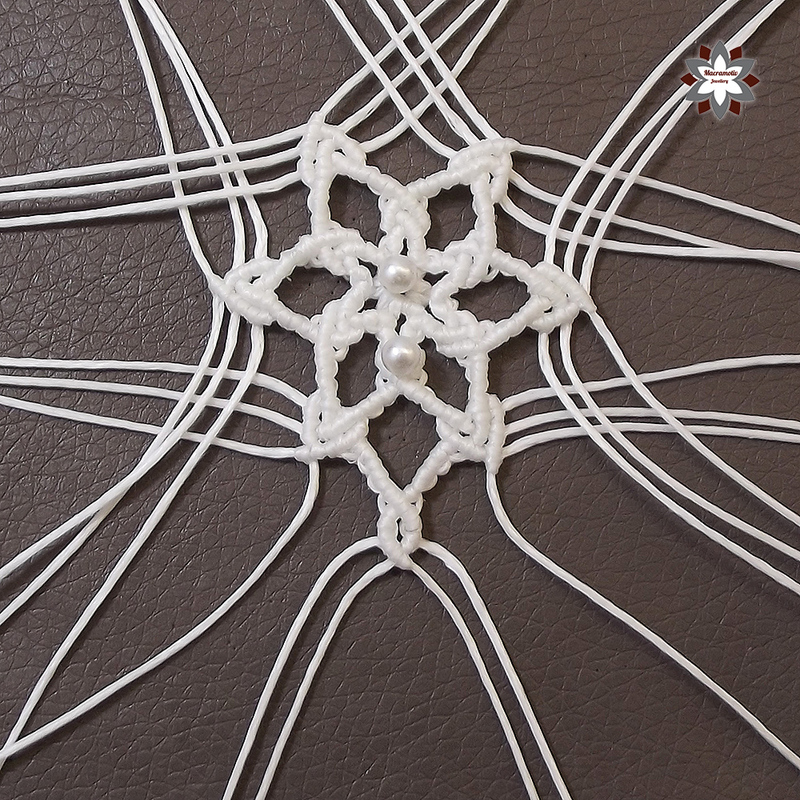 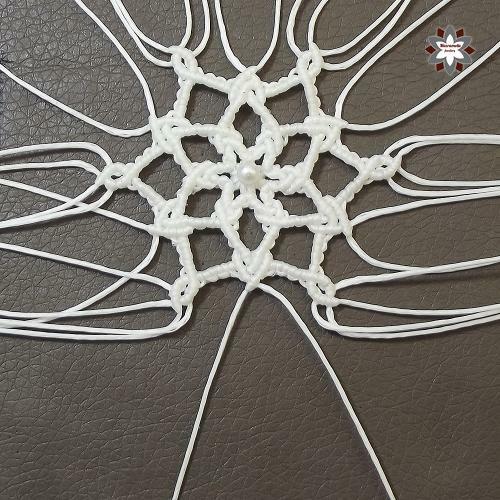 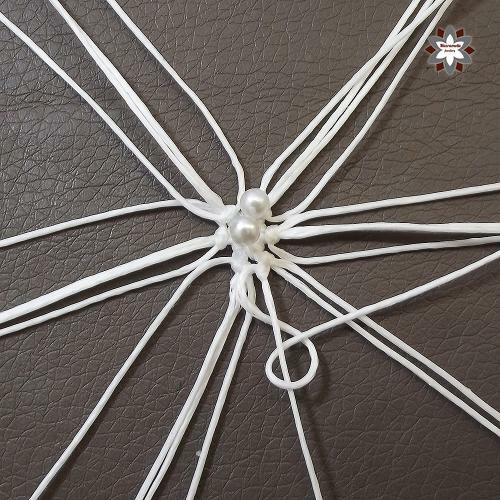 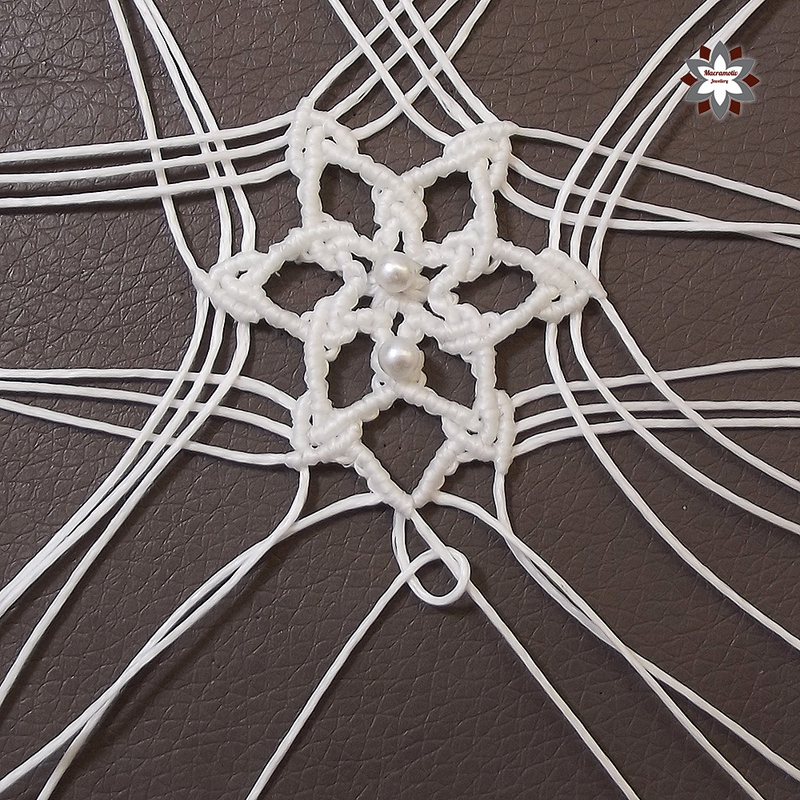 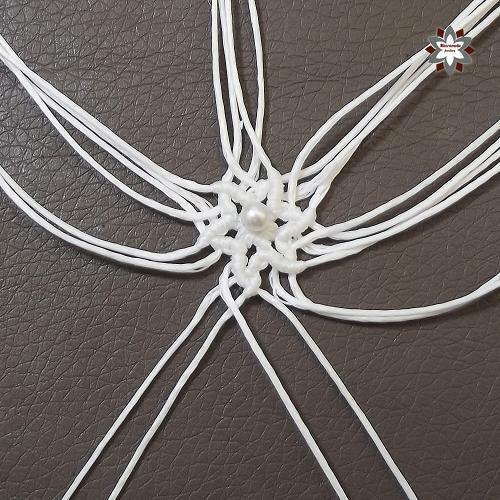 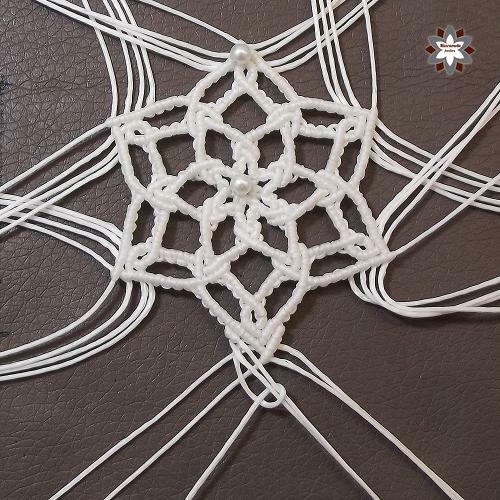 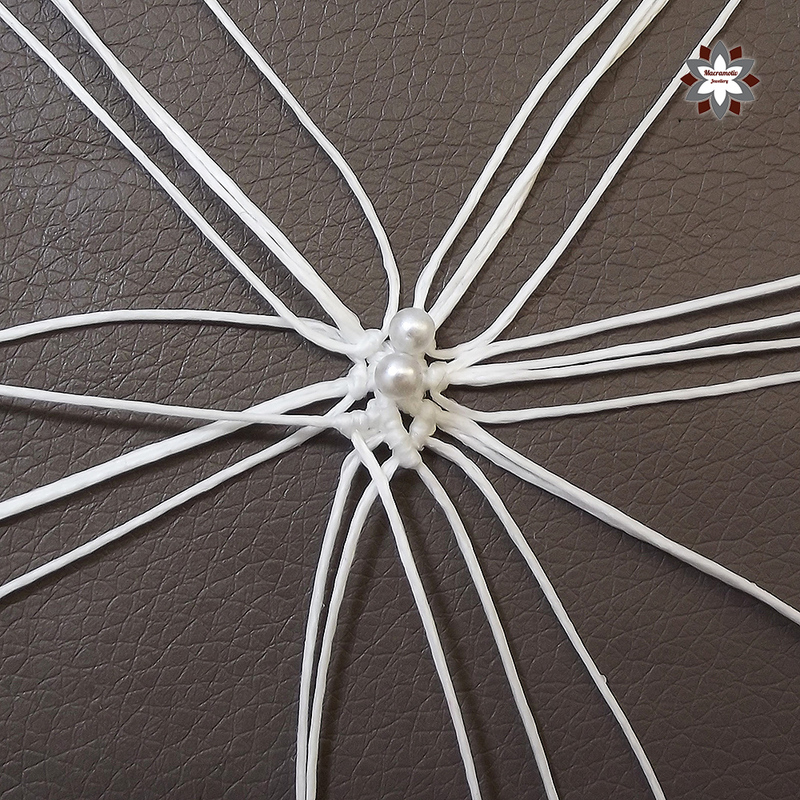 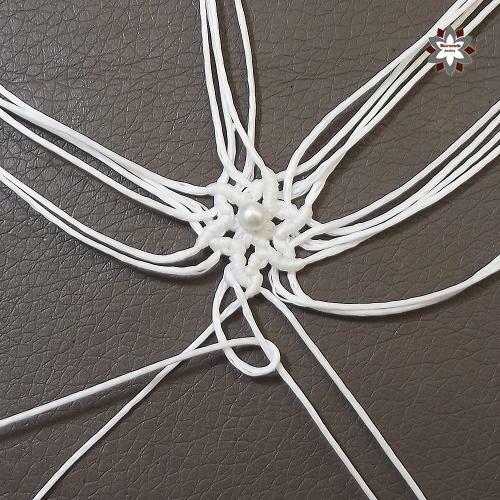 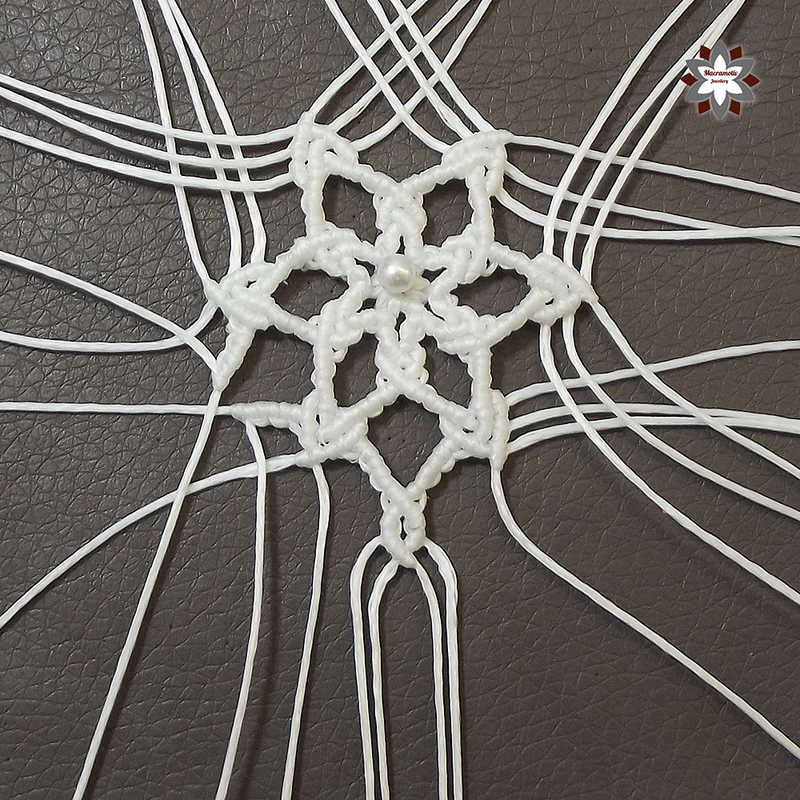 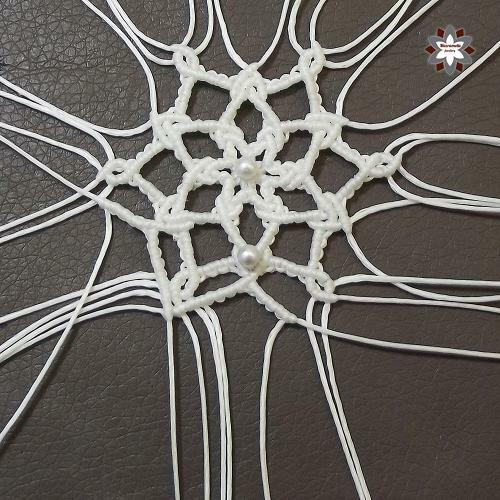 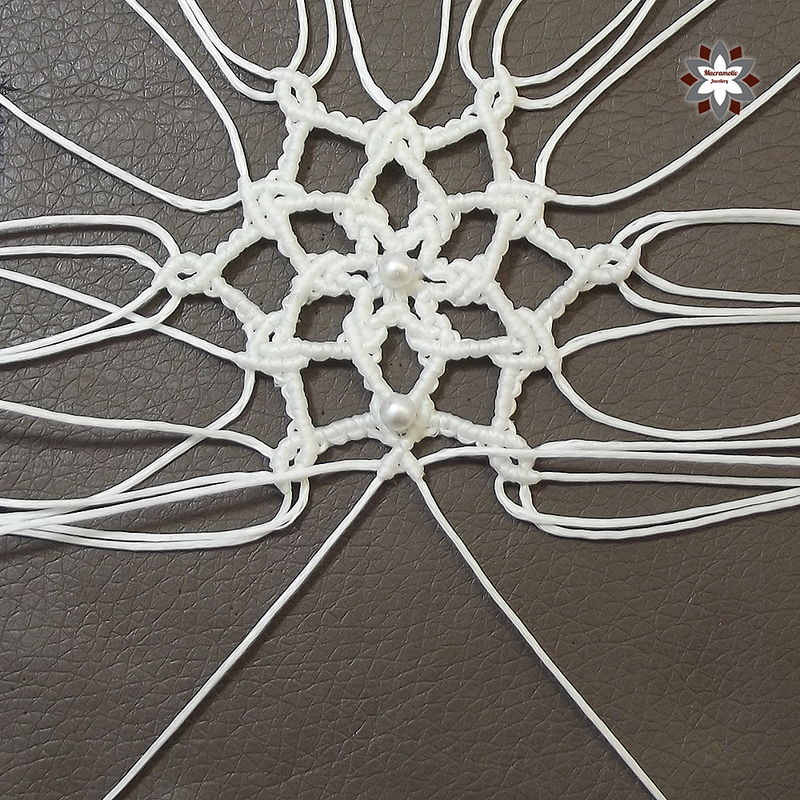 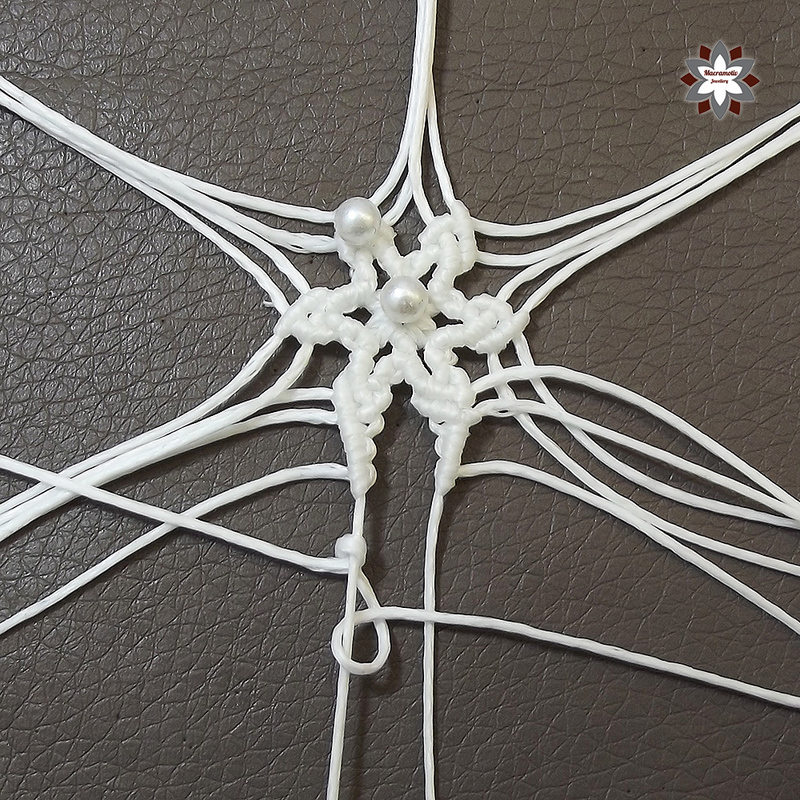 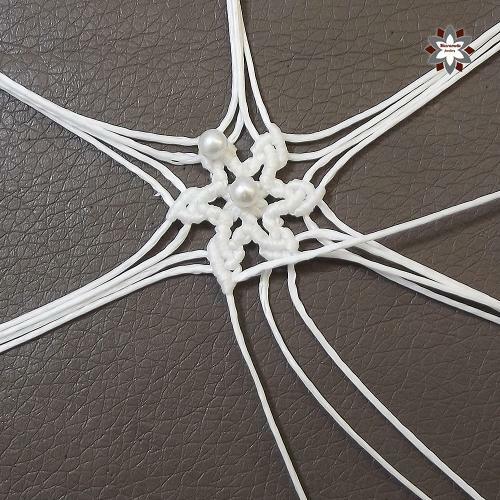 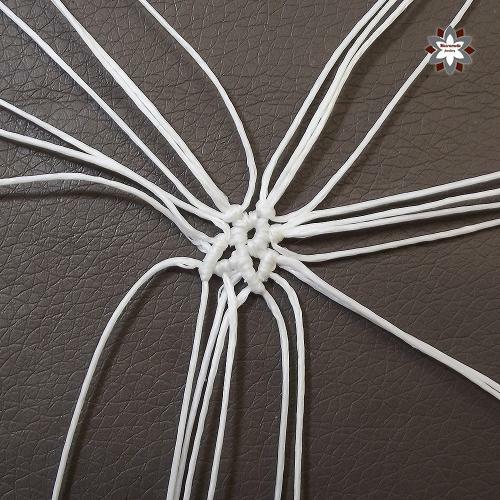 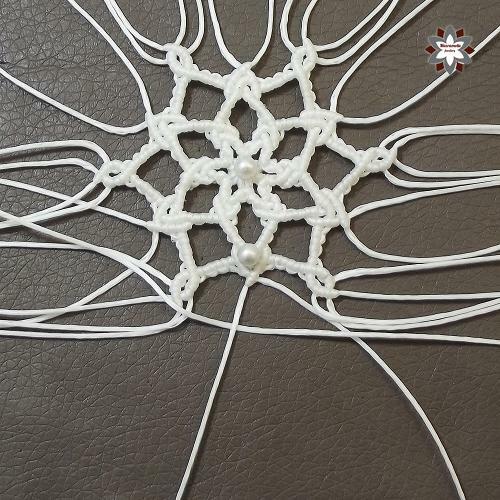 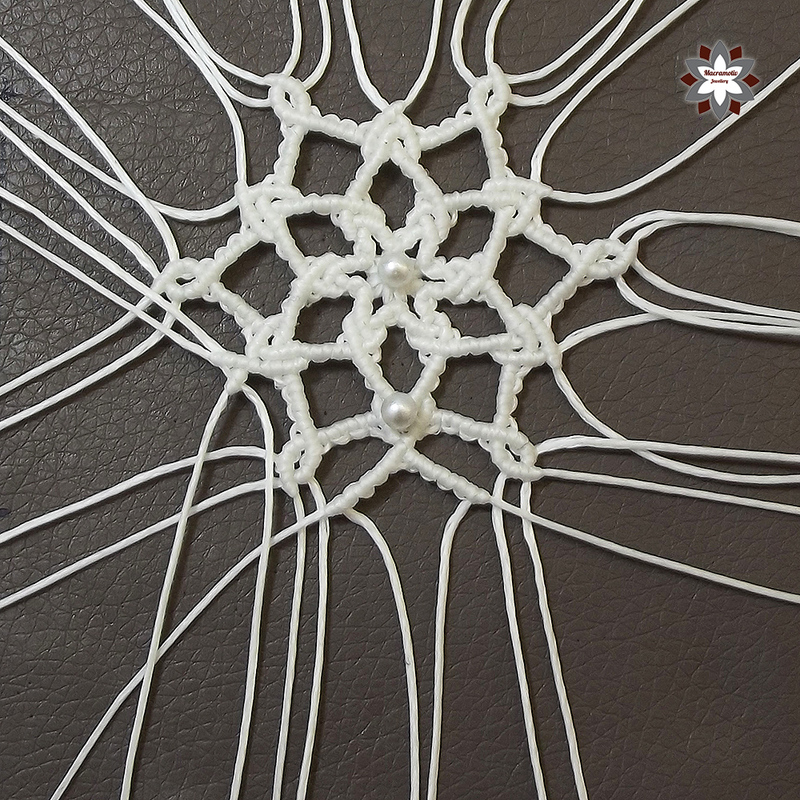 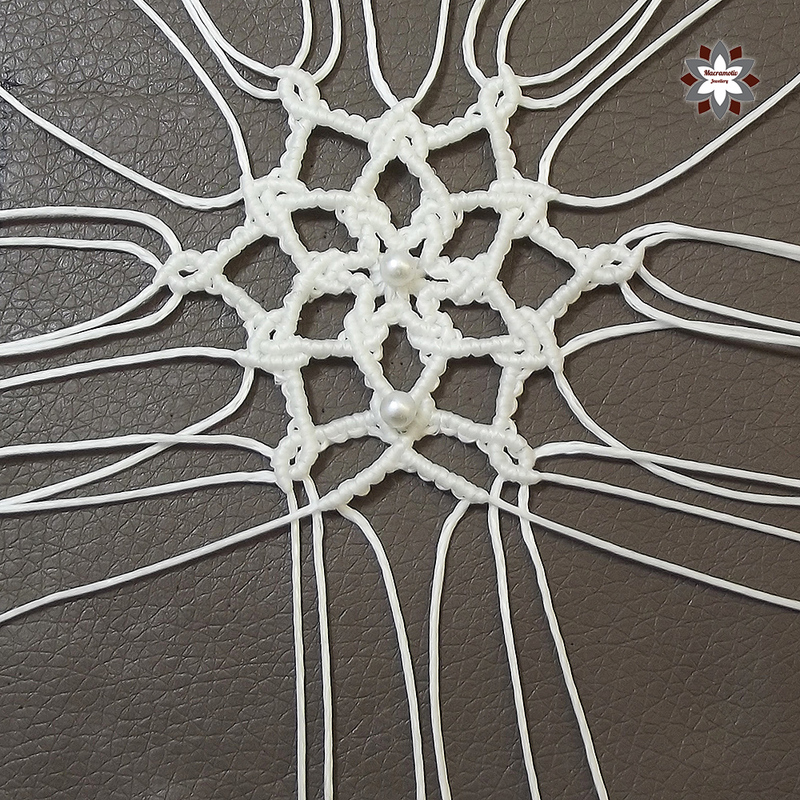 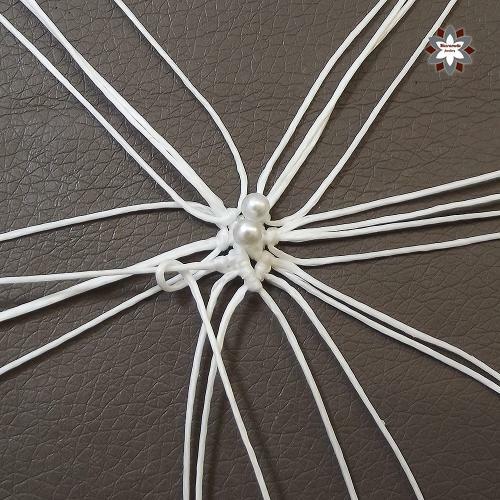 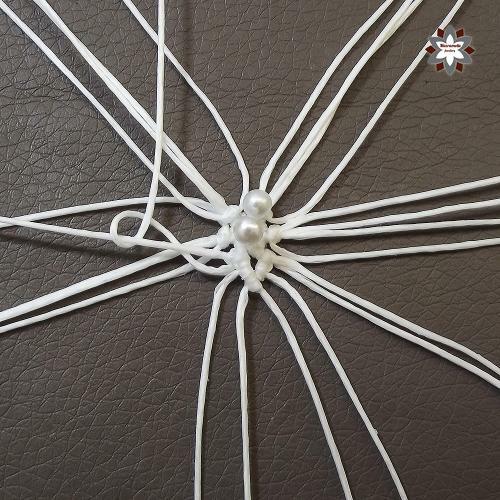 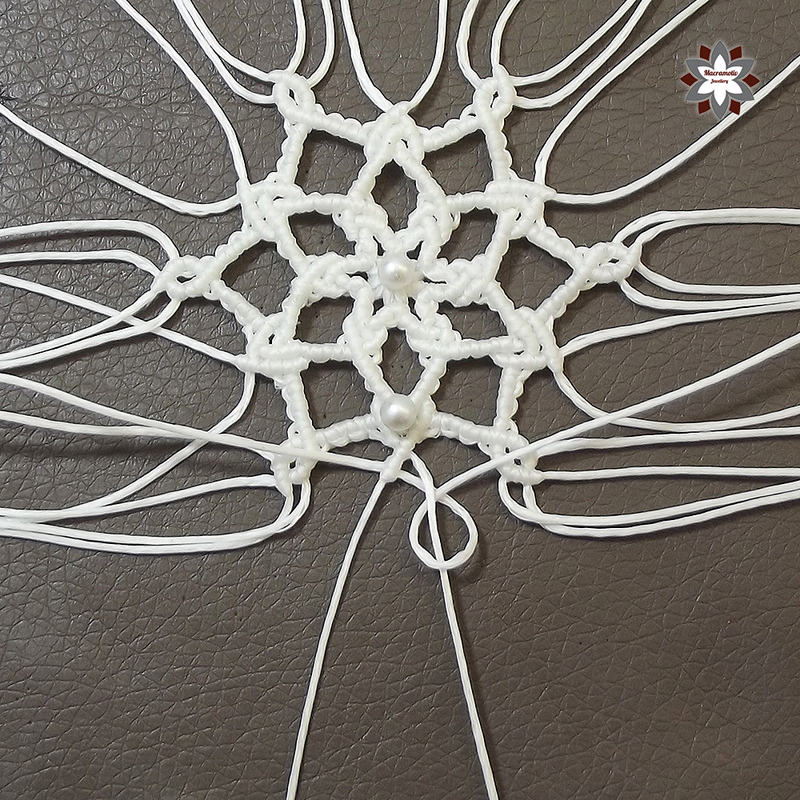 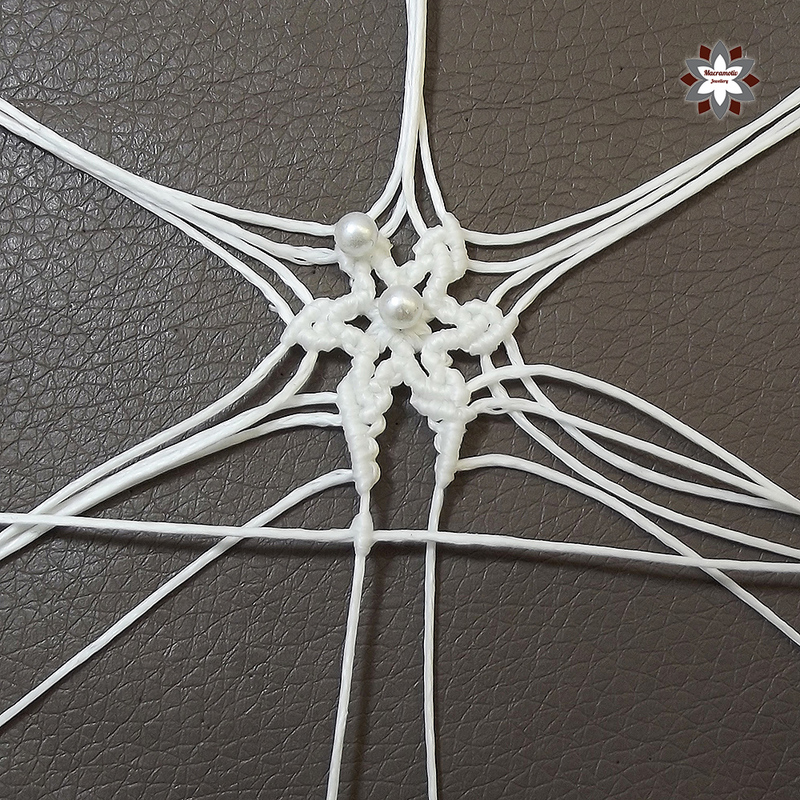 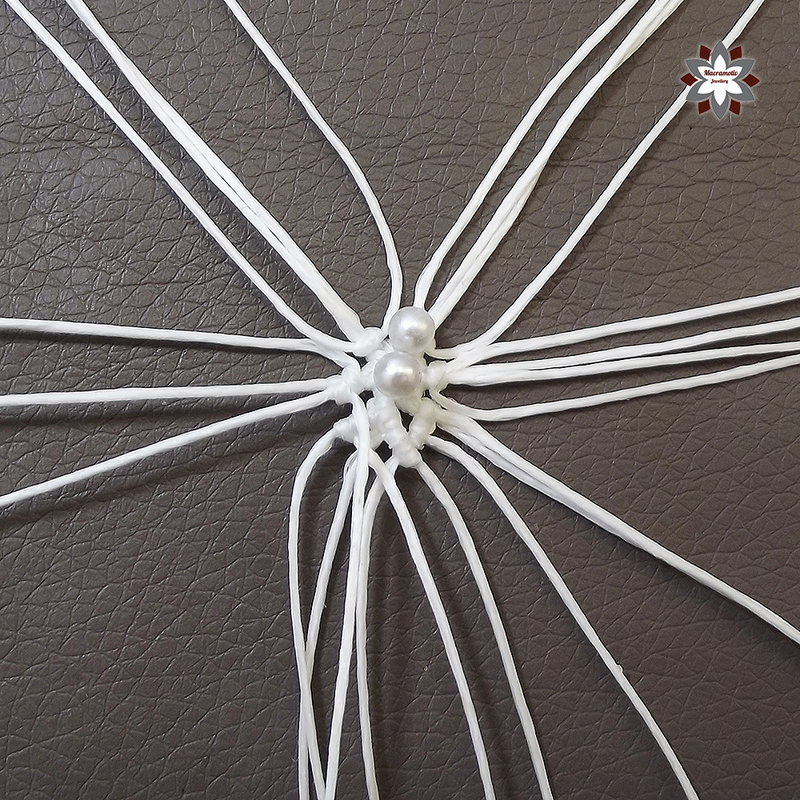 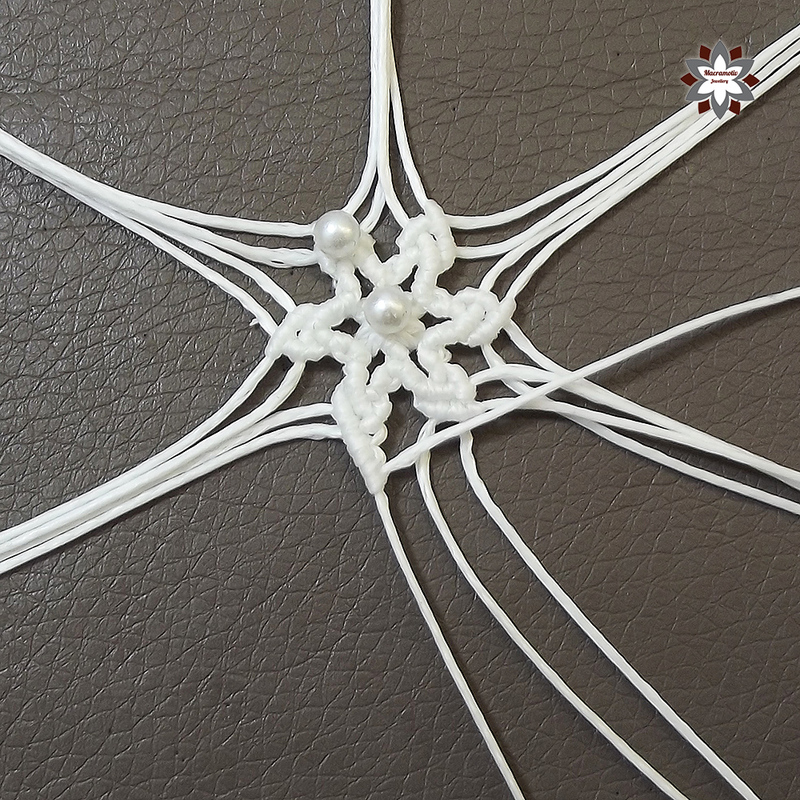 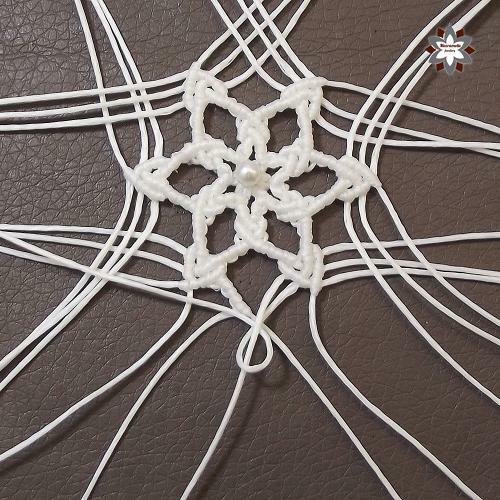 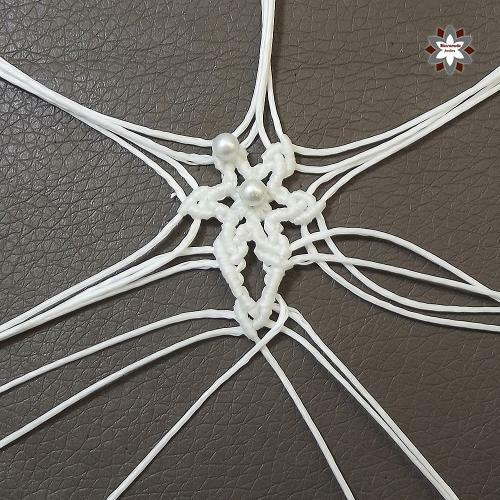 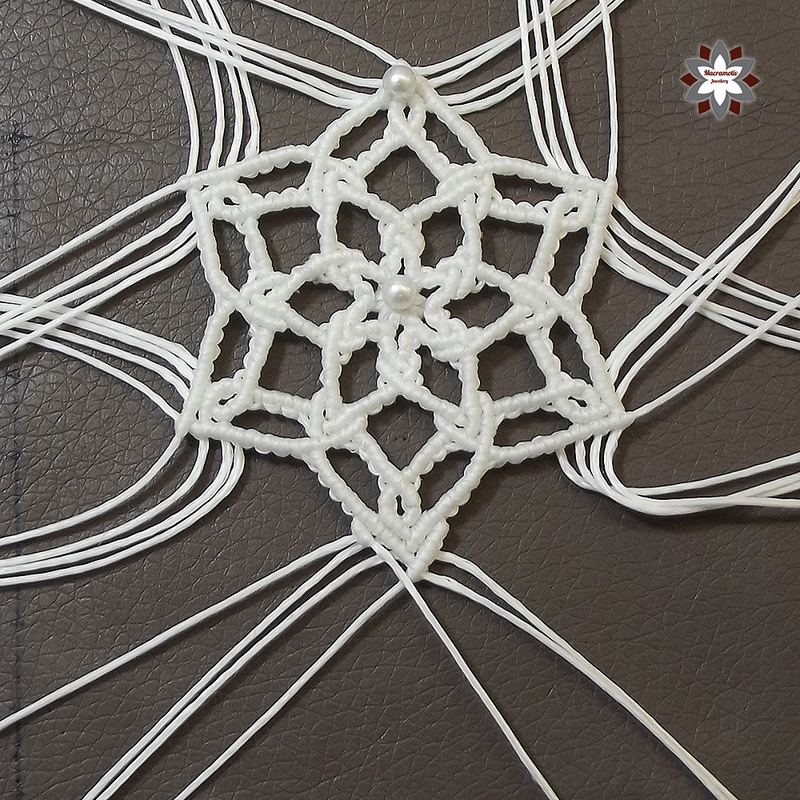 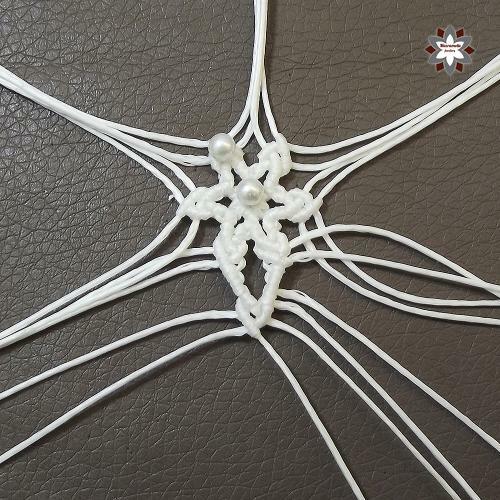 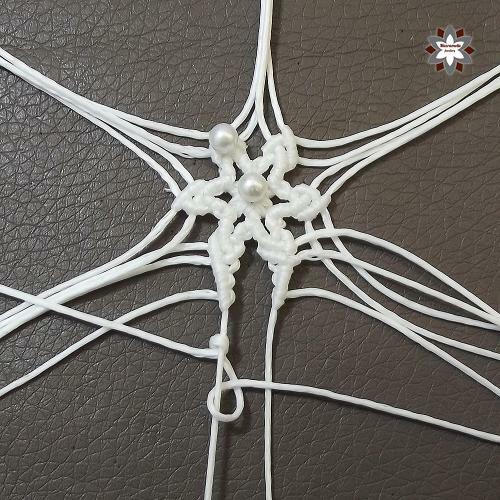 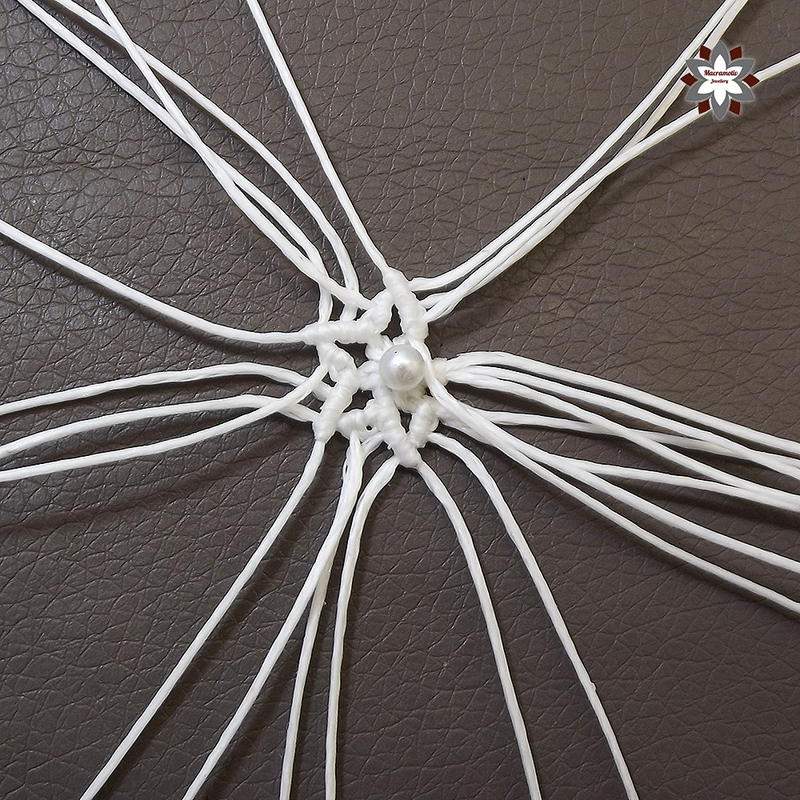 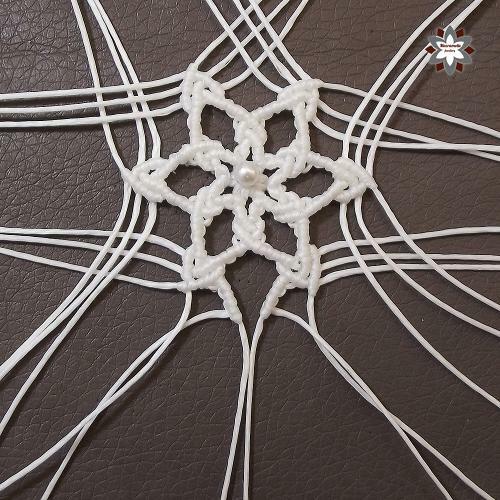 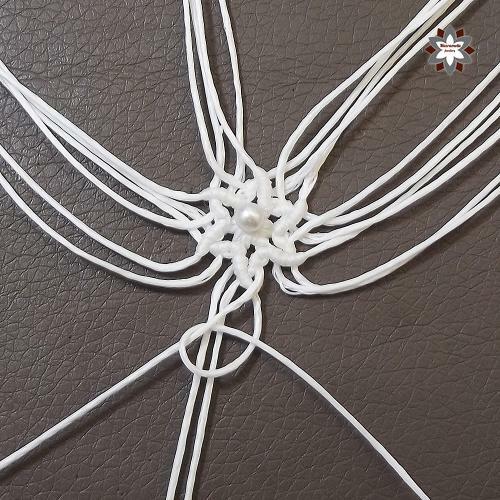 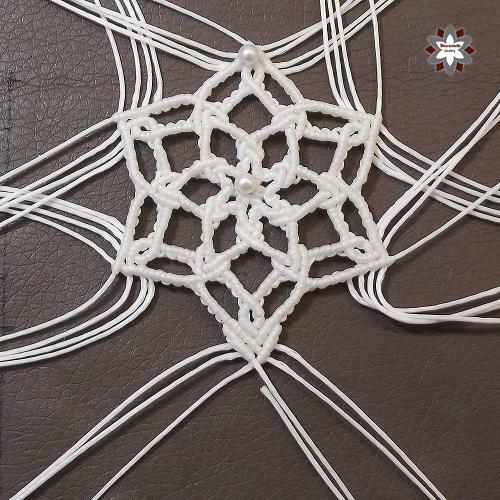 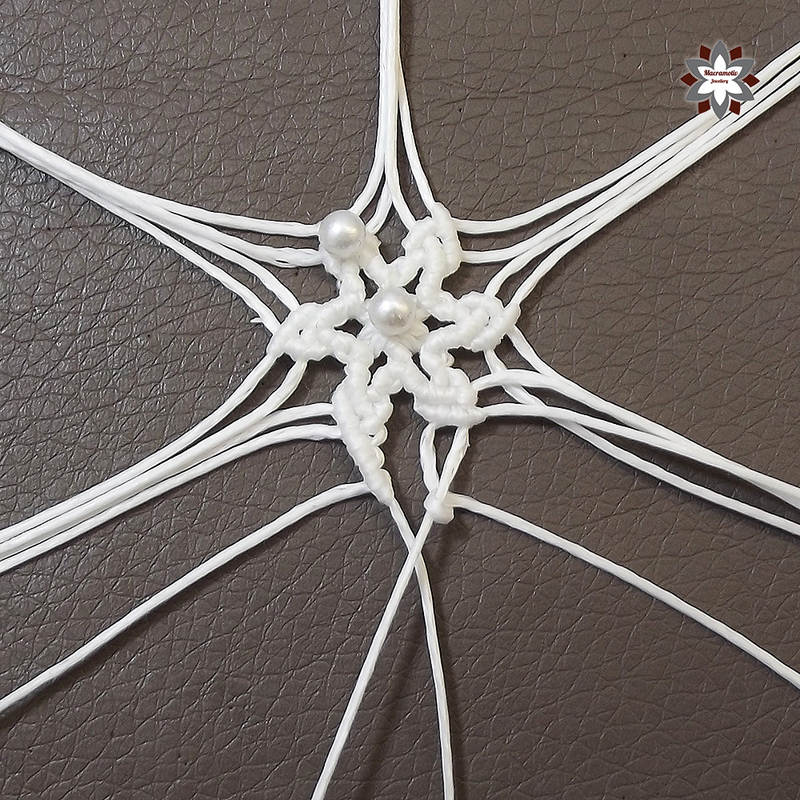 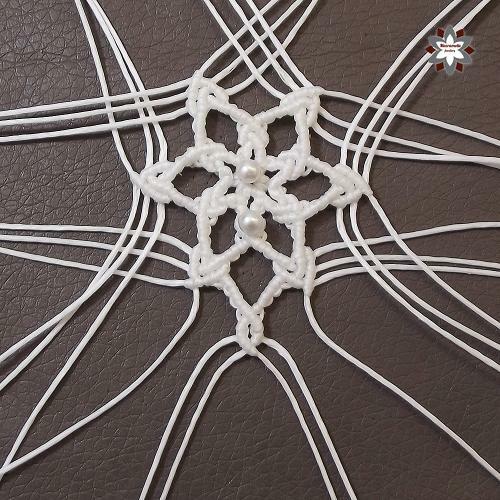 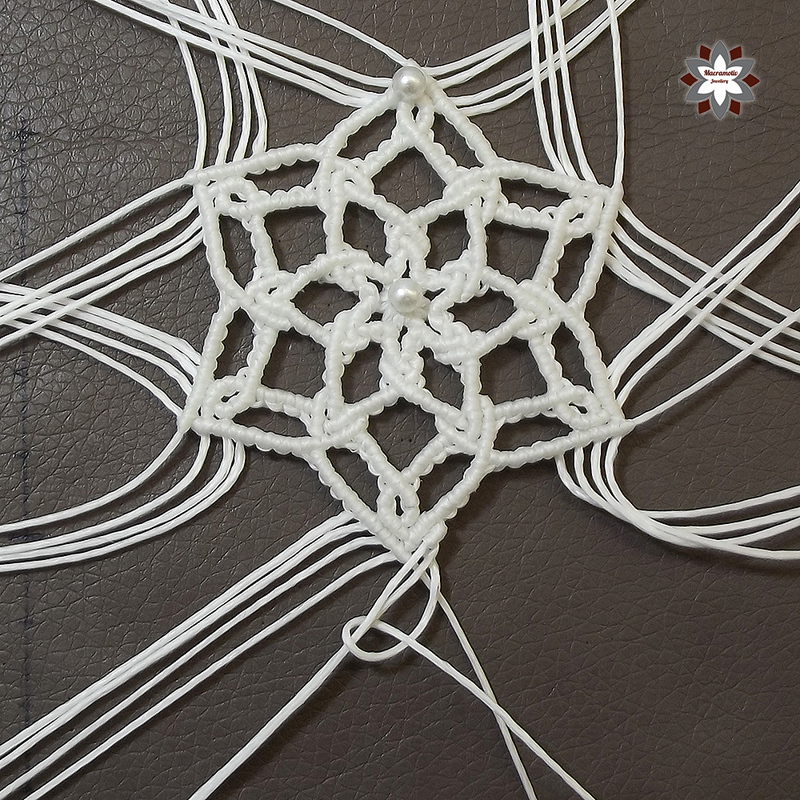 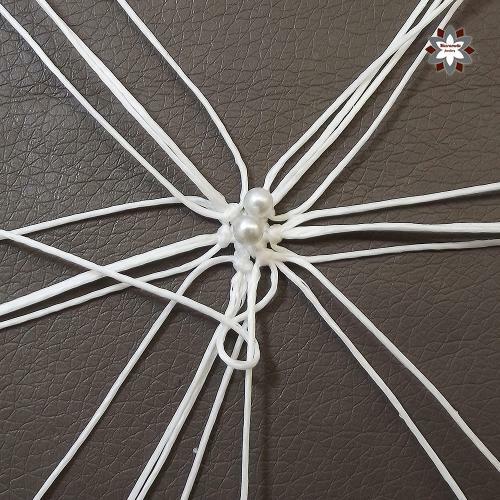 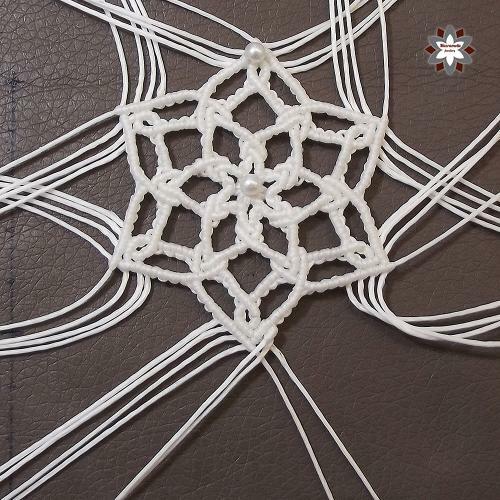 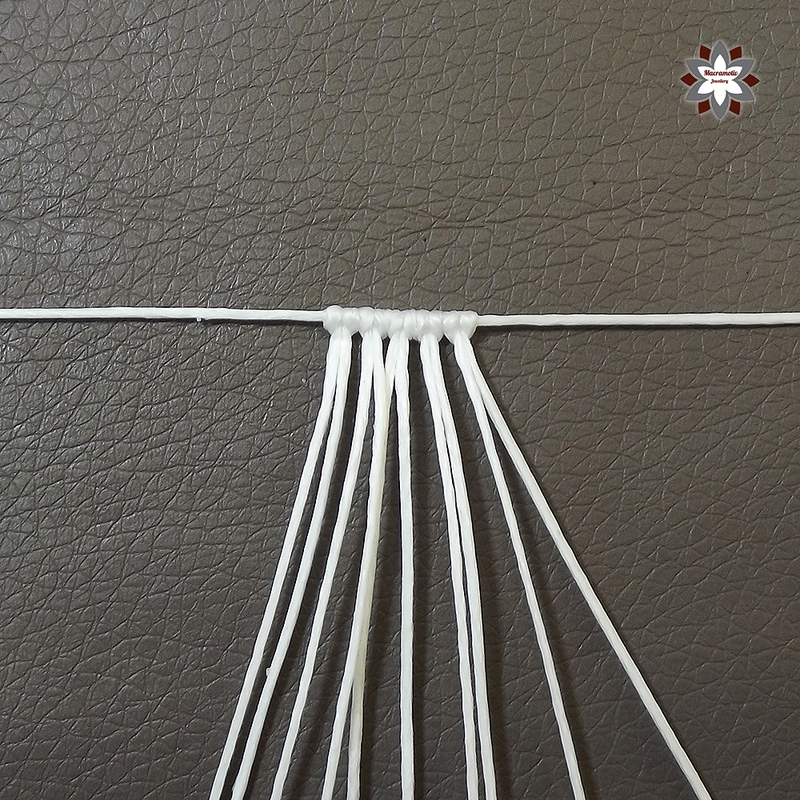 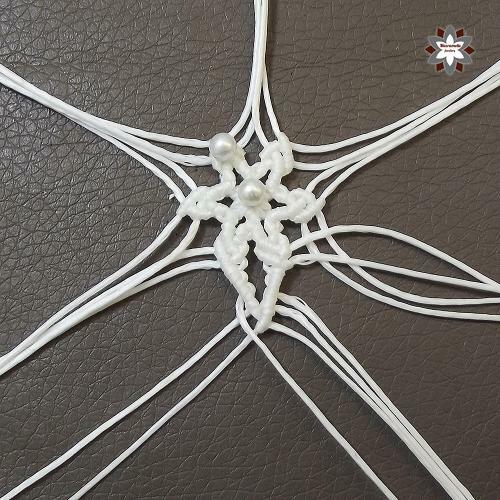 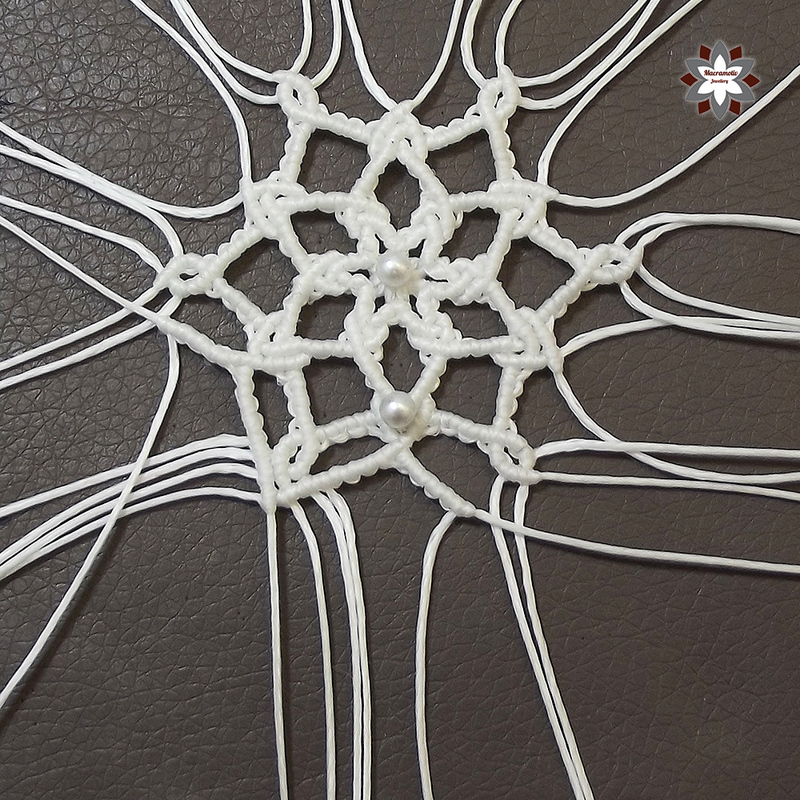 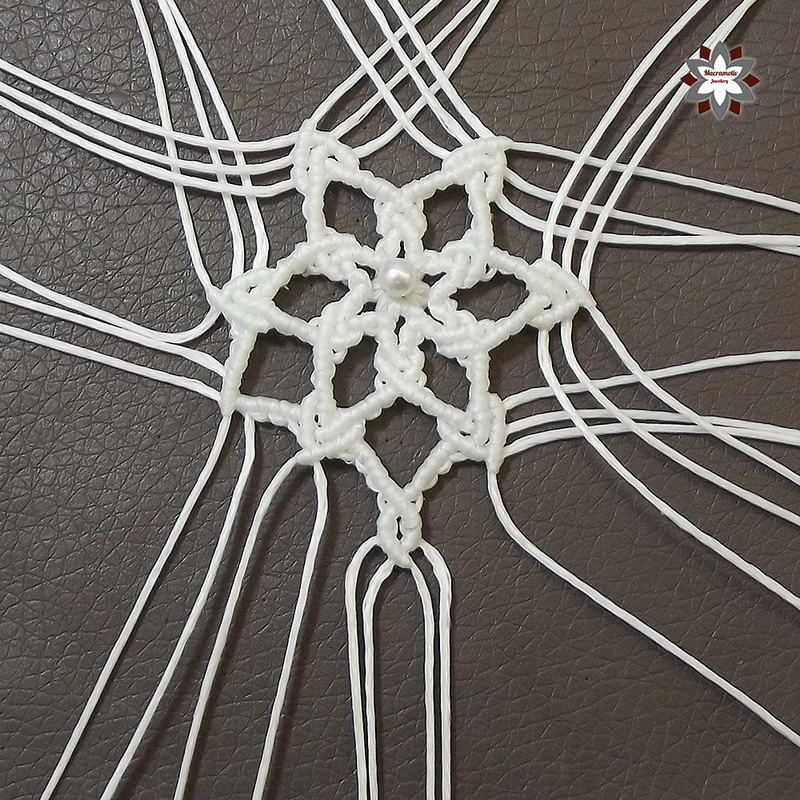 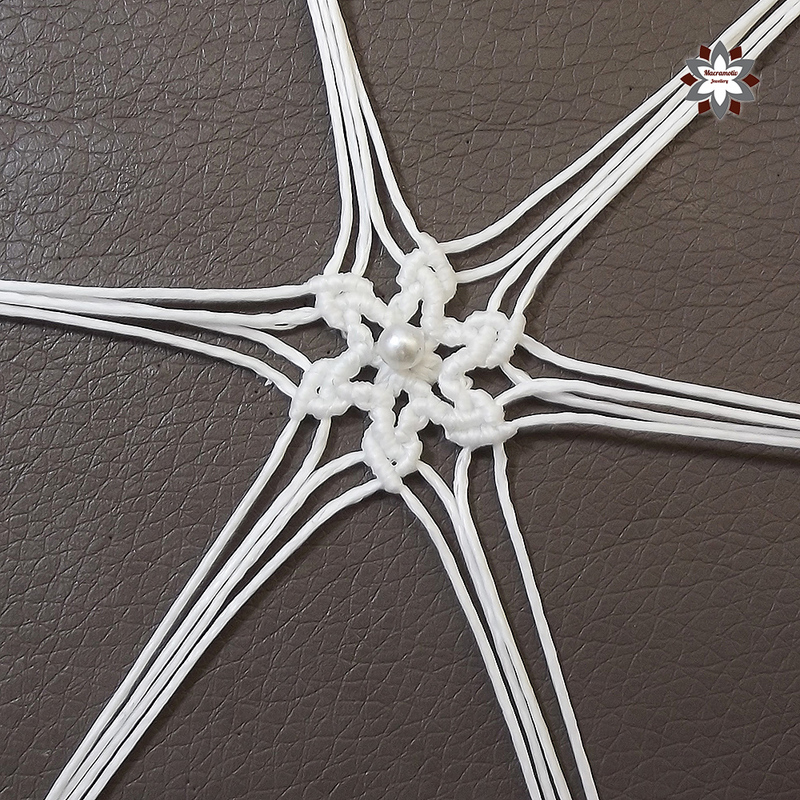 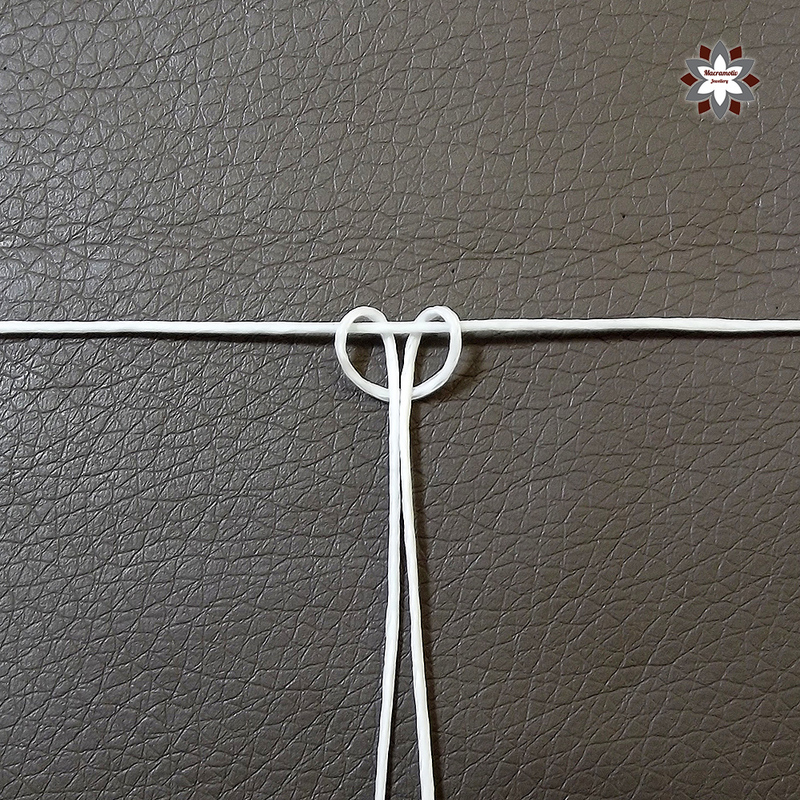 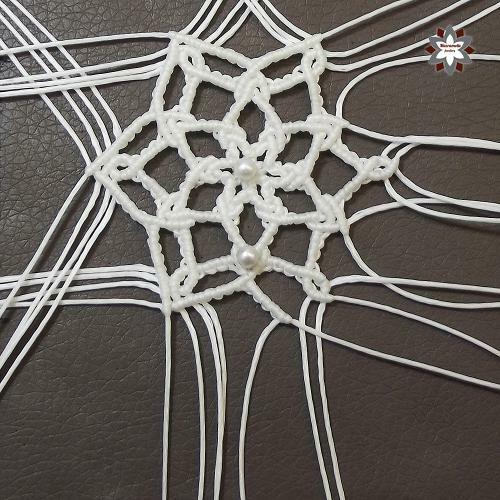 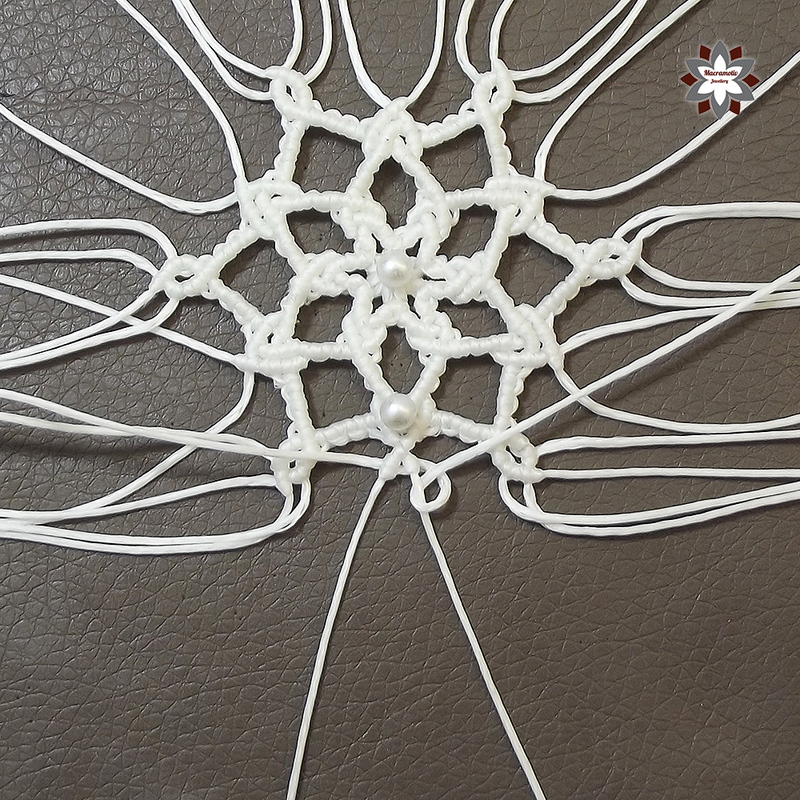 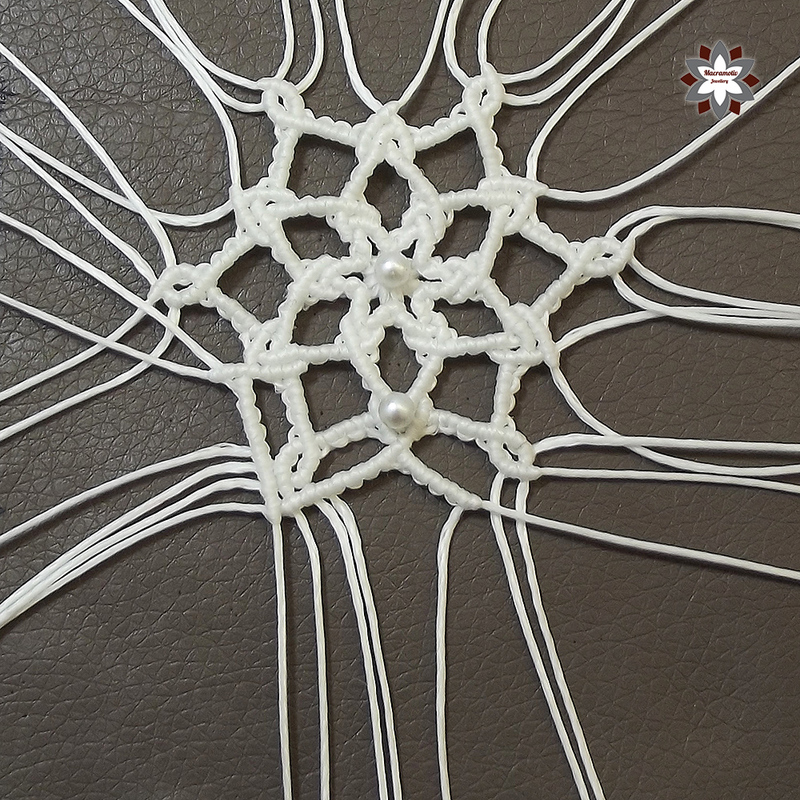 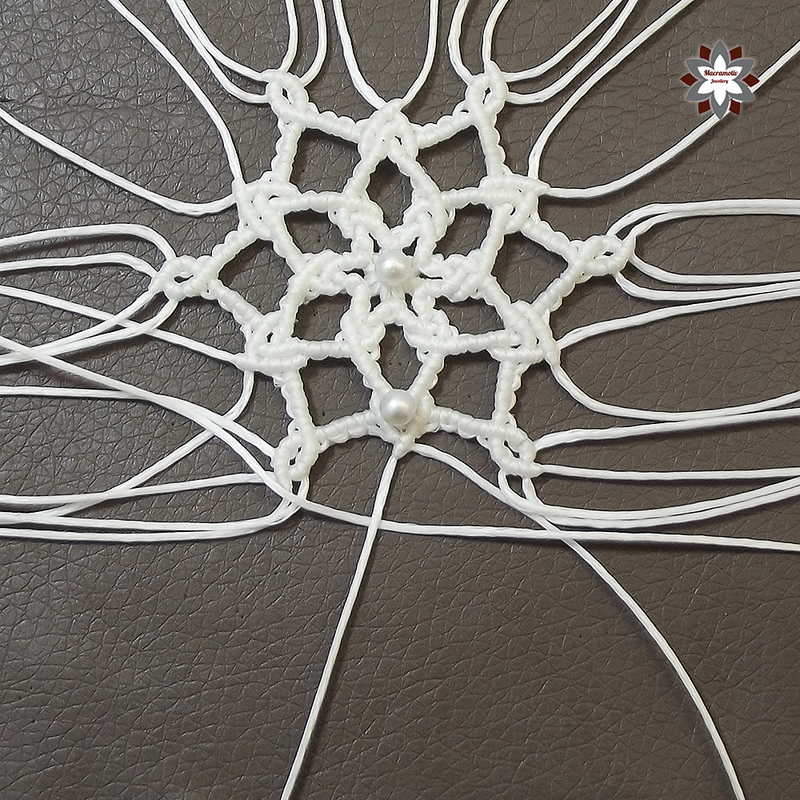 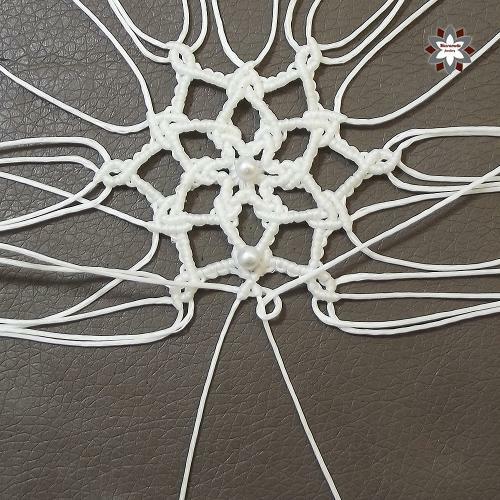 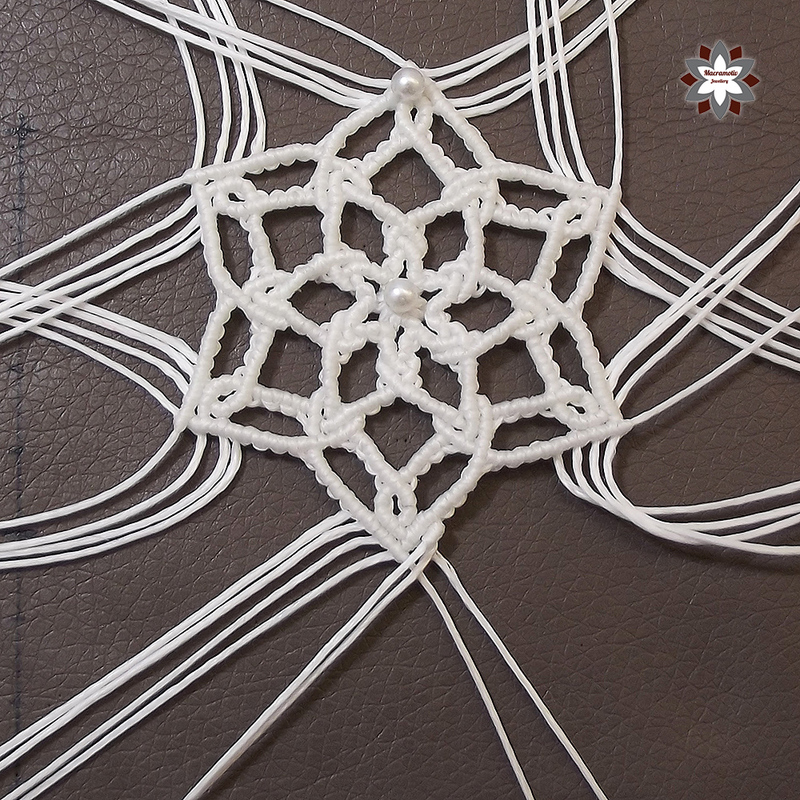 With making this macrame snowflake ornament you can add a great piece to your christmas decoration collection. 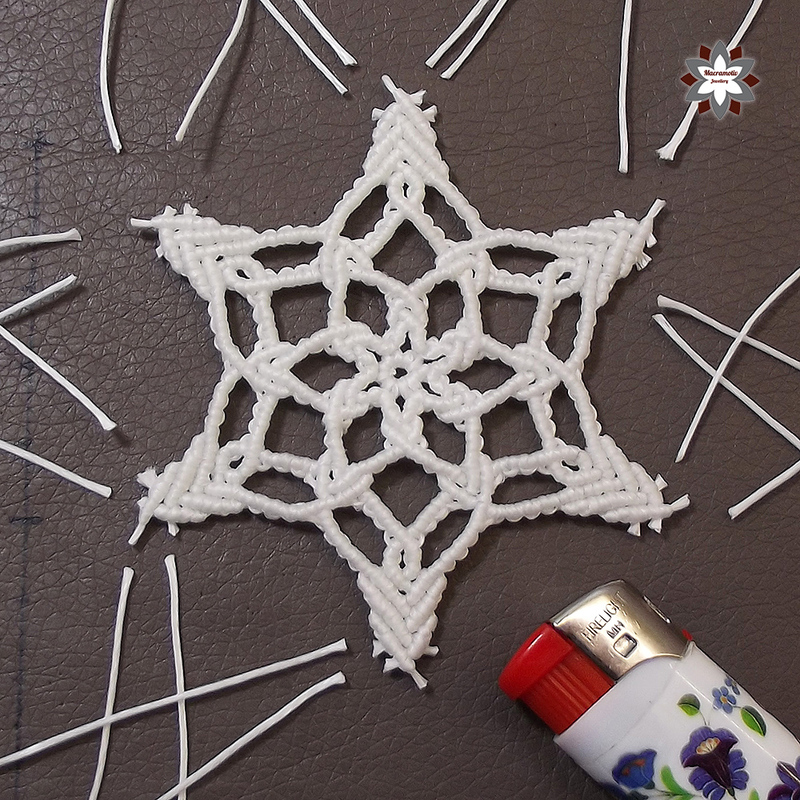 If you find it too difficult to make, then start with my first snowflake tutorial, and come back afterwards. 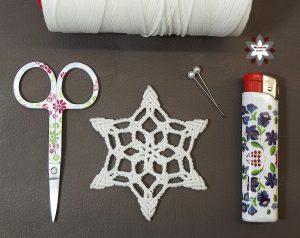 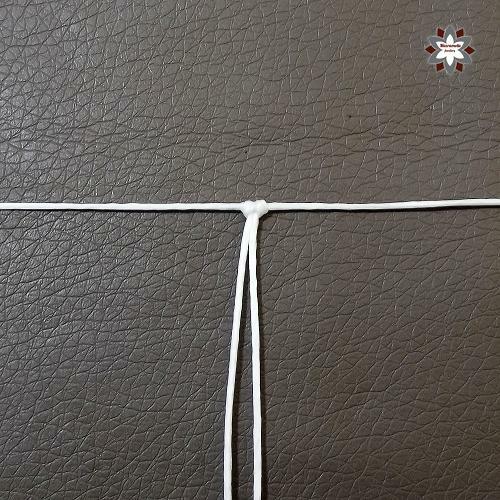 When starting the snowflake you use the longer pieces and as you go with the pattern add 6x55cm again, then 6x45cm and last time the 6x40cm.